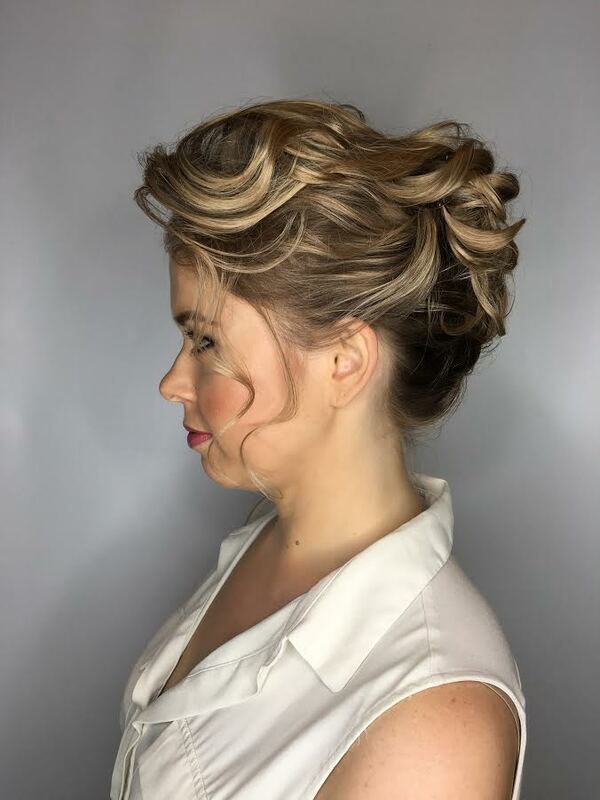 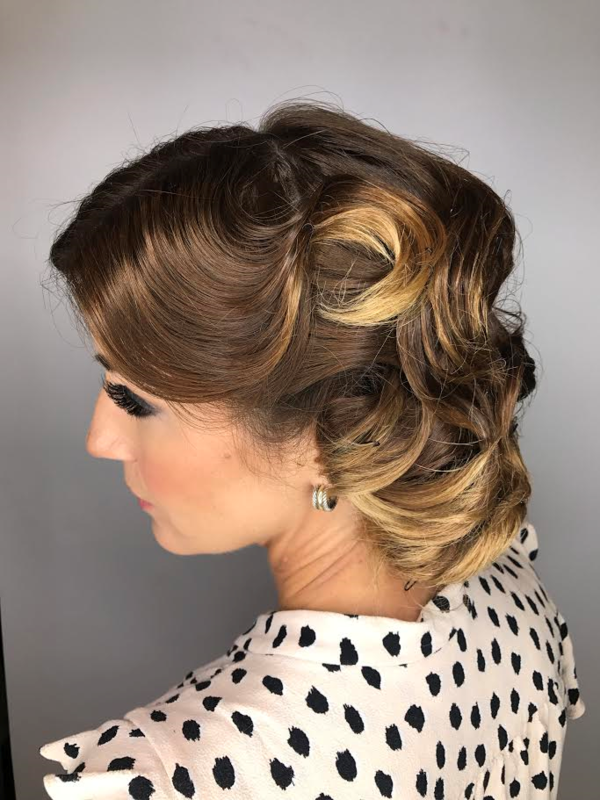 Check-out our collection of hair services and beauty services performed by the Avant Garde Salon and Spa Professional Salon Team! 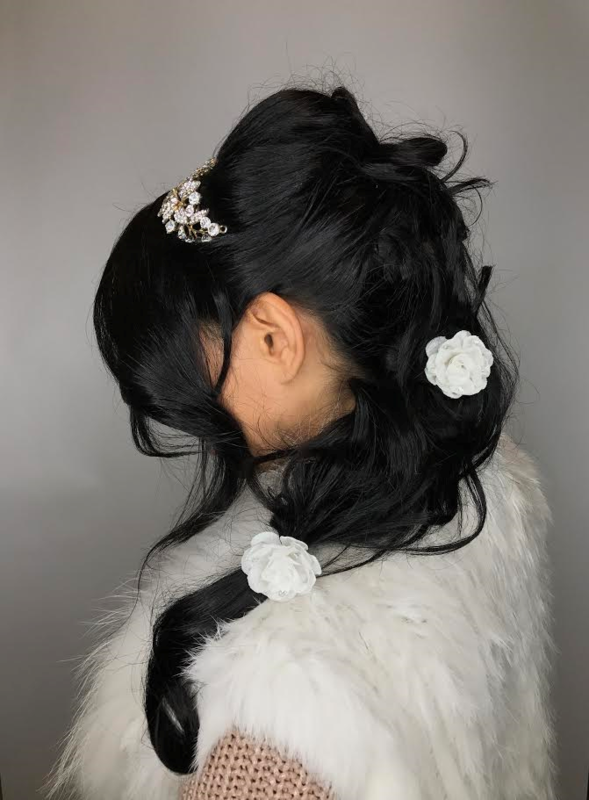 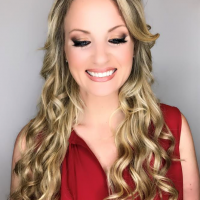 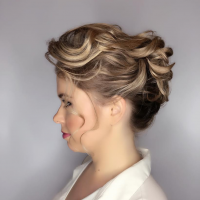 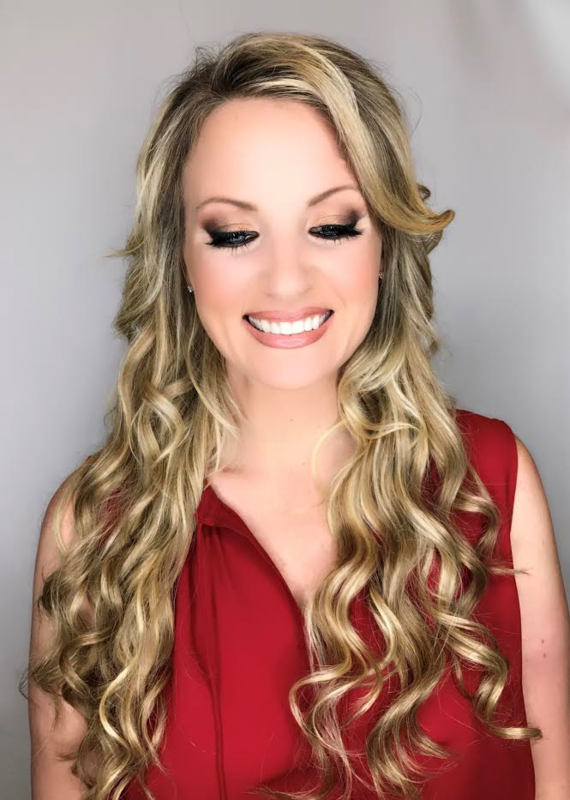 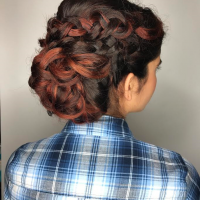 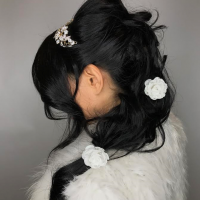 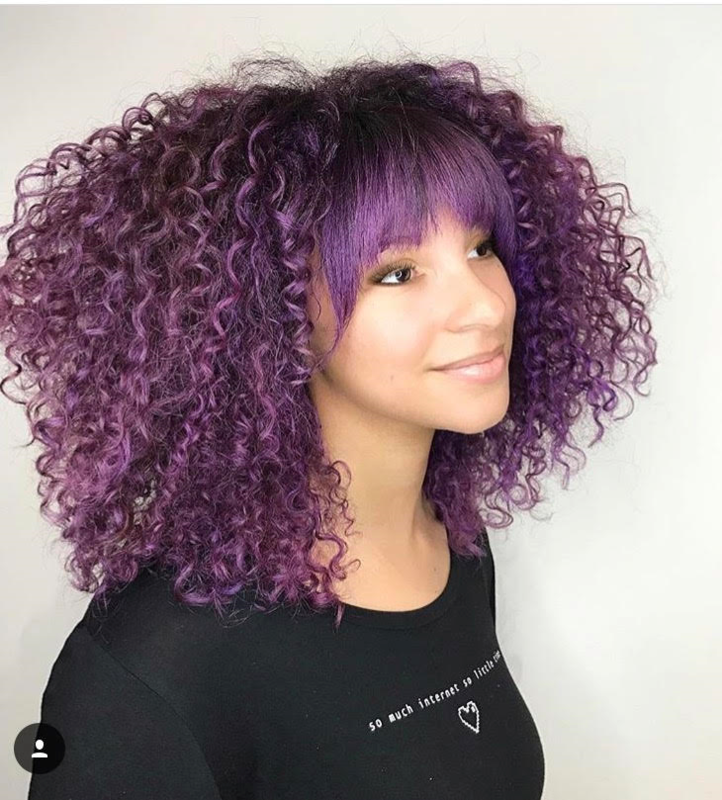 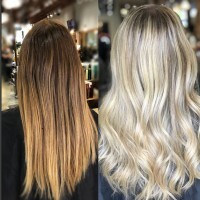 See pictures of hair styles, hair extensions, different hair coloring techniques as well as beautifully manicured nails! 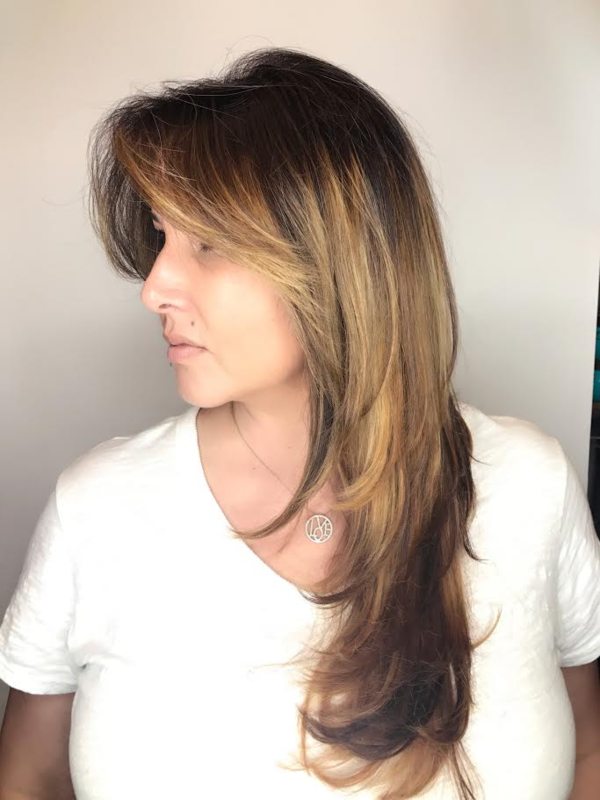 The Best hair salon Coral Gables. 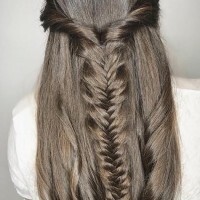 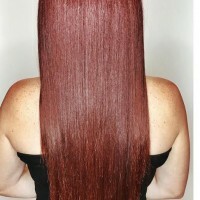 Avant Garde Salon Coral Gables is Great Lengths provider for hair extensions Miami. 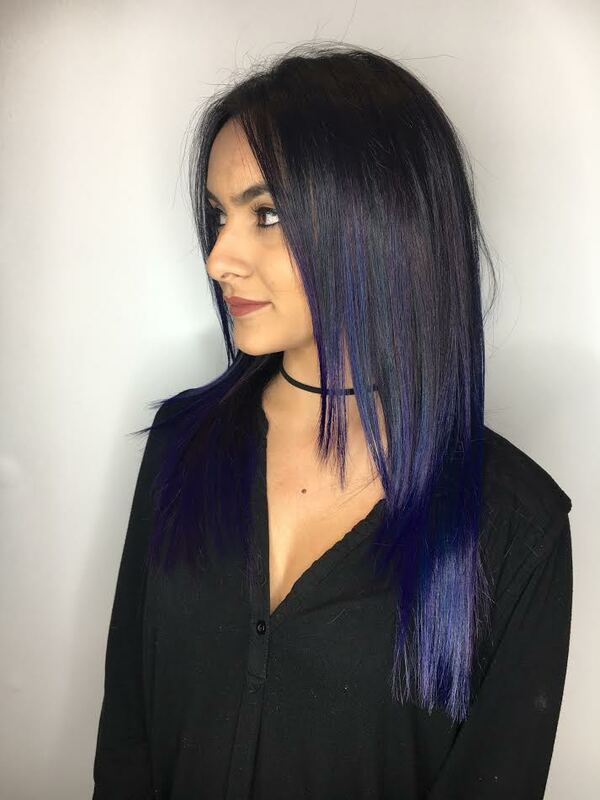 Visit the Avant-Garde hair salon Miami, FL location to find the best hairdressers Miami has to offer. 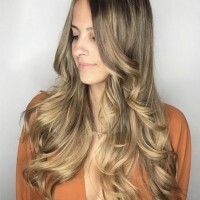 Considered a Top 10 best hair salons in Miami. 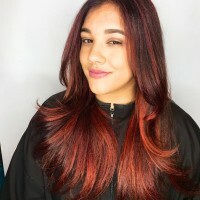 Some of the most talented beauty masters and most experienced hair stylist Miami. 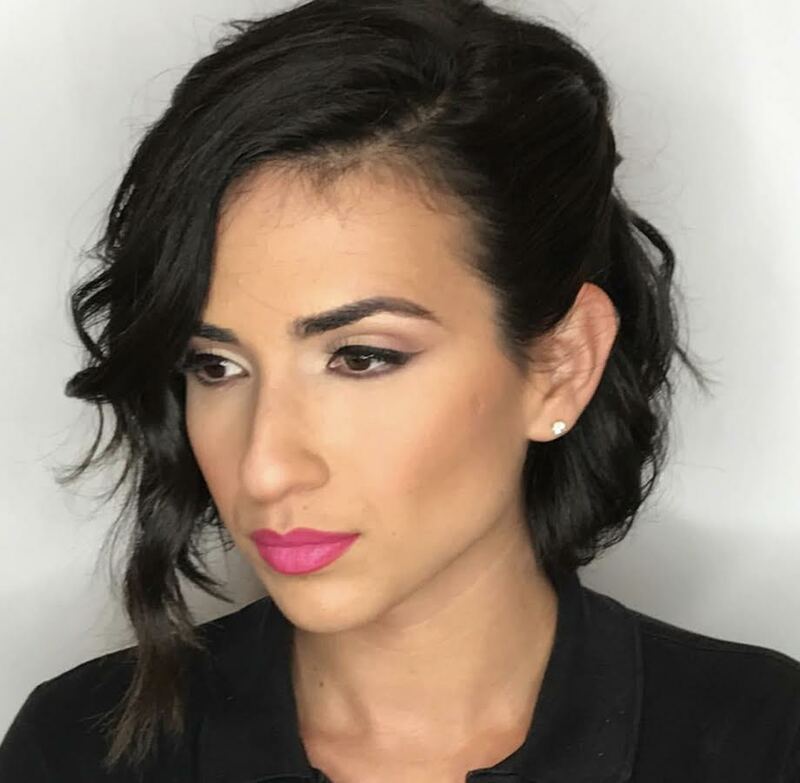 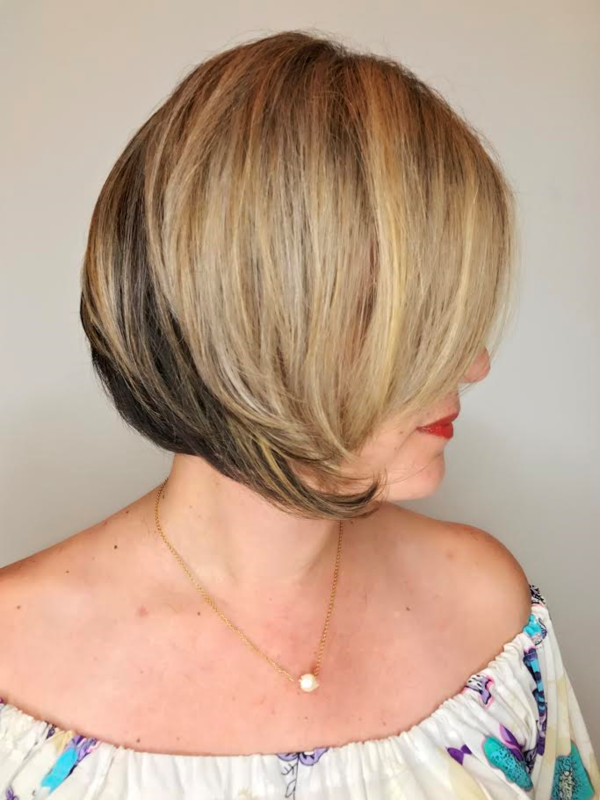 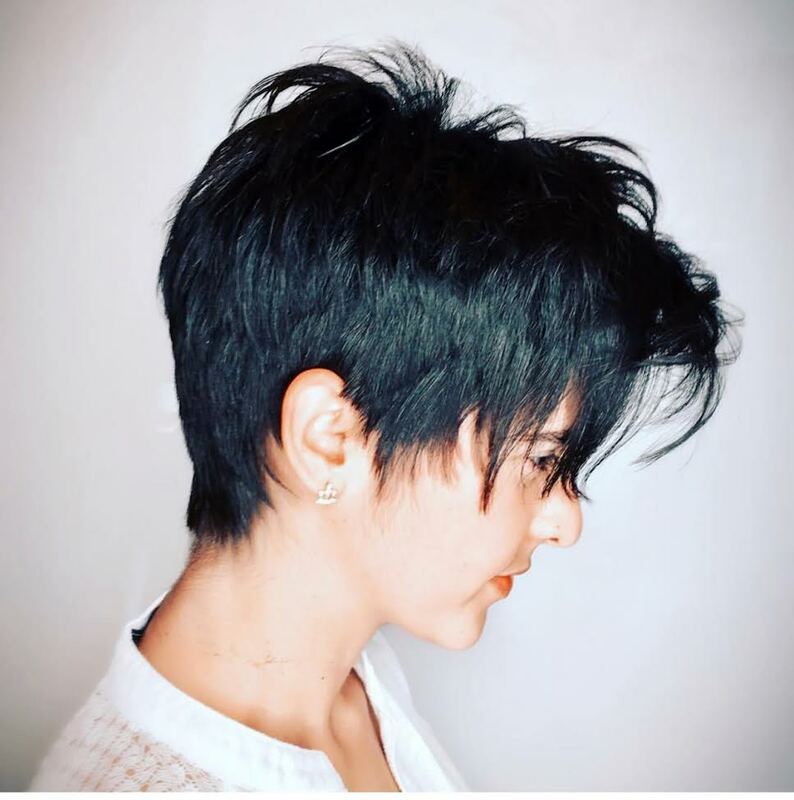 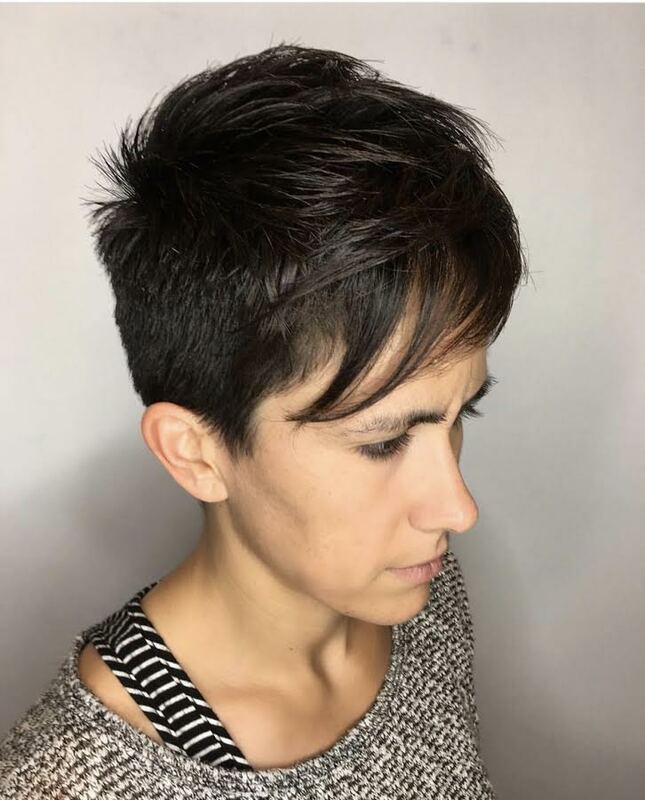 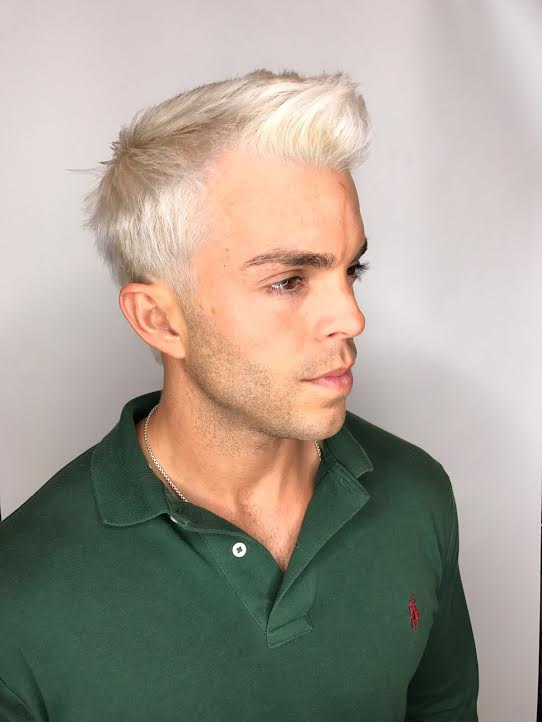 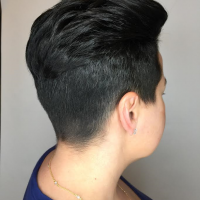 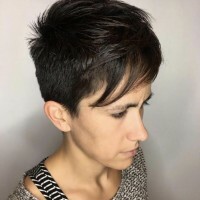 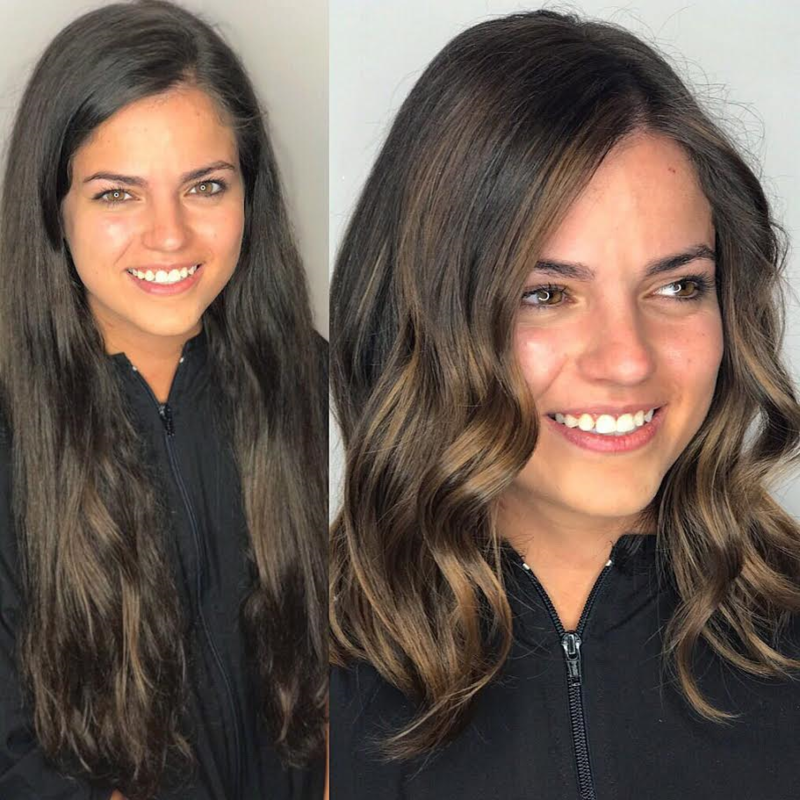 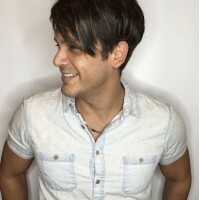 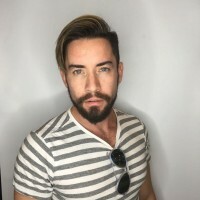 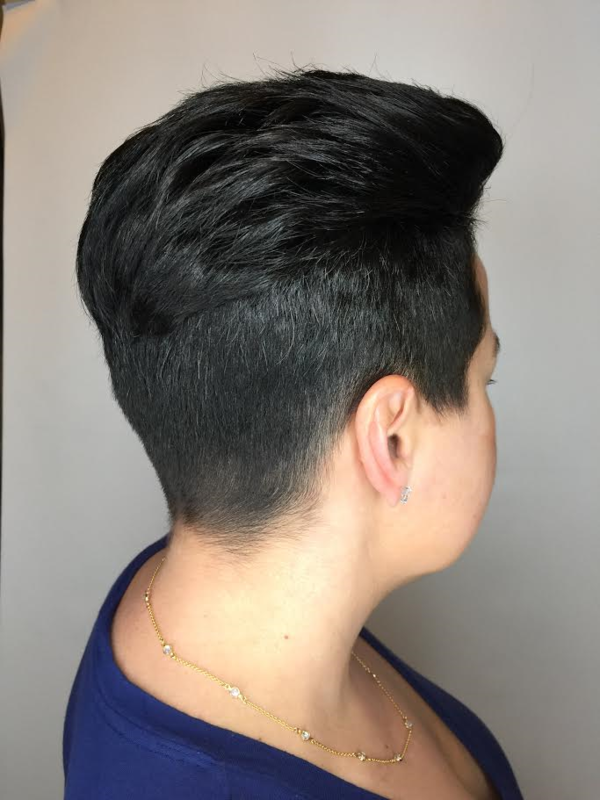 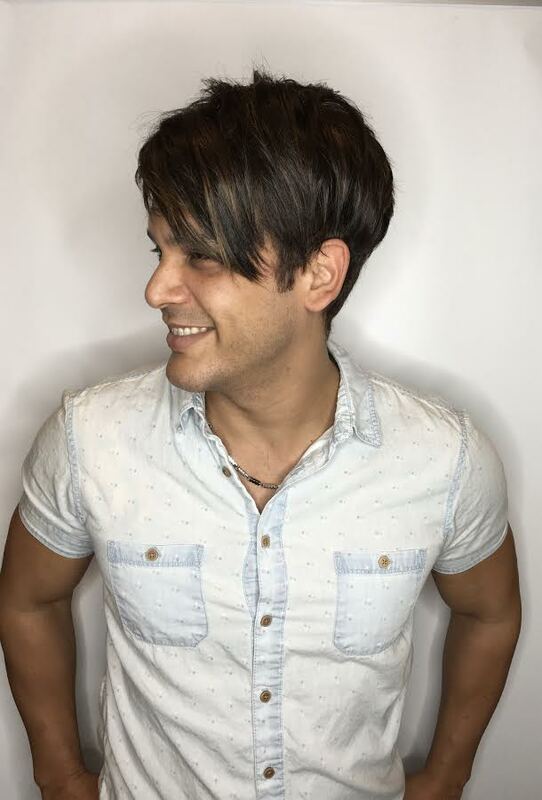 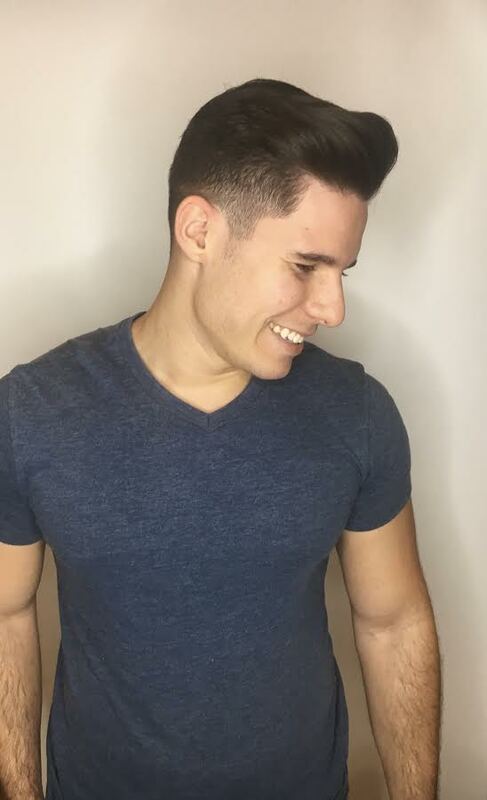 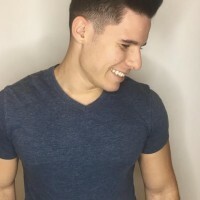 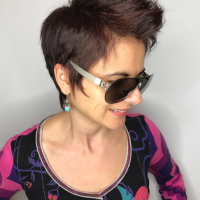 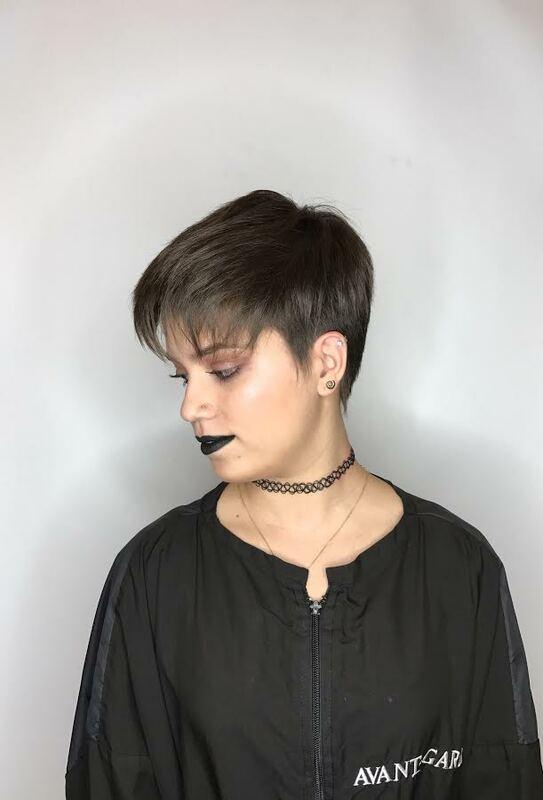 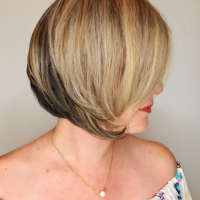 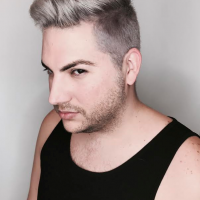 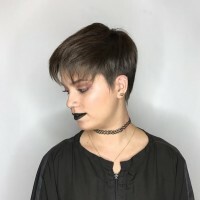 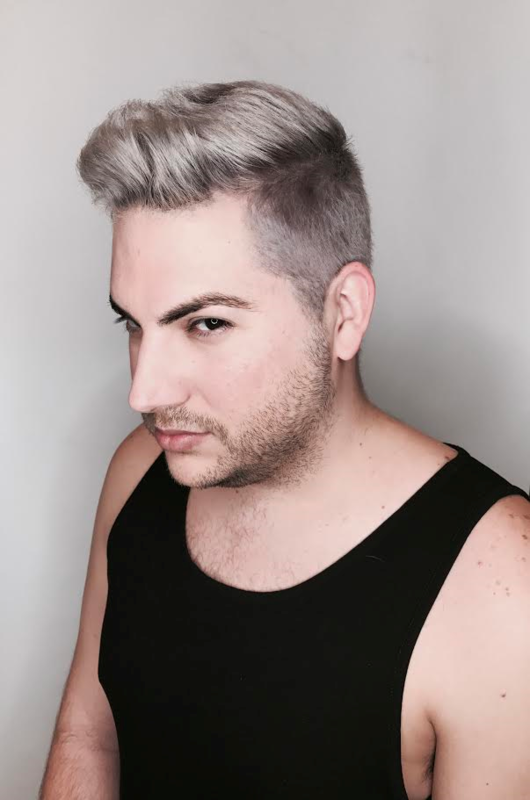 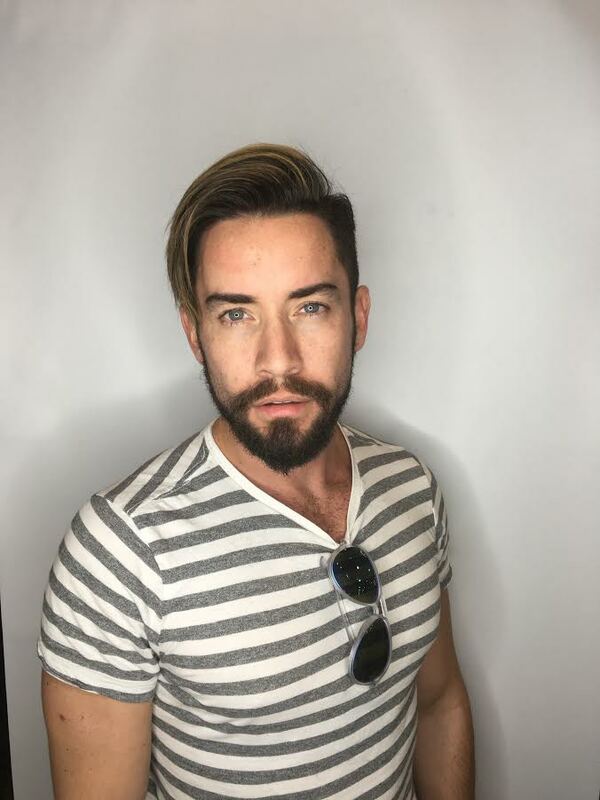 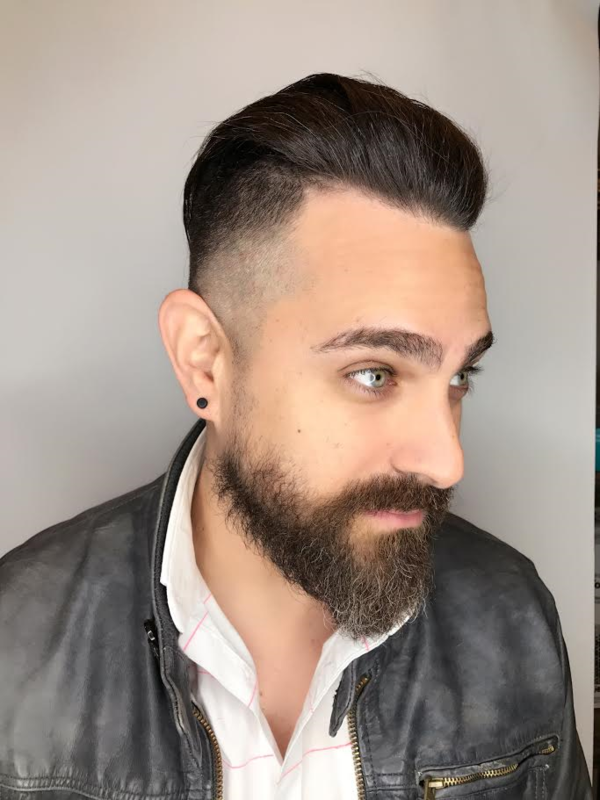 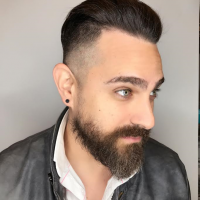 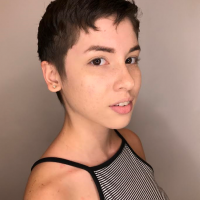 Avant Garde hair salon has continued to be one of the top hair salons Miami for haircut Coral Gables providing the best haircut in Miami. 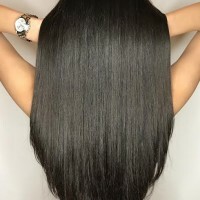 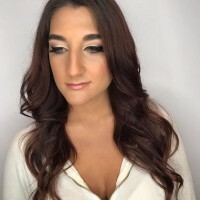 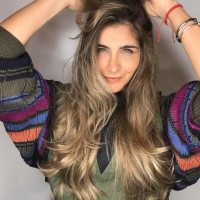 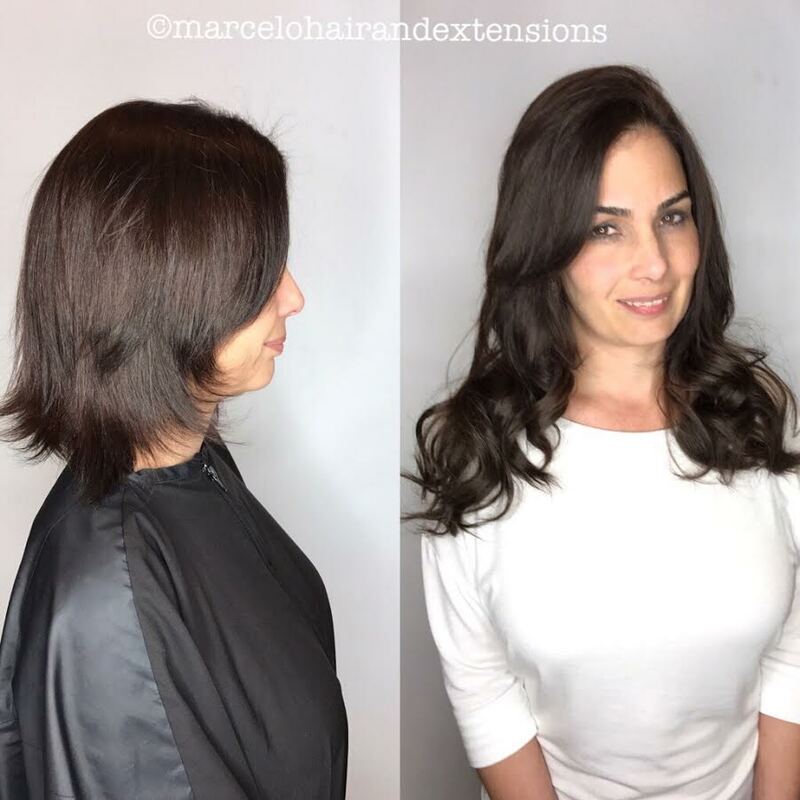 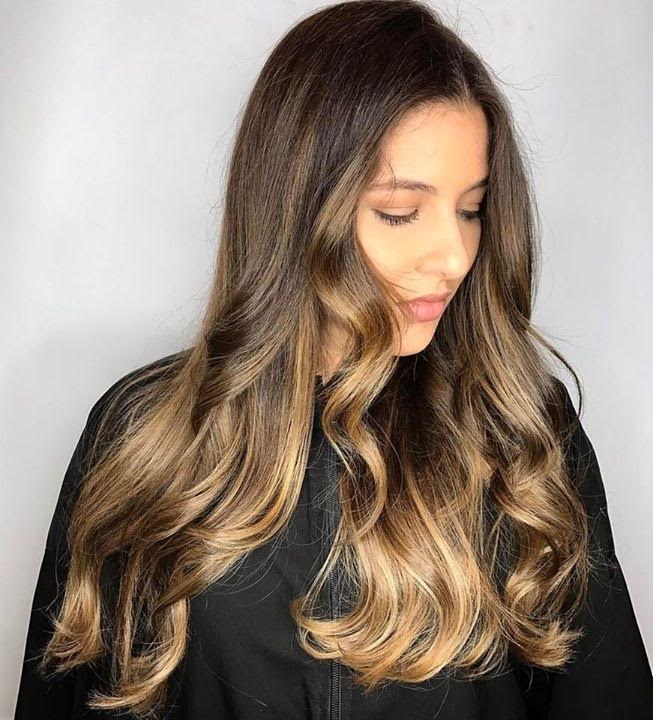 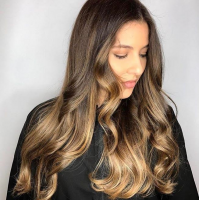 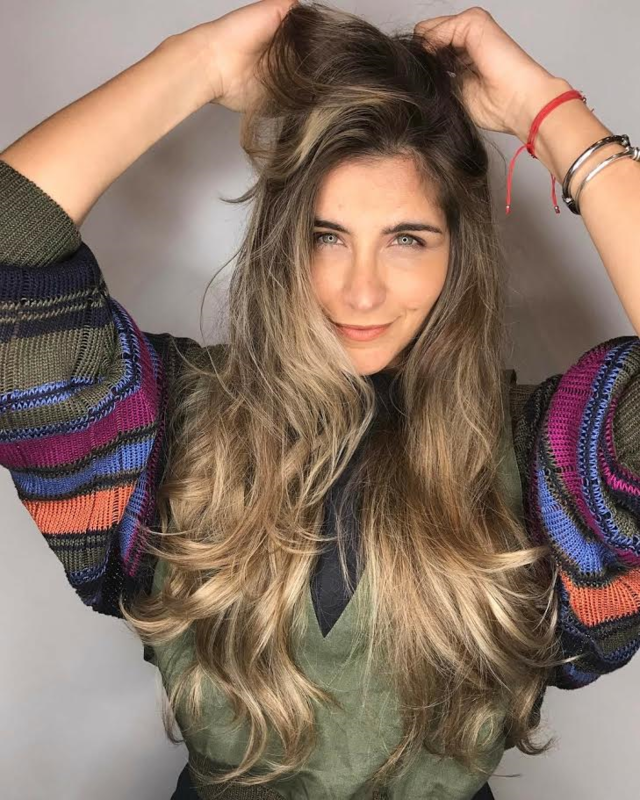 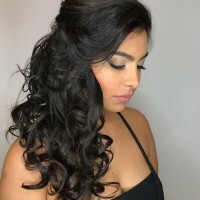 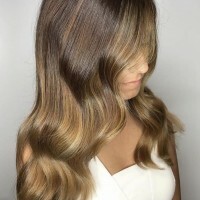 See our hair salon treatments list to get hair treatments from Olaplex, L’Oréal and get treatments like Hair Botox, Keratin, Hair Straighteners and Hair Relaxers from one of the best salons in Miami offering professional hair conditioning treatment salon services. 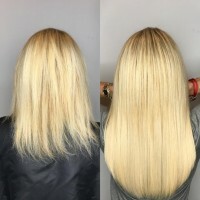 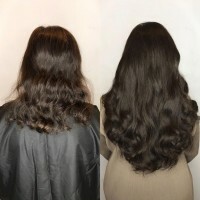 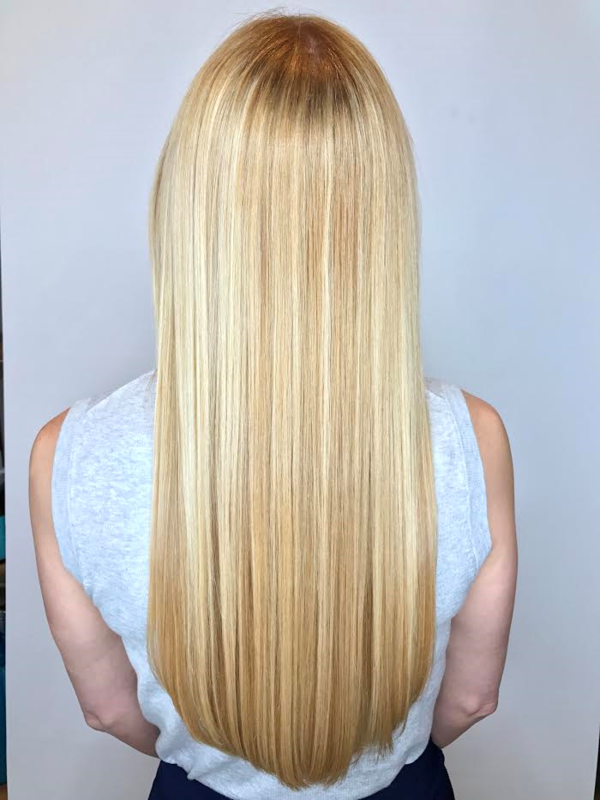 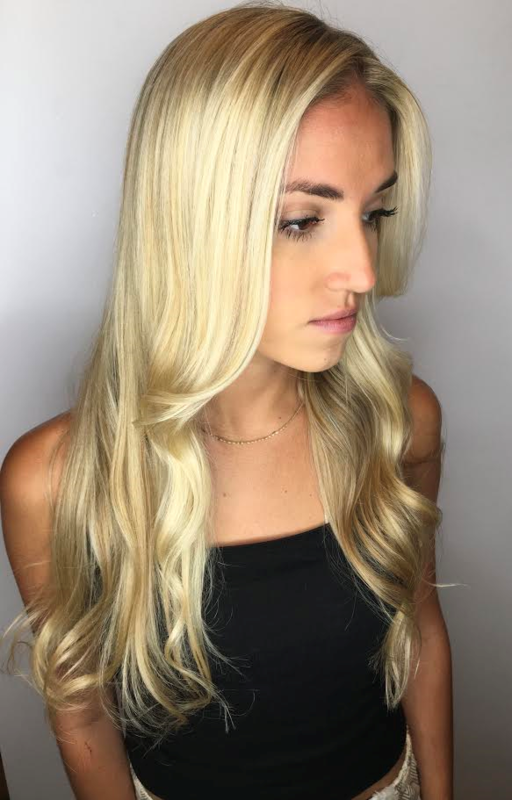 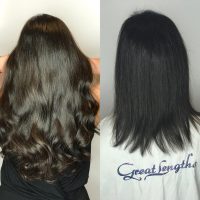 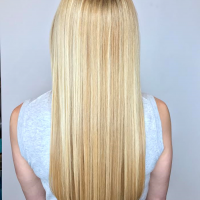 Get permanent hair extensions in Miami using cold-fusion bonded keratin tip extensions. 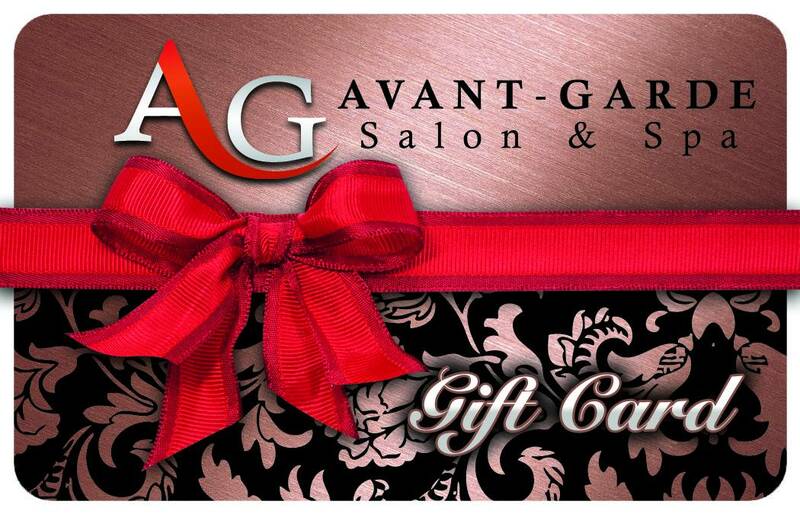 Avant Garde Salon uses the best Keratin hair extensions and conditioning treatment salon can offer. 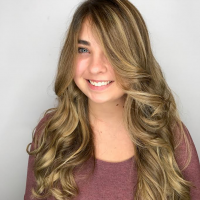 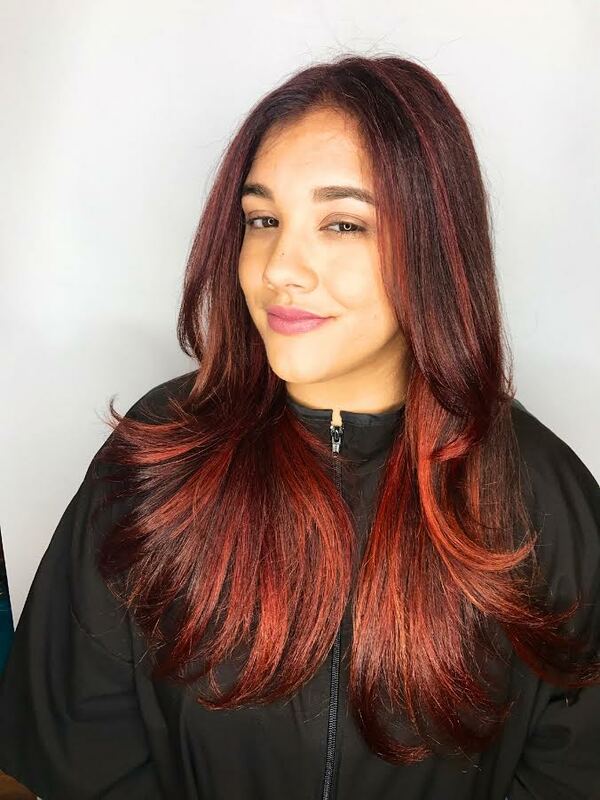 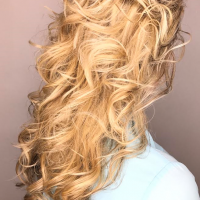 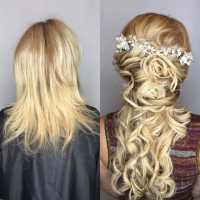 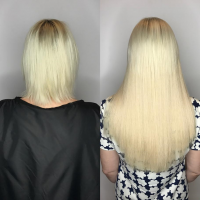 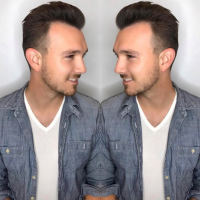 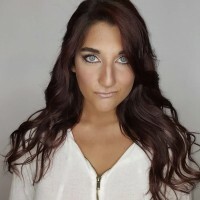 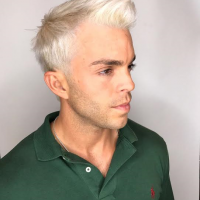 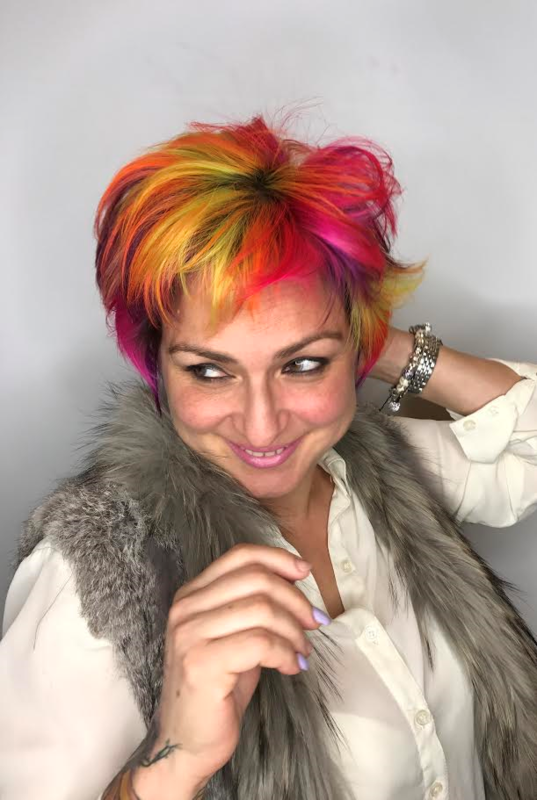 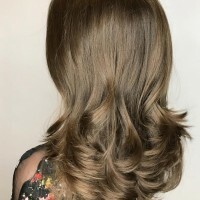 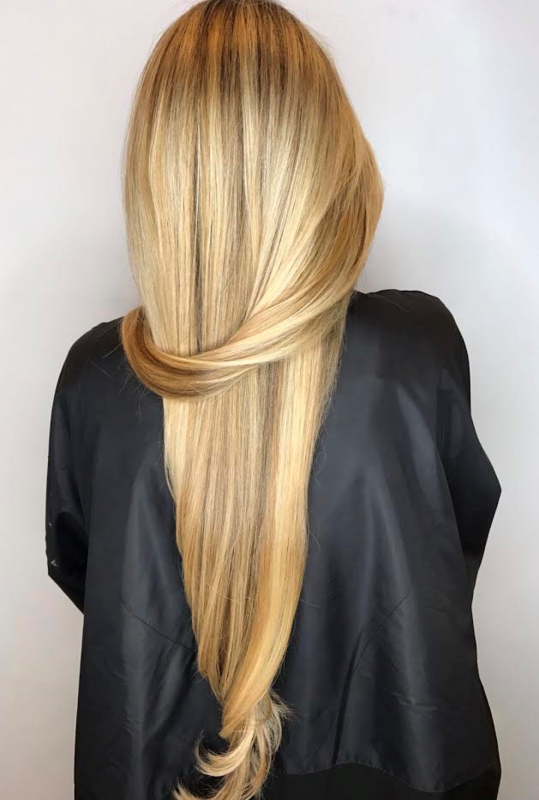 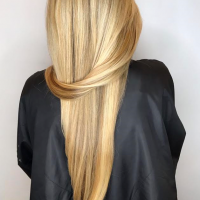 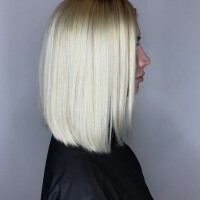 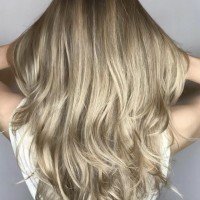 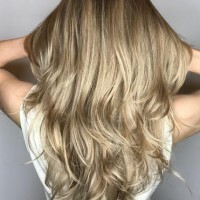 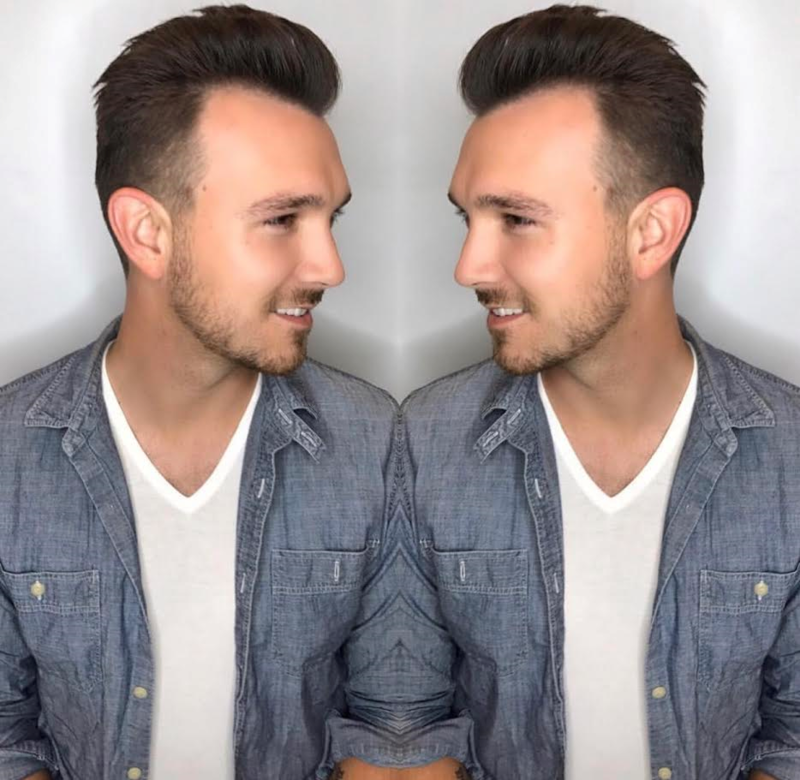 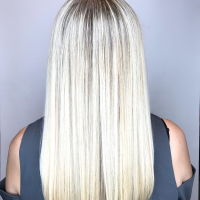 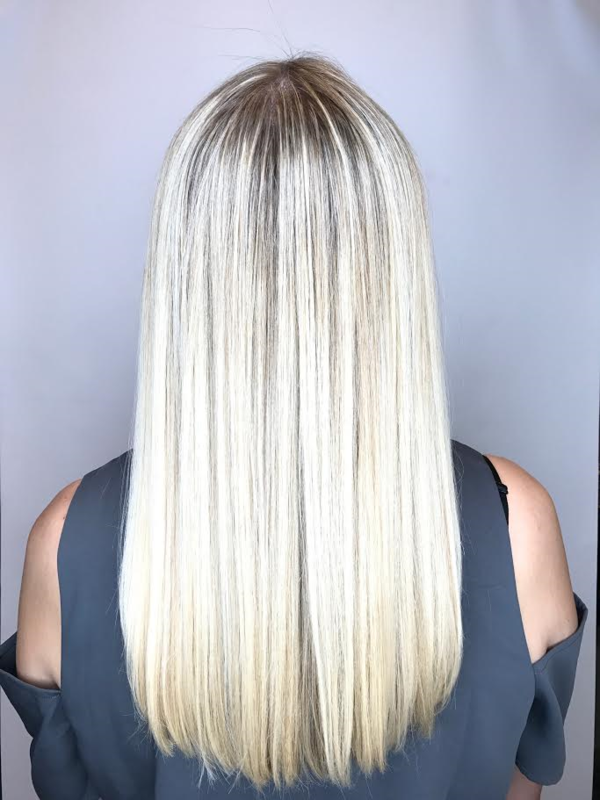 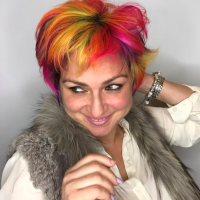 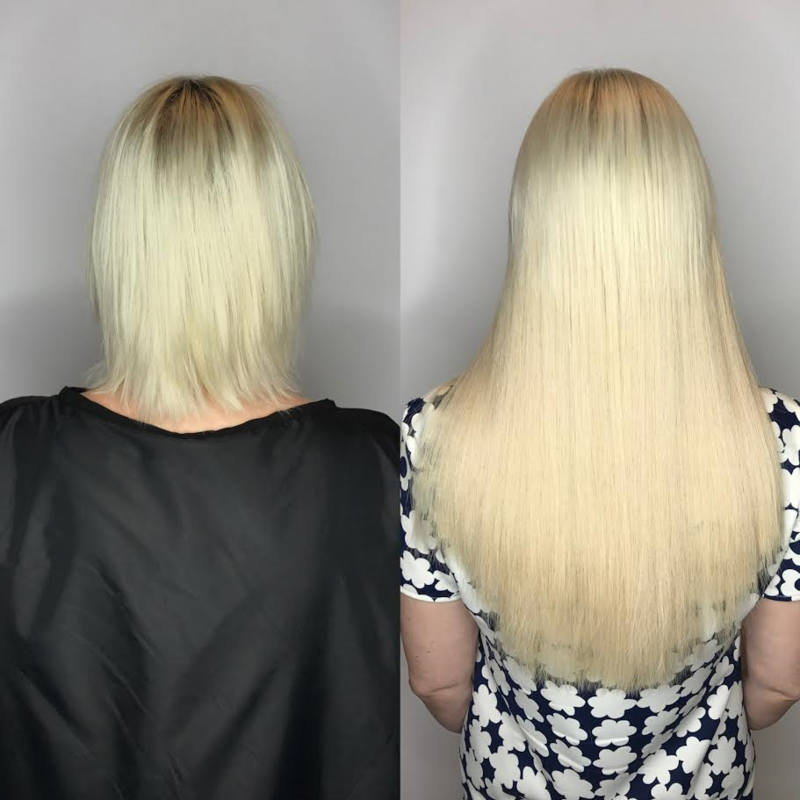 Visit our salon price menu to find pricing for partial hair color, semi-permanent hair extensions, cold fusion hair extensions, keratin tip hair extensions and more. 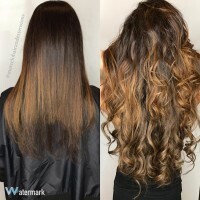 We provide quality long lasting hair extensions, the best wavy blow dry and full hair highlights in Miami. 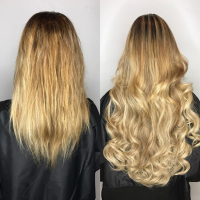 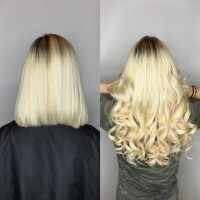 Avant-Garde provides different types of permanent hair extensions like bonded, clip in and tape in hair extensions salon services. 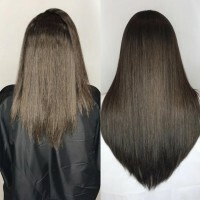 Get smooth beautiful hair with hair Botox products and professional deep conditioning treatments. 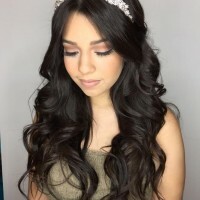 Our Hair Stylists create many different types of highlights in the best hair color salon. 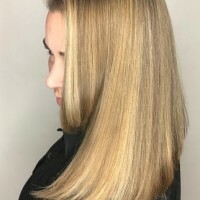 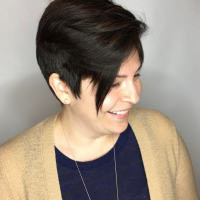 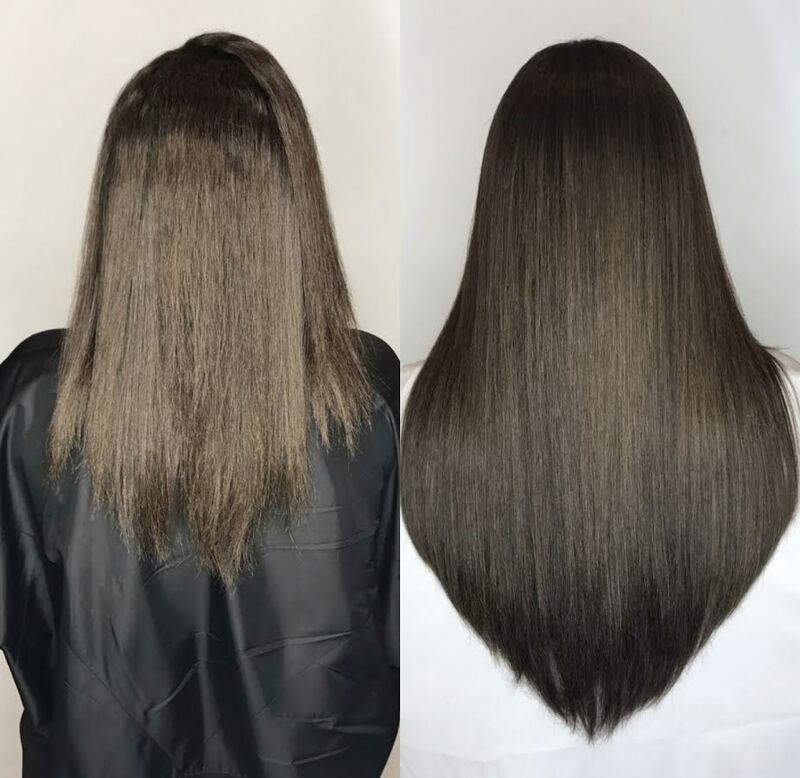 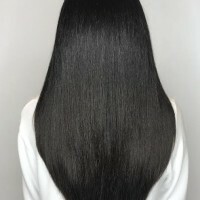 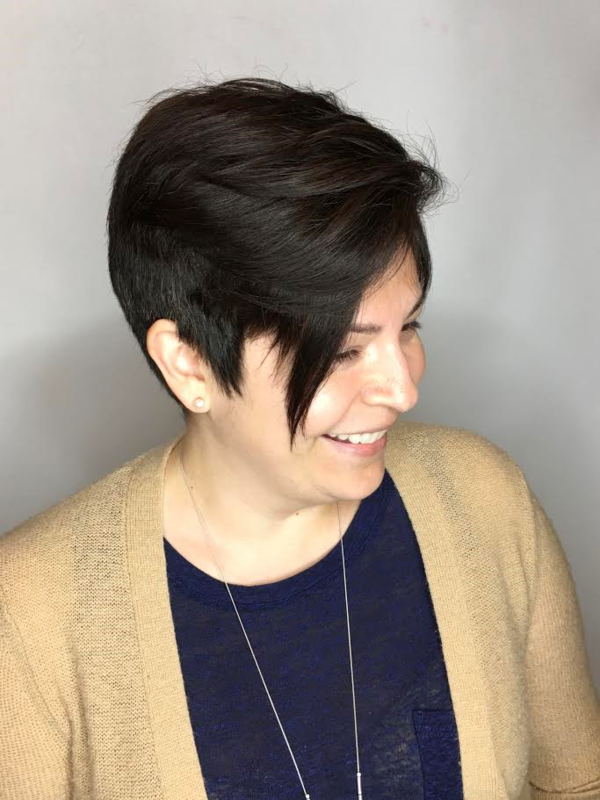 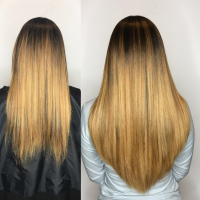 Want to know what single process hair color is, different types of hair straightening treatments or about professional hair treatment for salon deep condition? 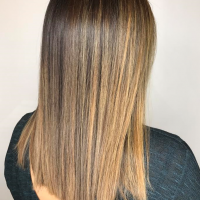 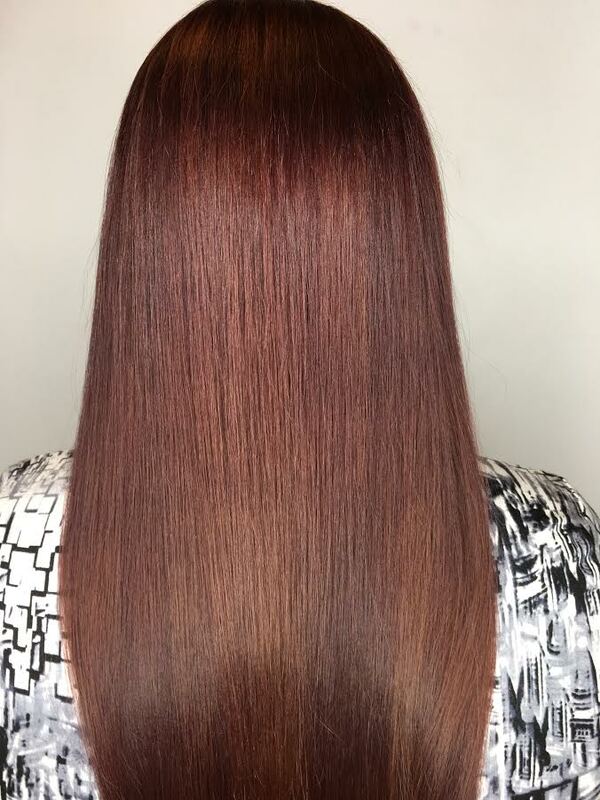 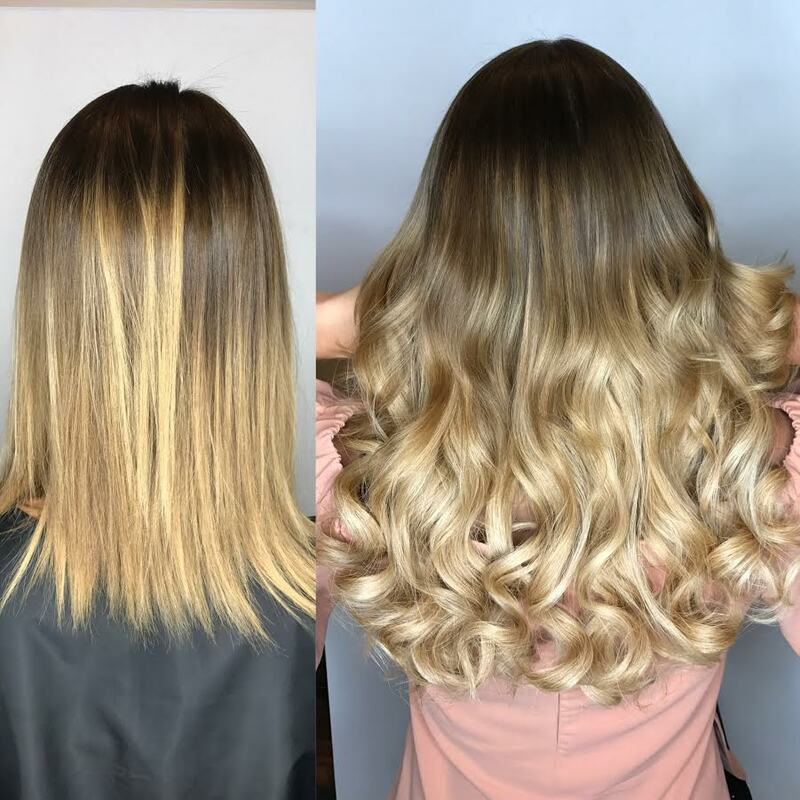 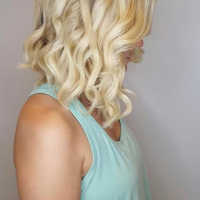 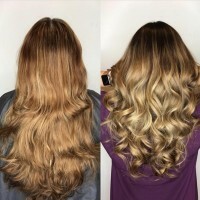 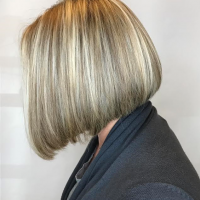 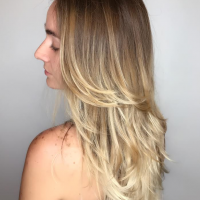 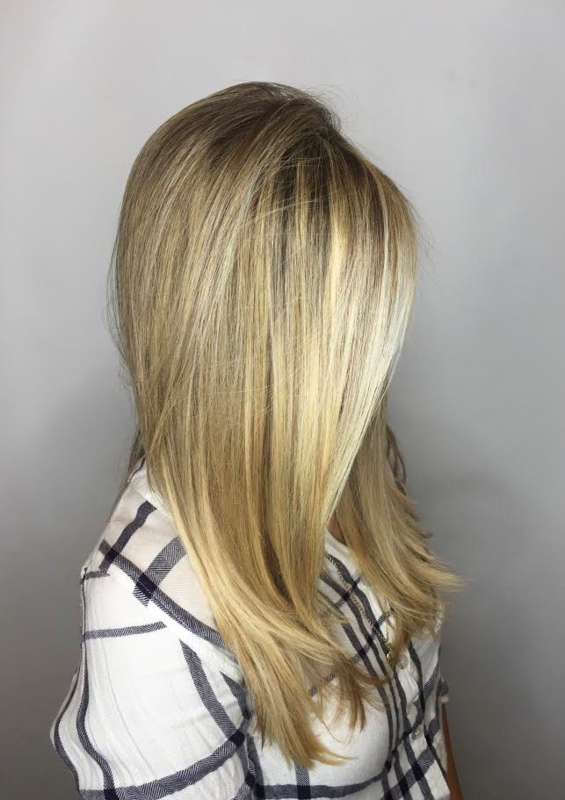 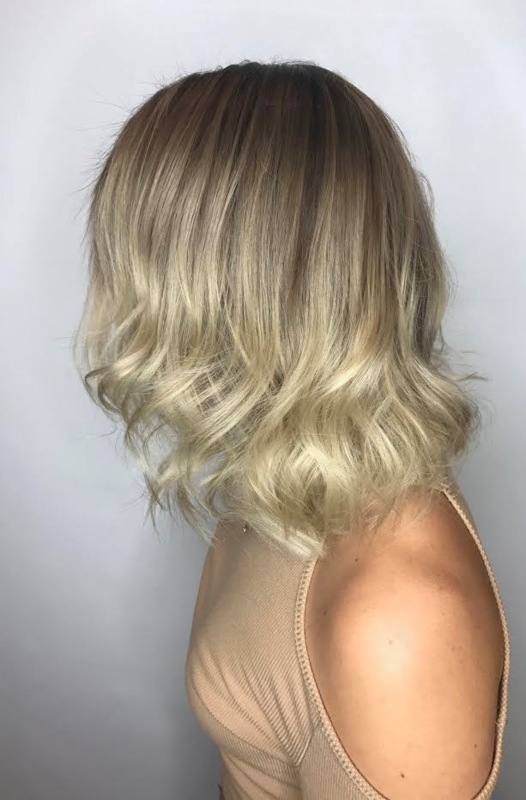 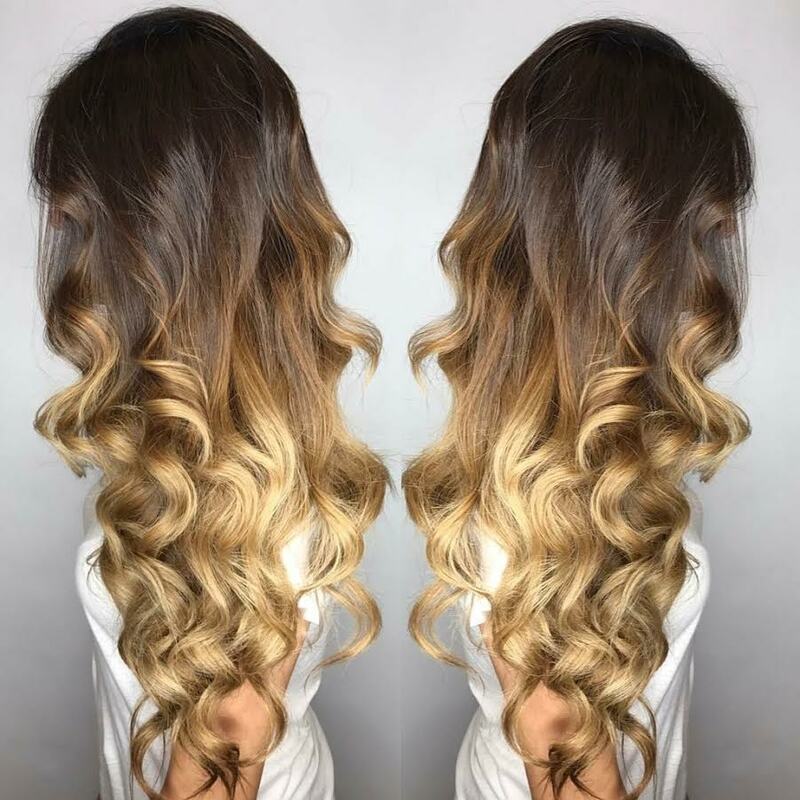 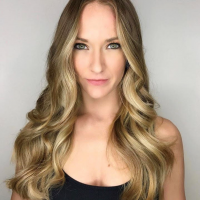 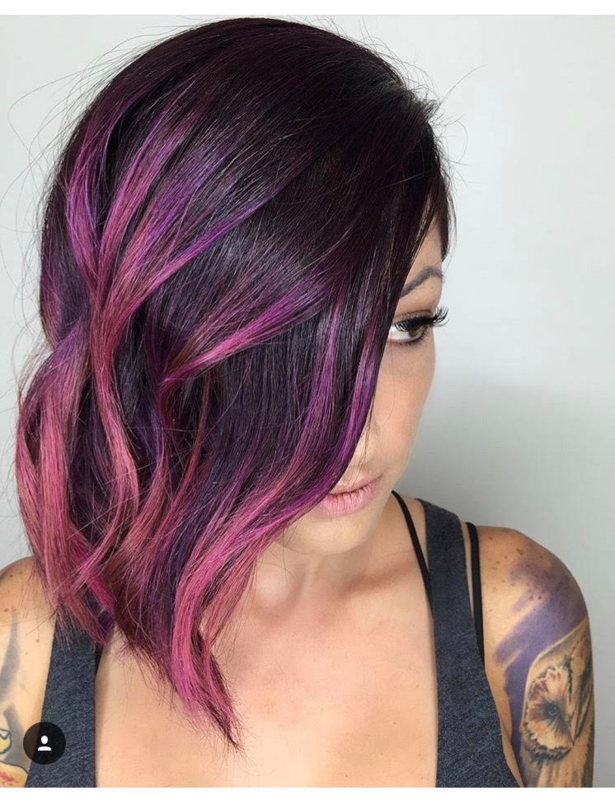 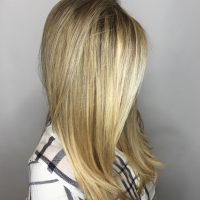 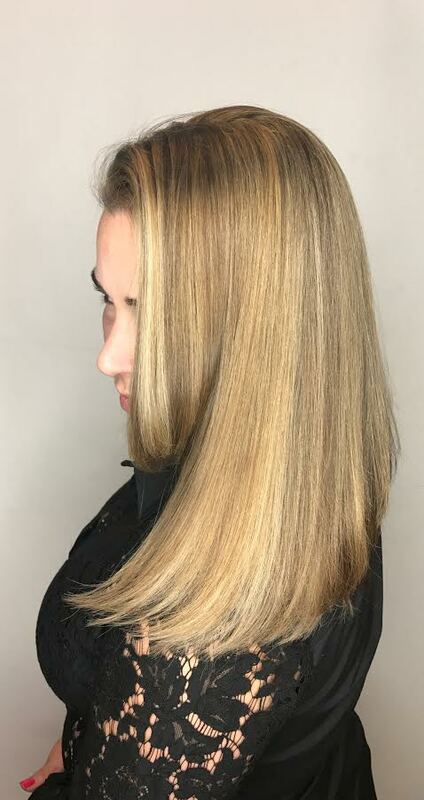 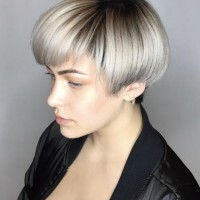 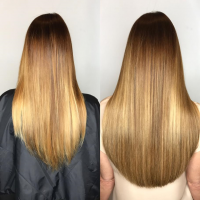 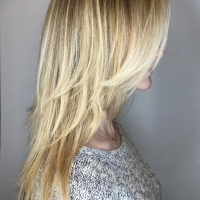 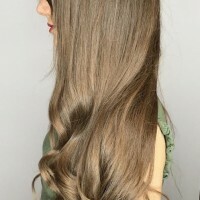 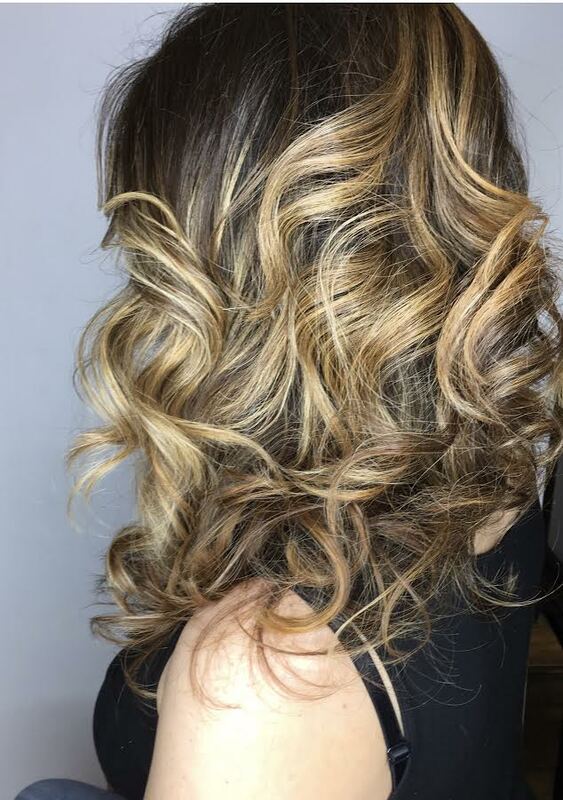 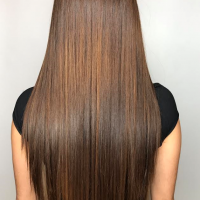 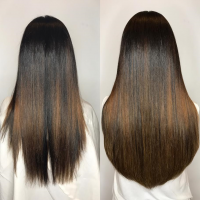 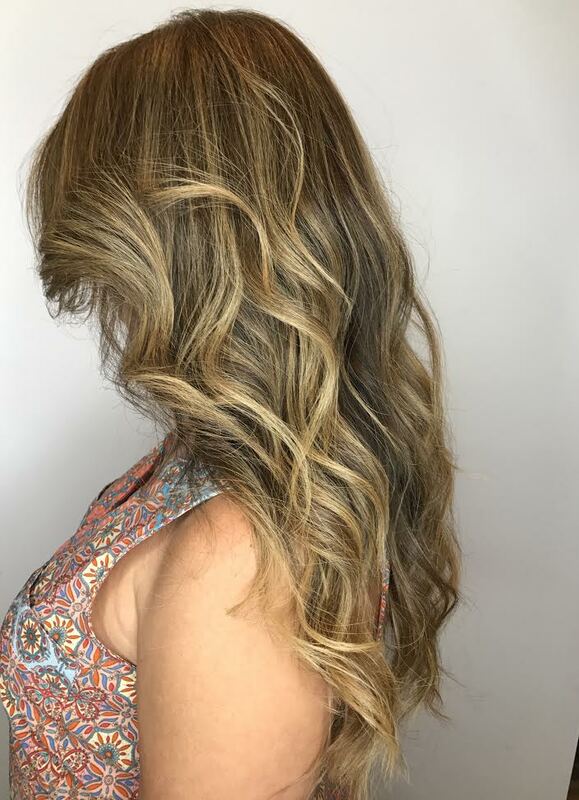 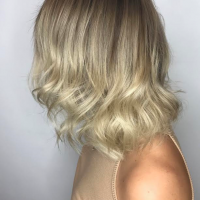 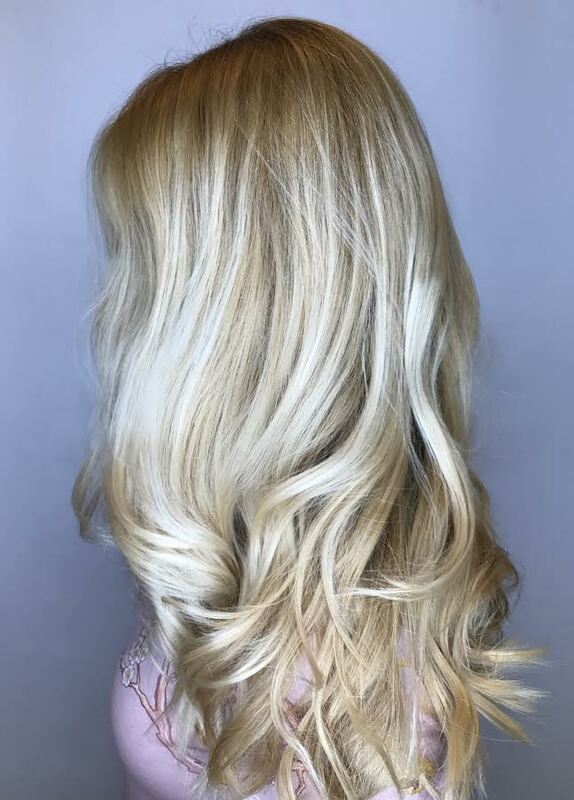 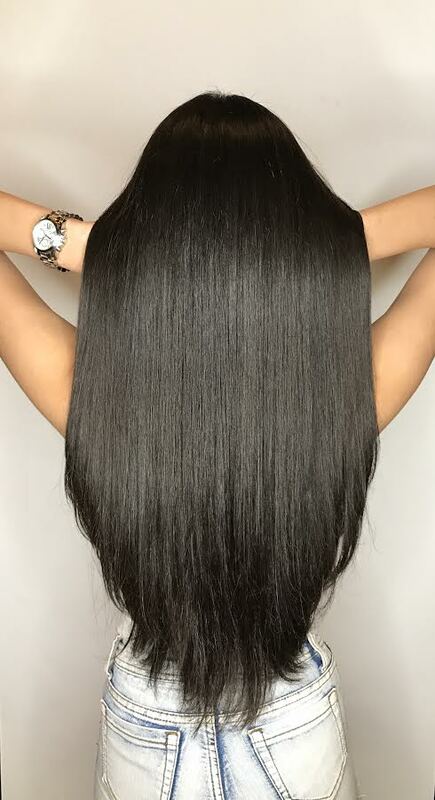 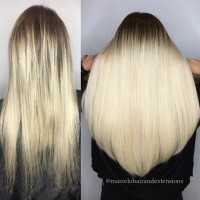 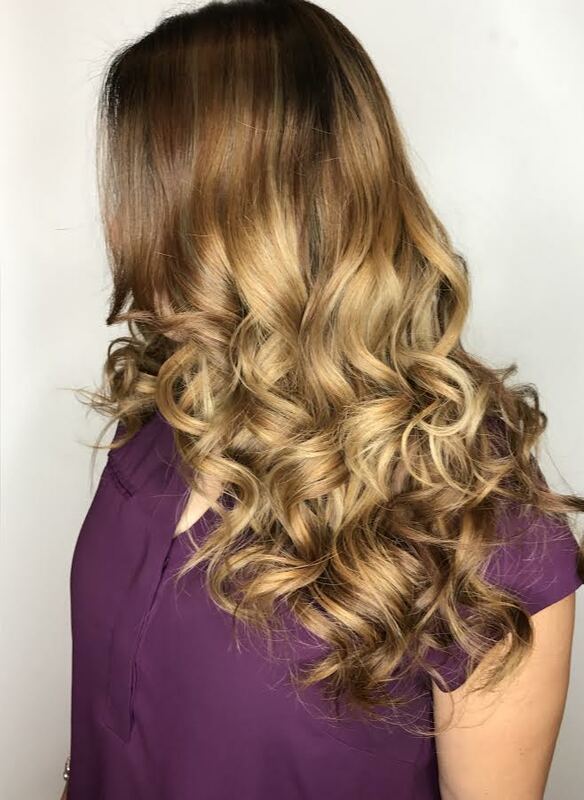 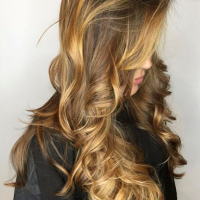 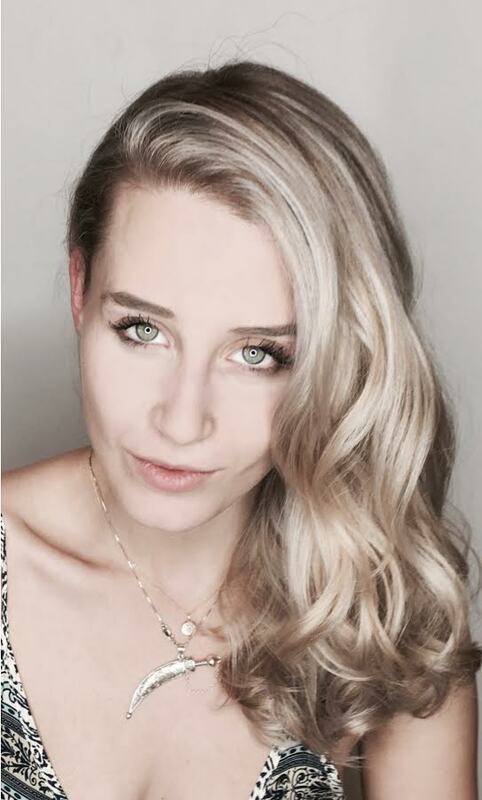 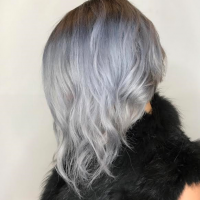 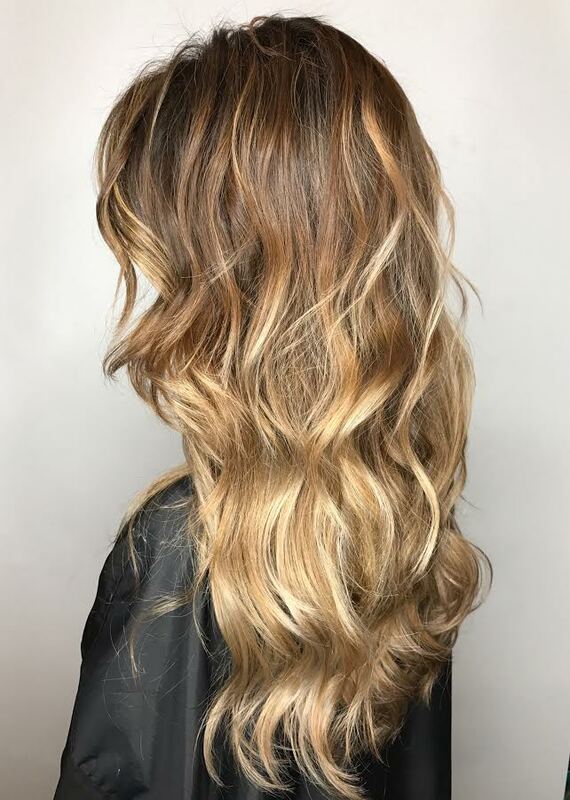 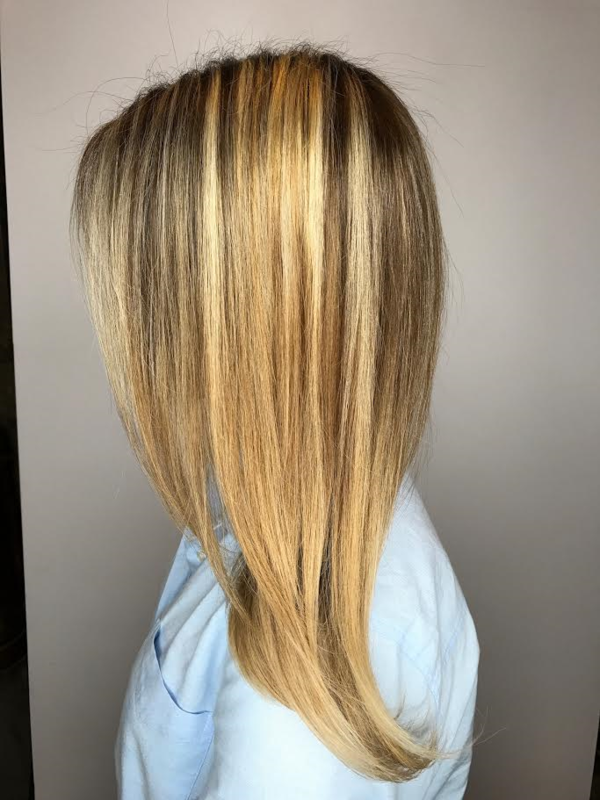 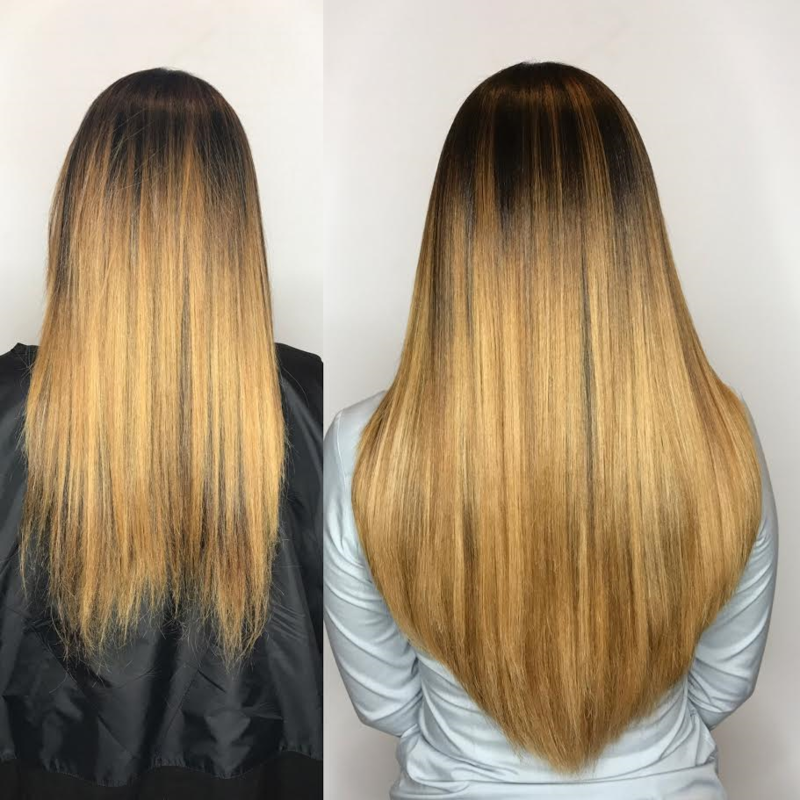 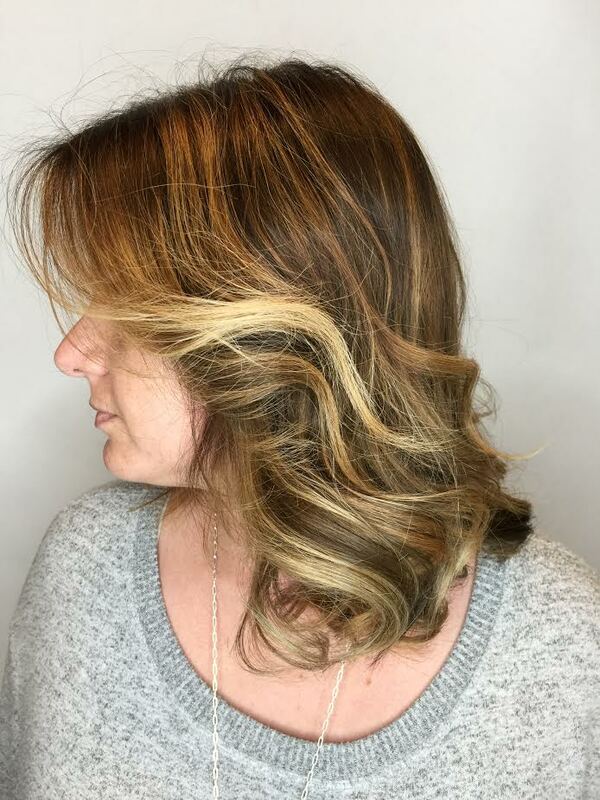 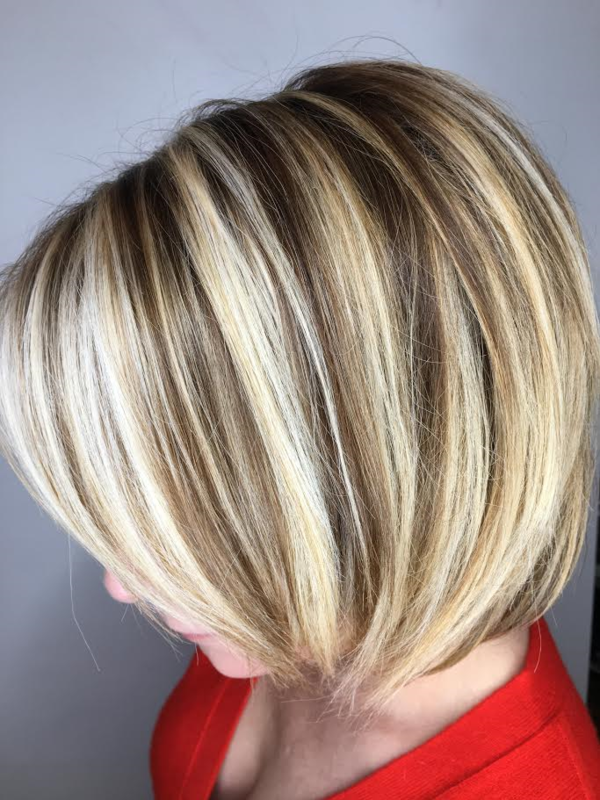 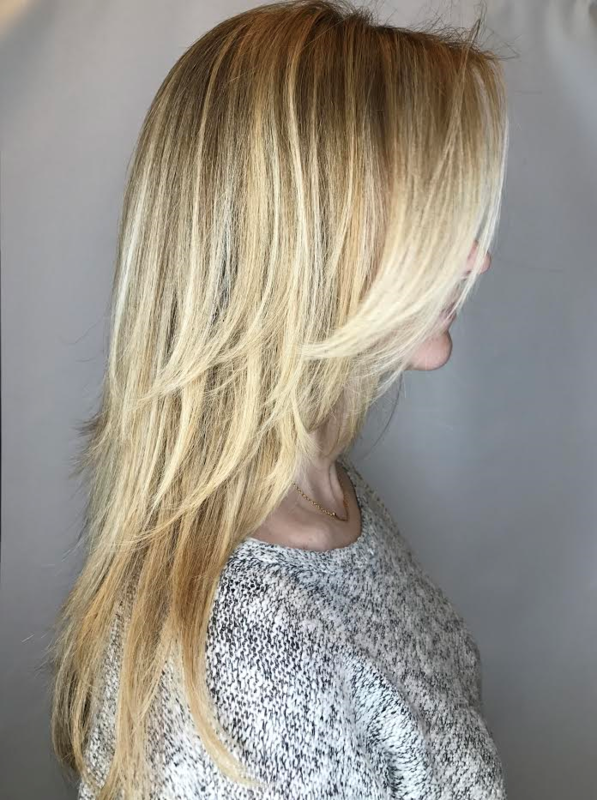 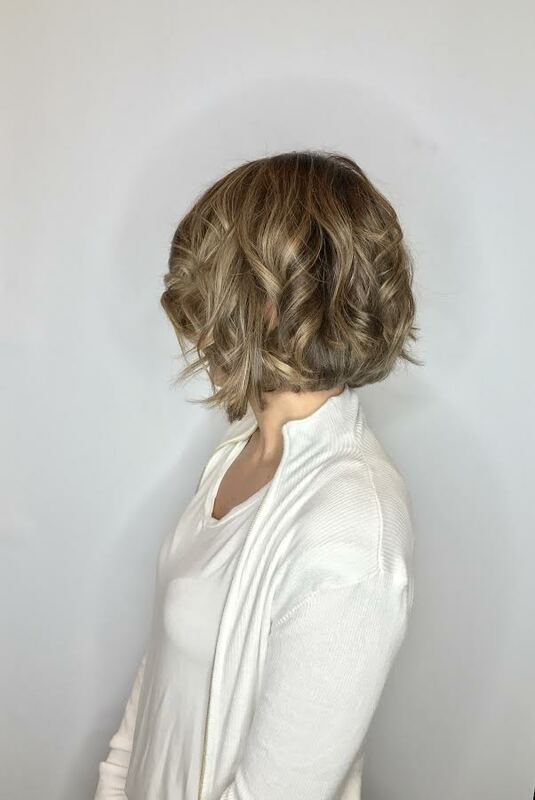 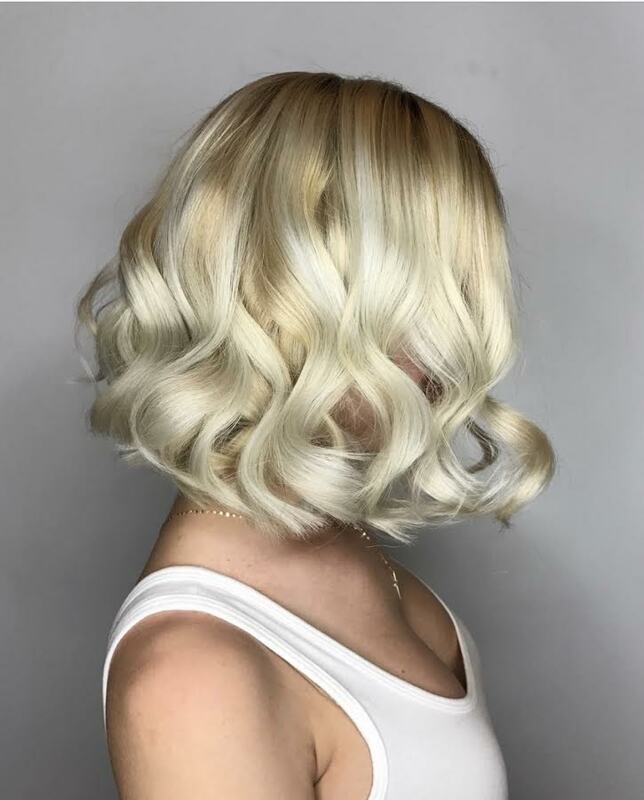 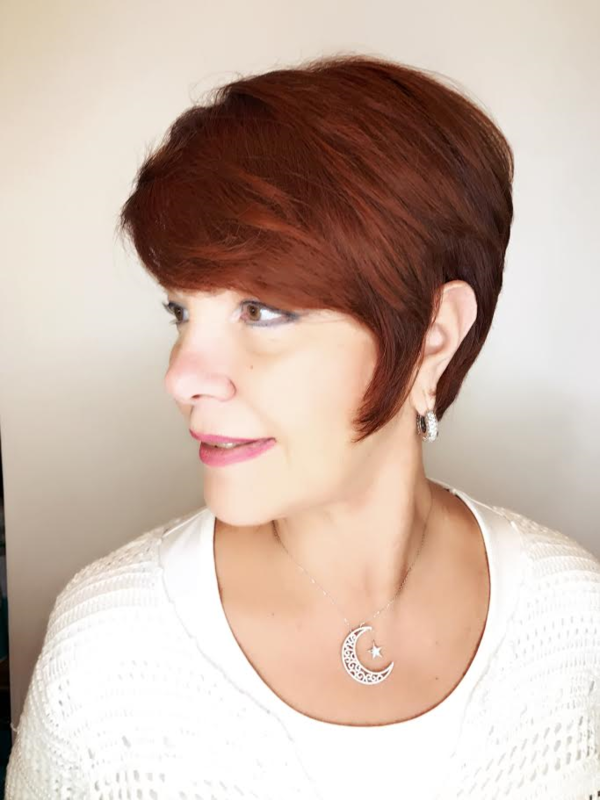 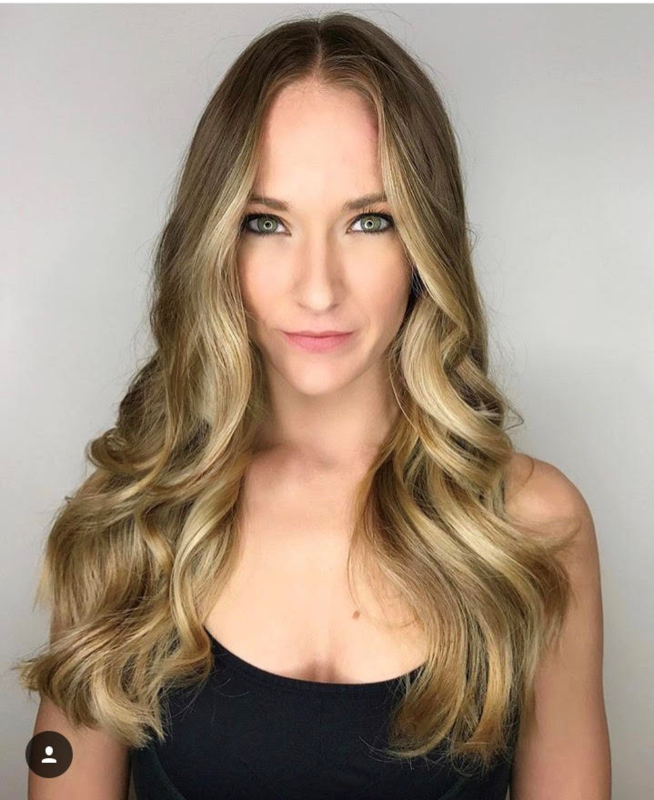 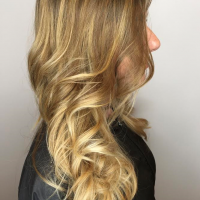 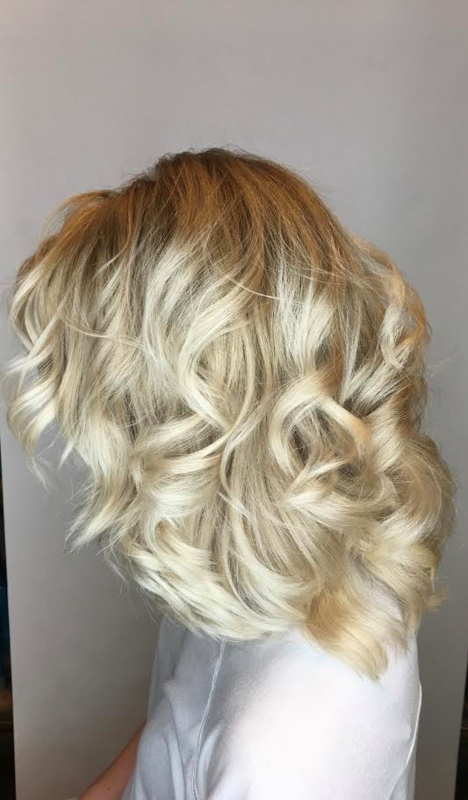 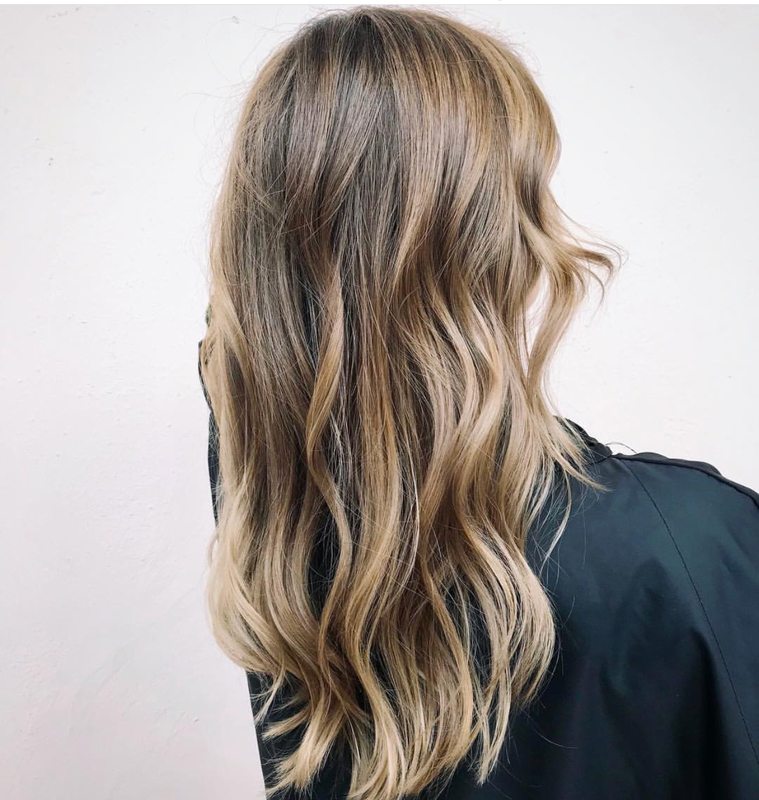 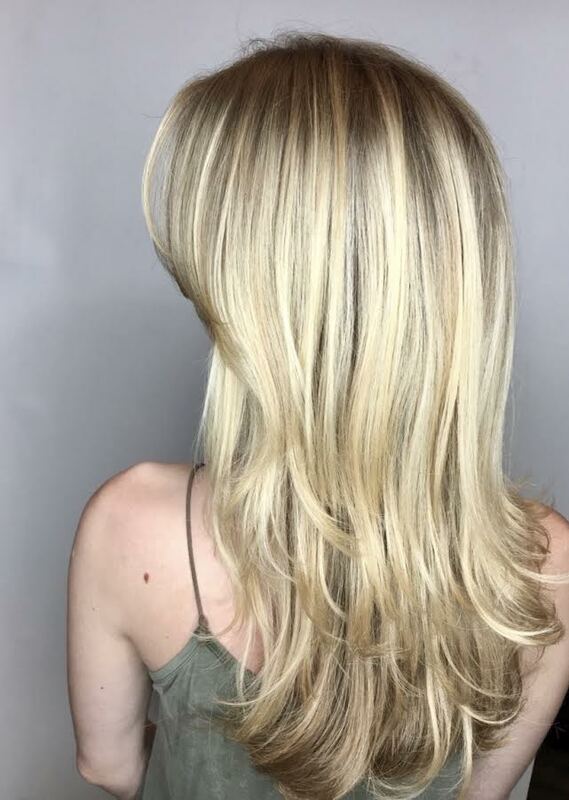 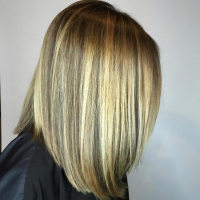 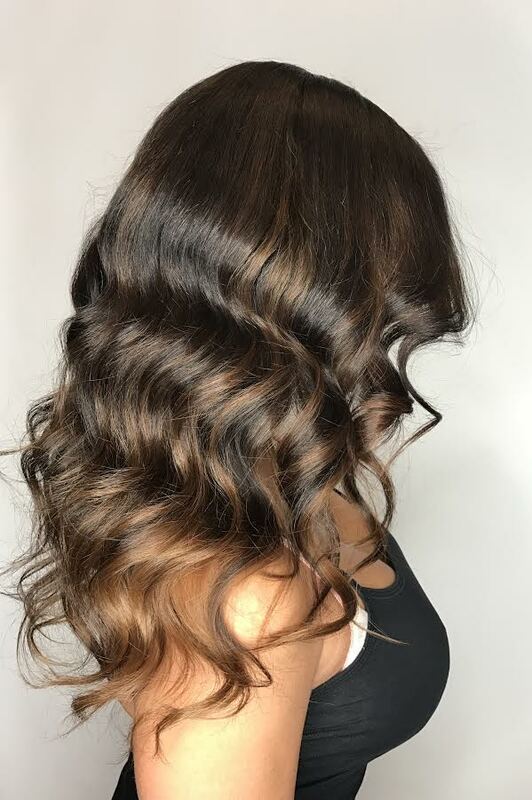 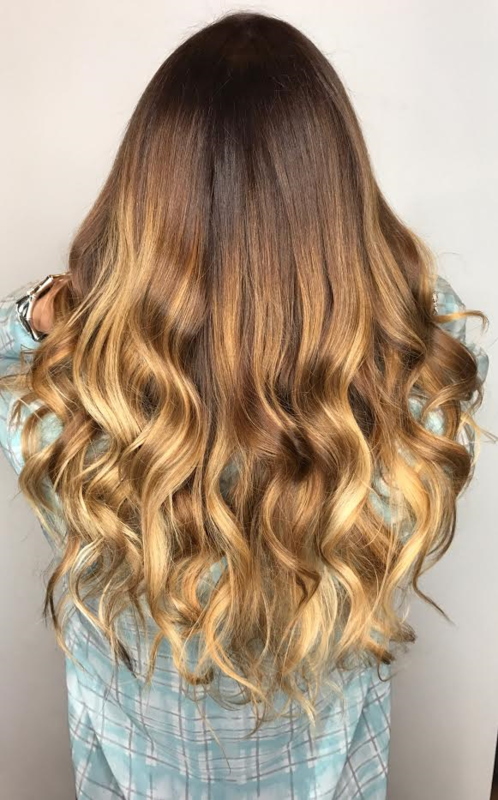 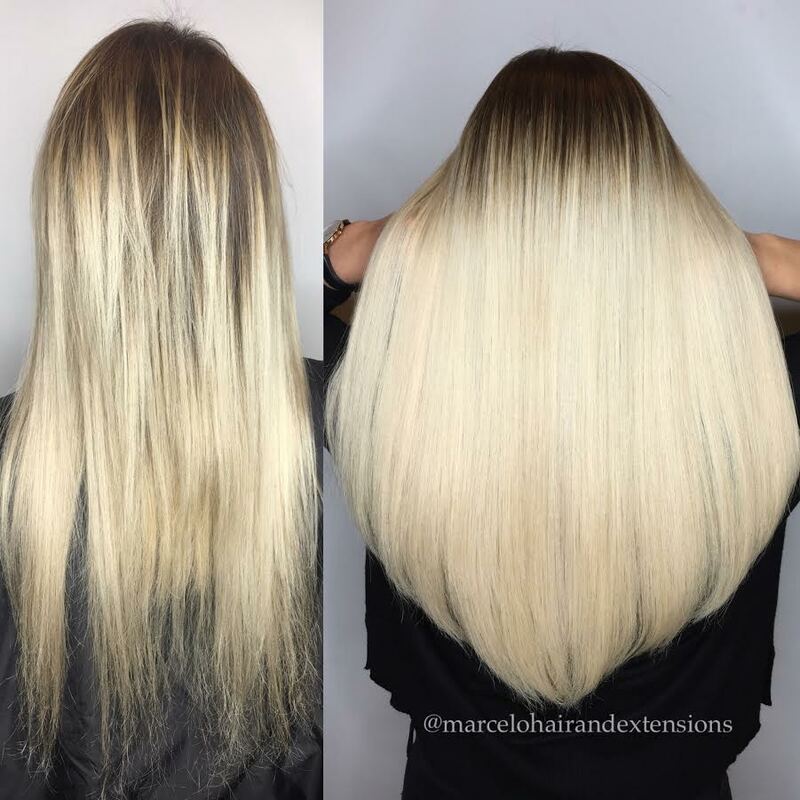 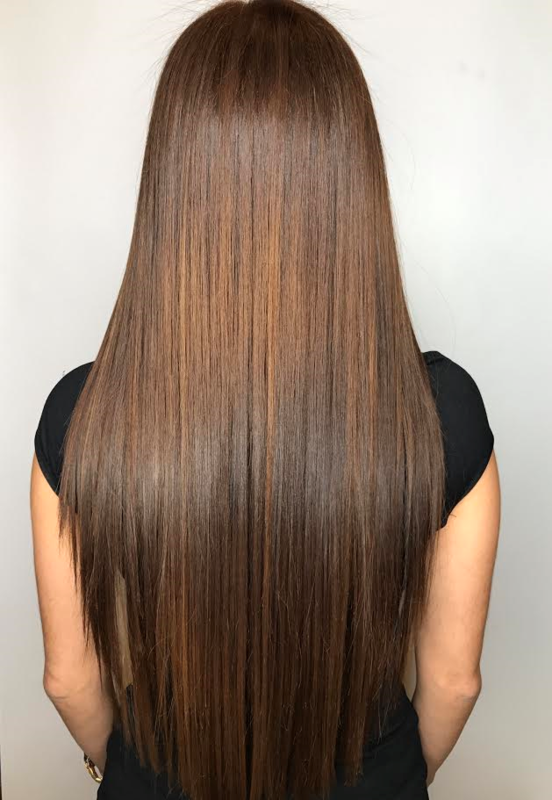 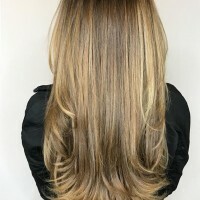 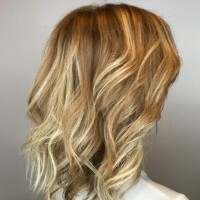 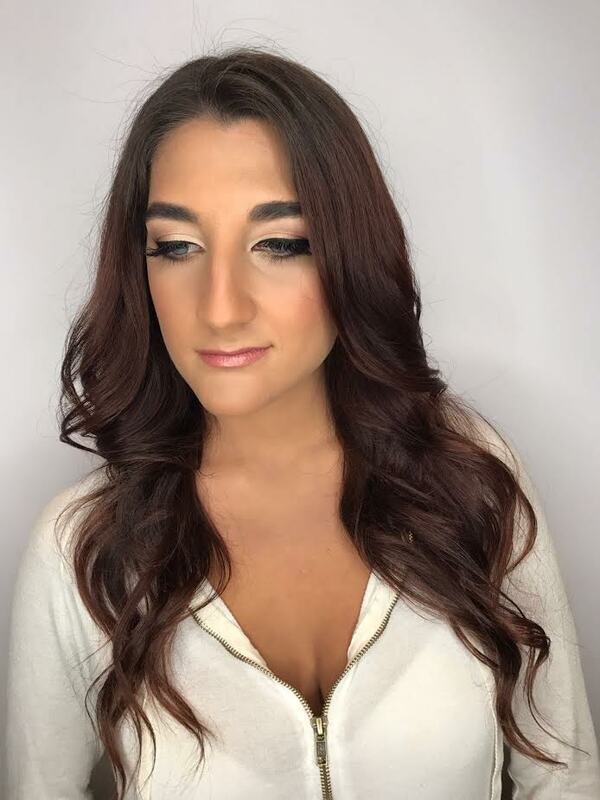 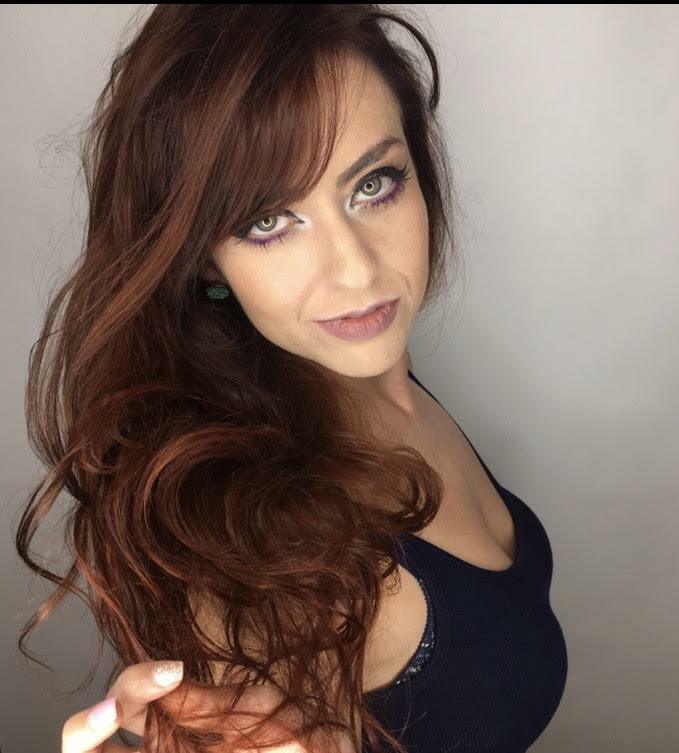 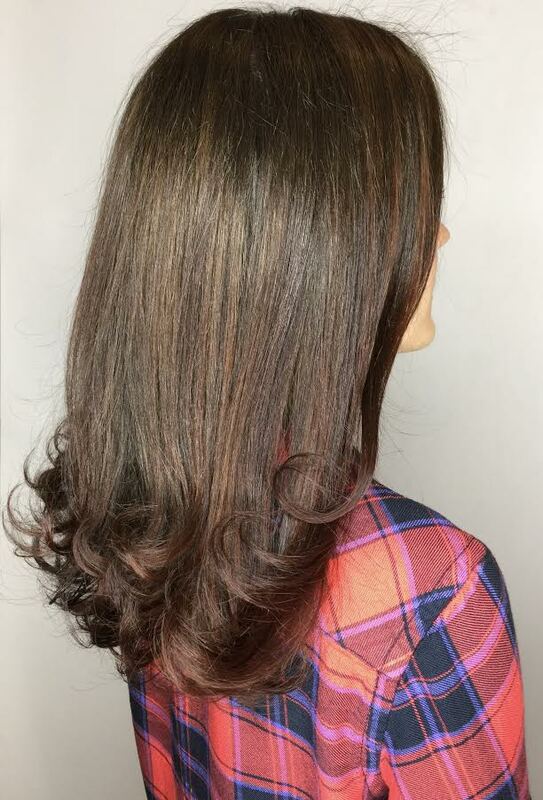 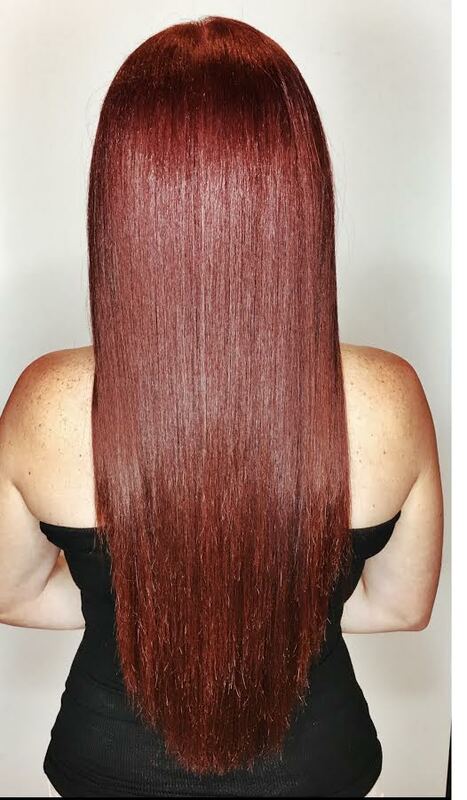 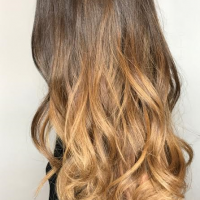 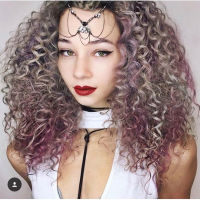 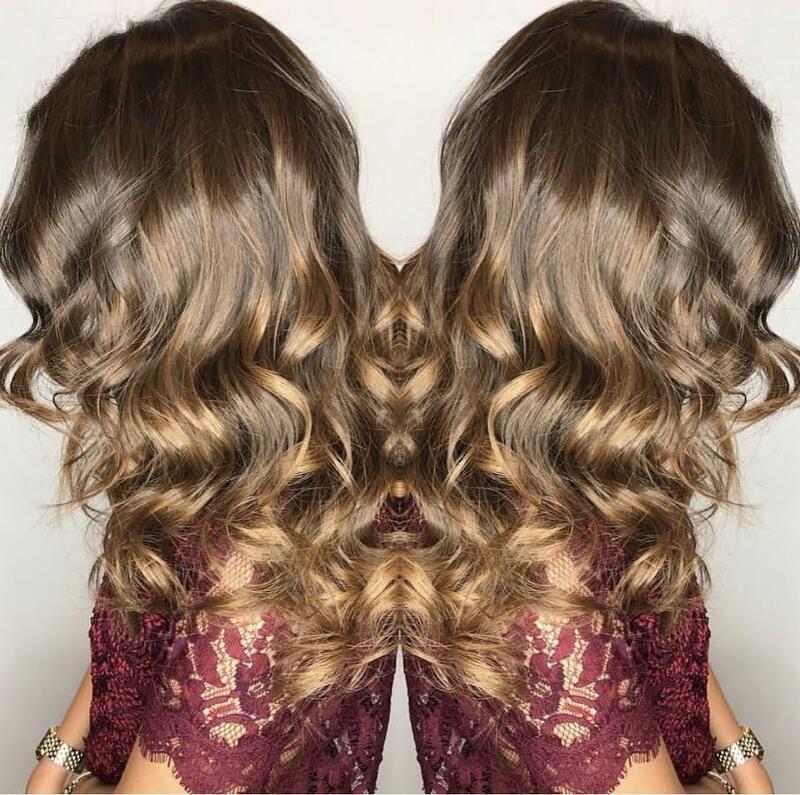 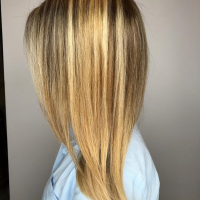 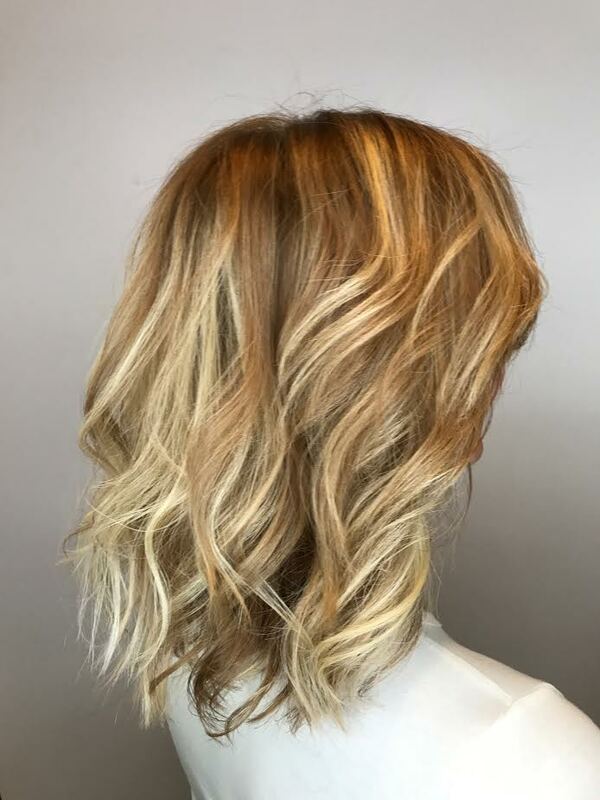 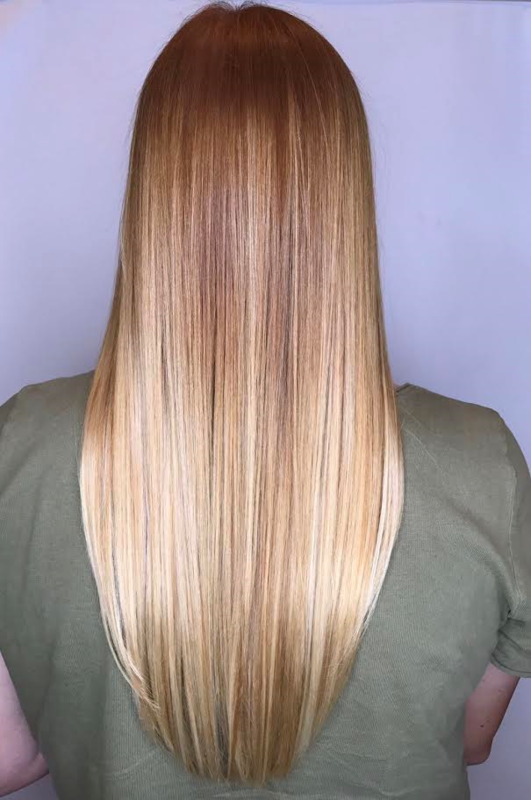 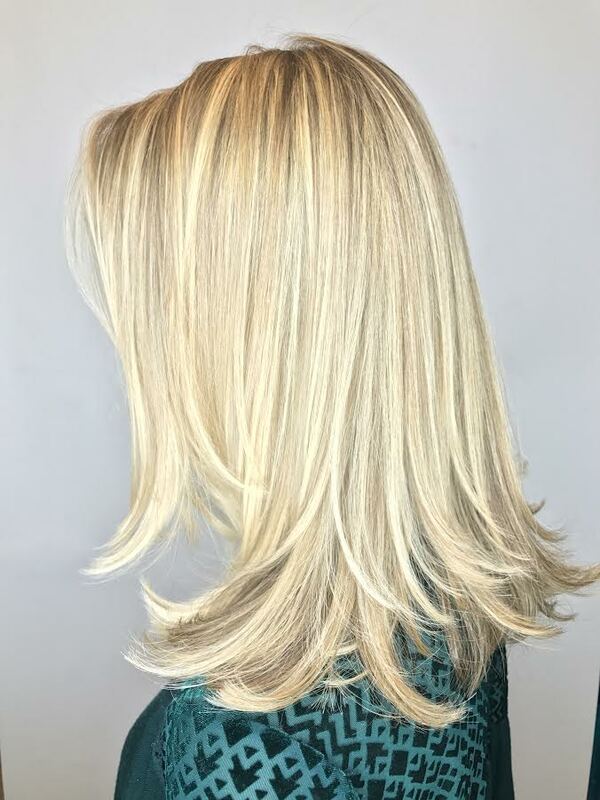 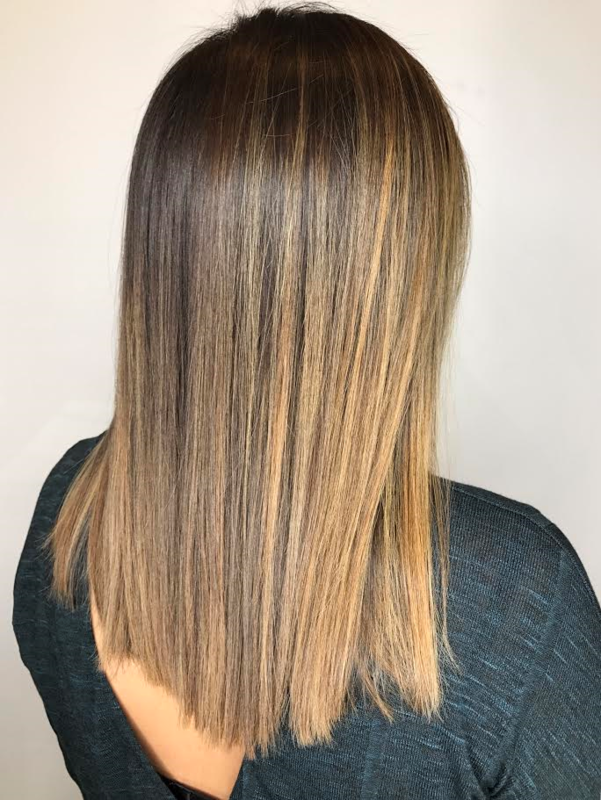 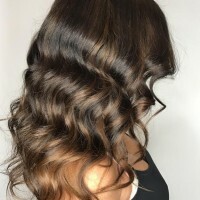 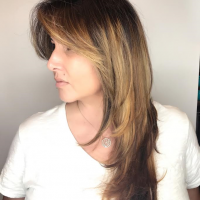 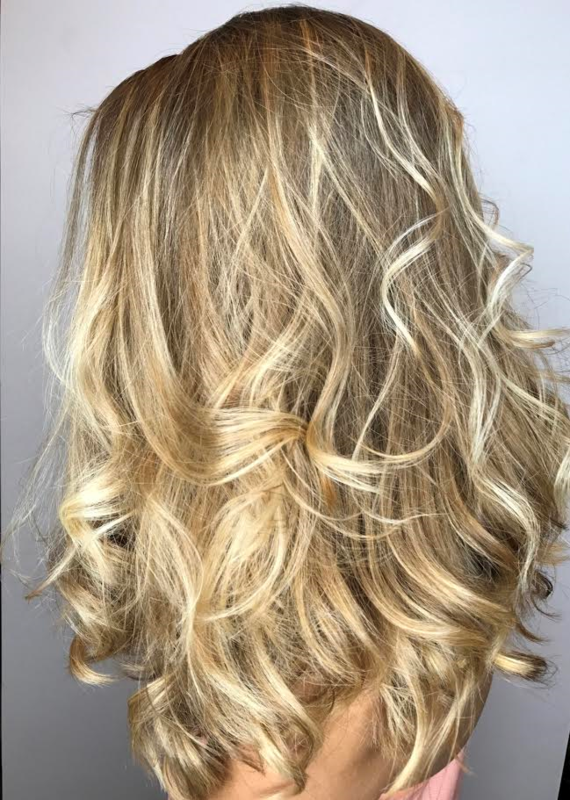 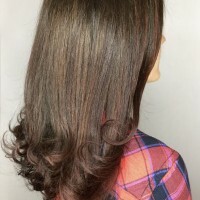 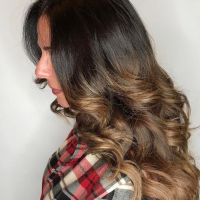 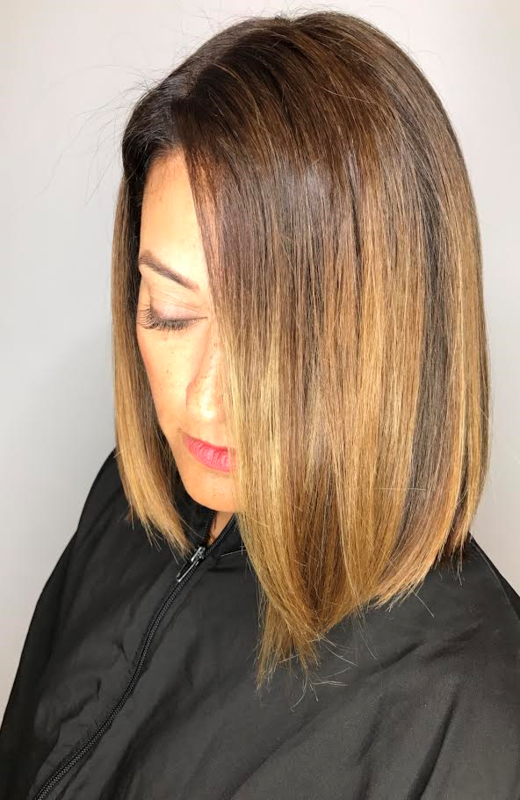 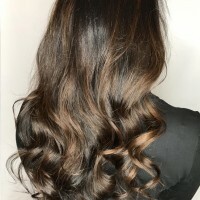 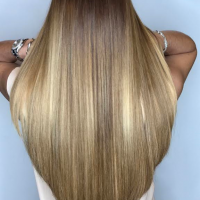 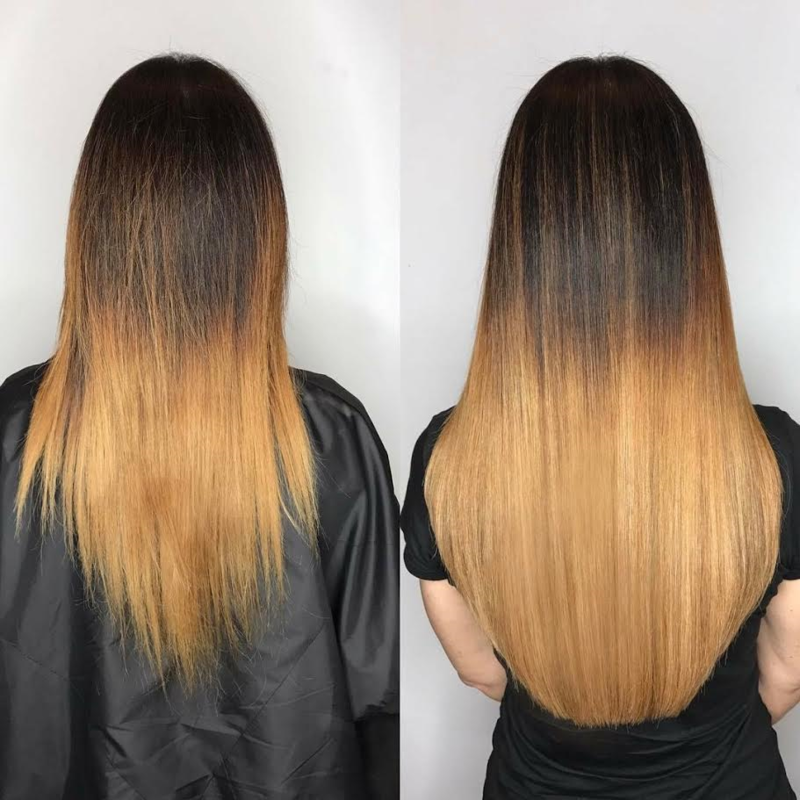 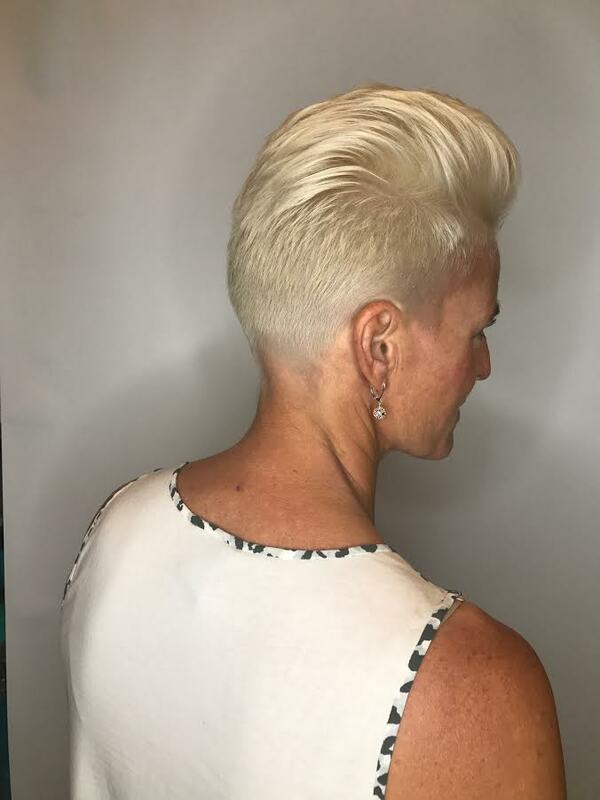 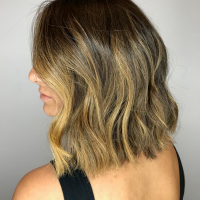 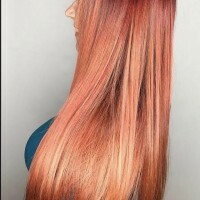 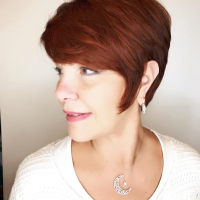 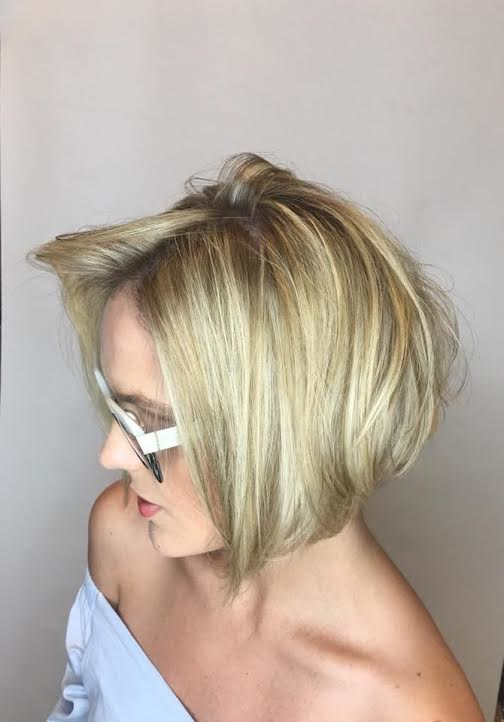 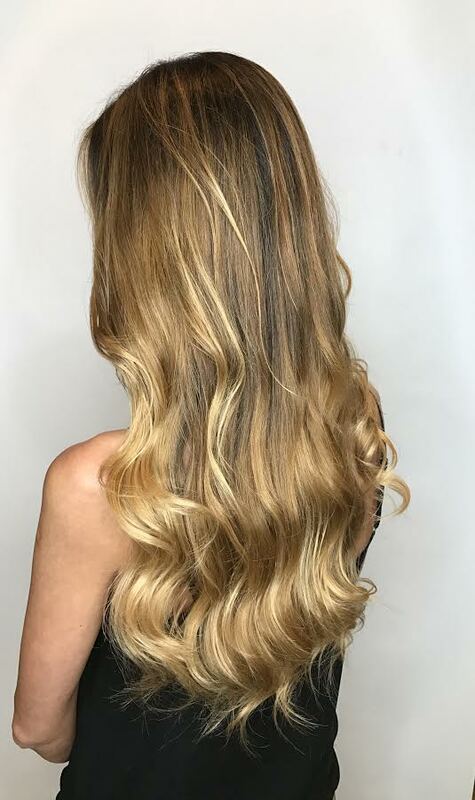 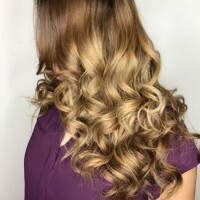 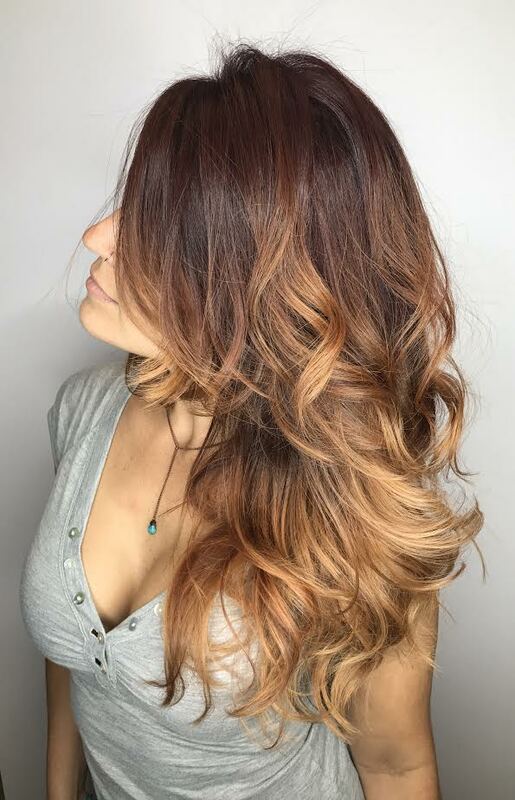 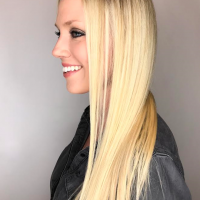 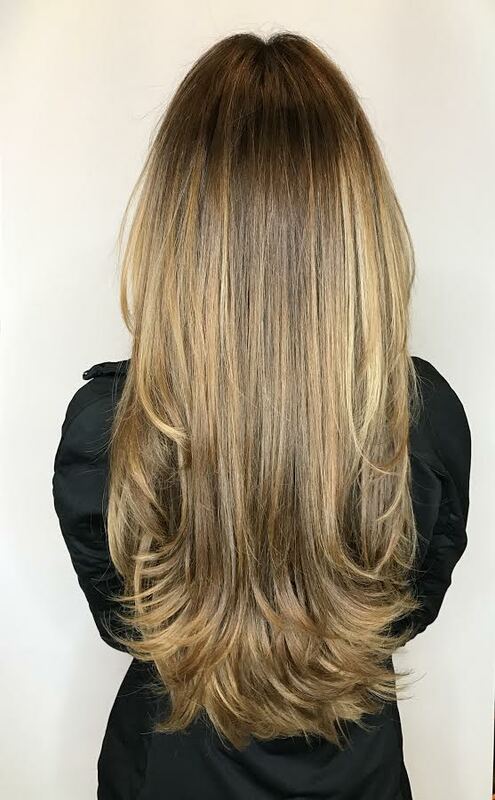 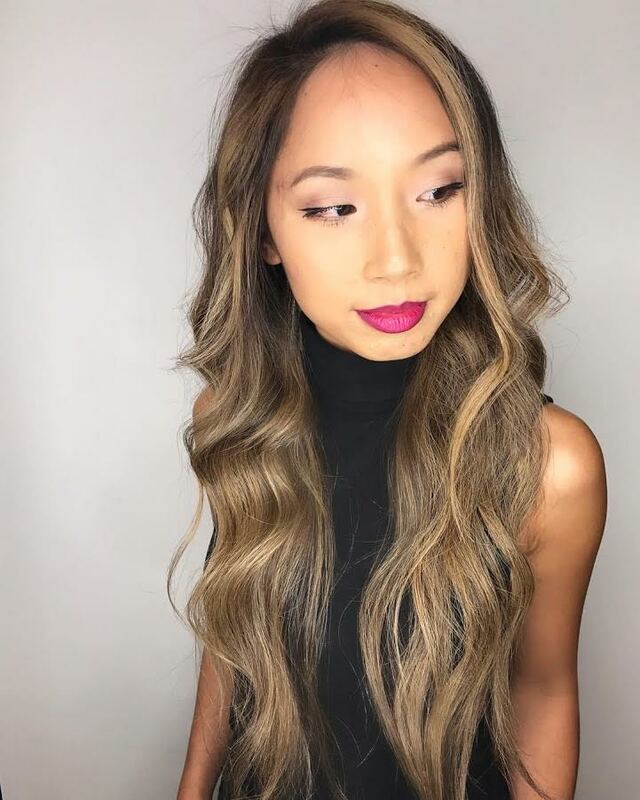 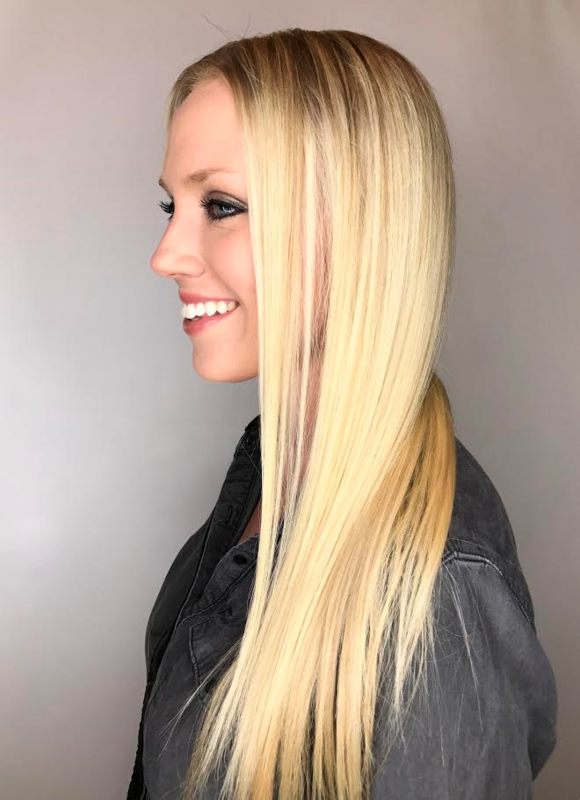 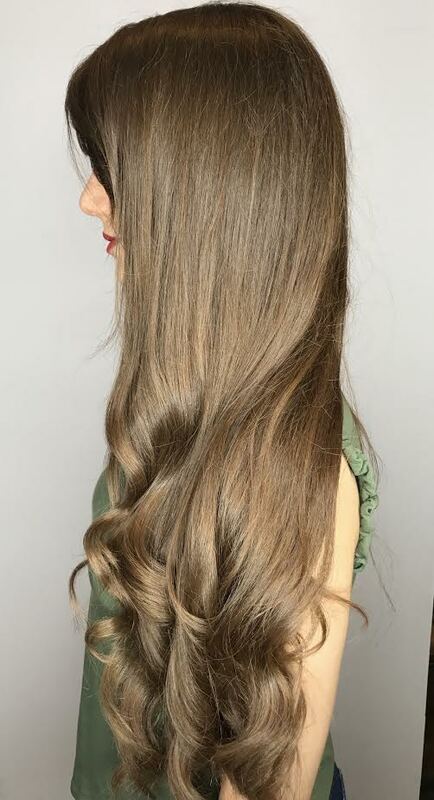 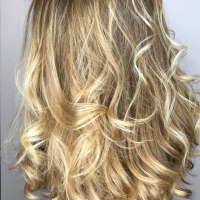 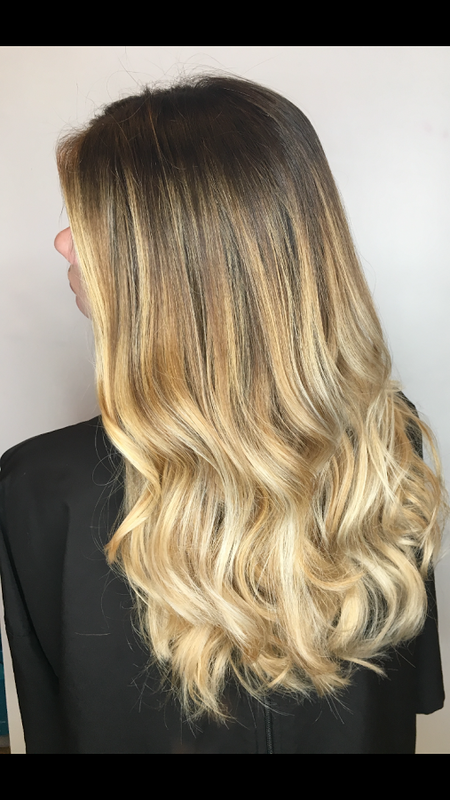 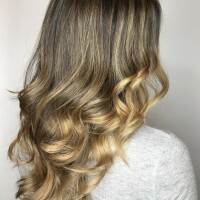 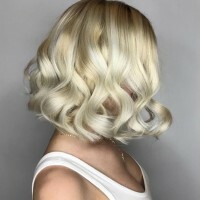 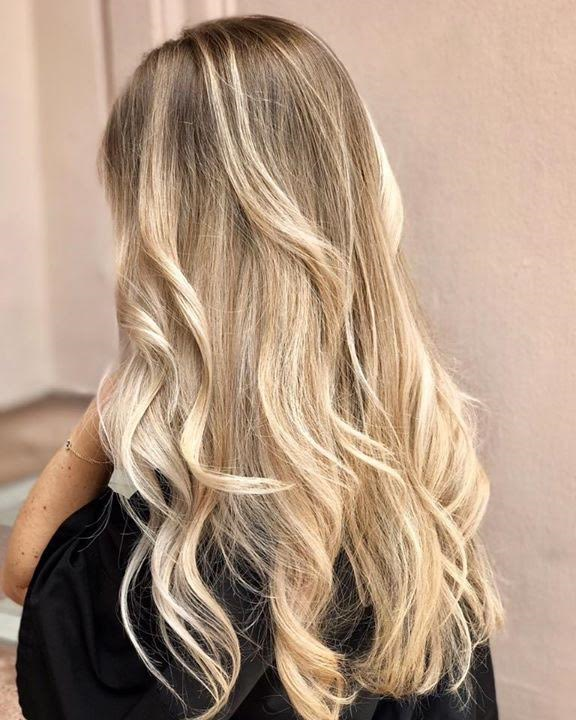 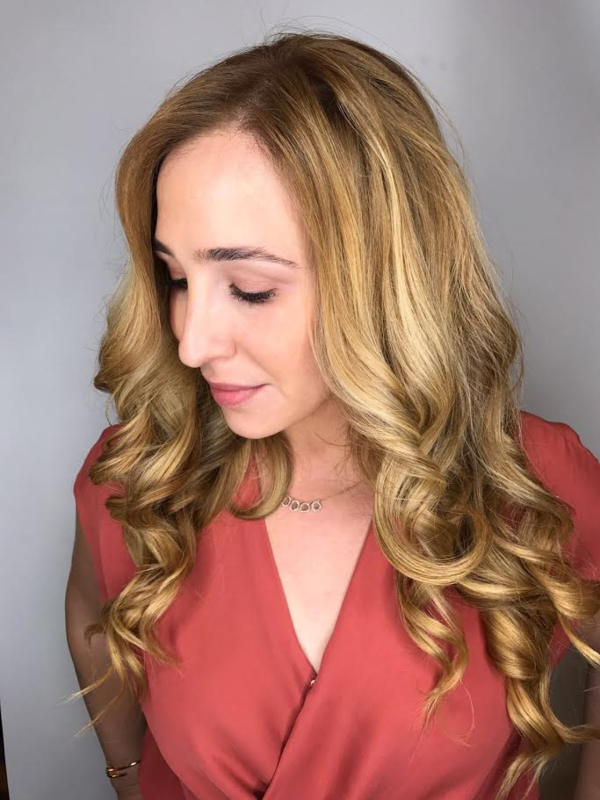 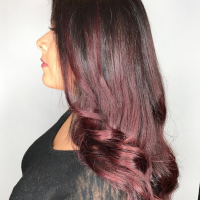 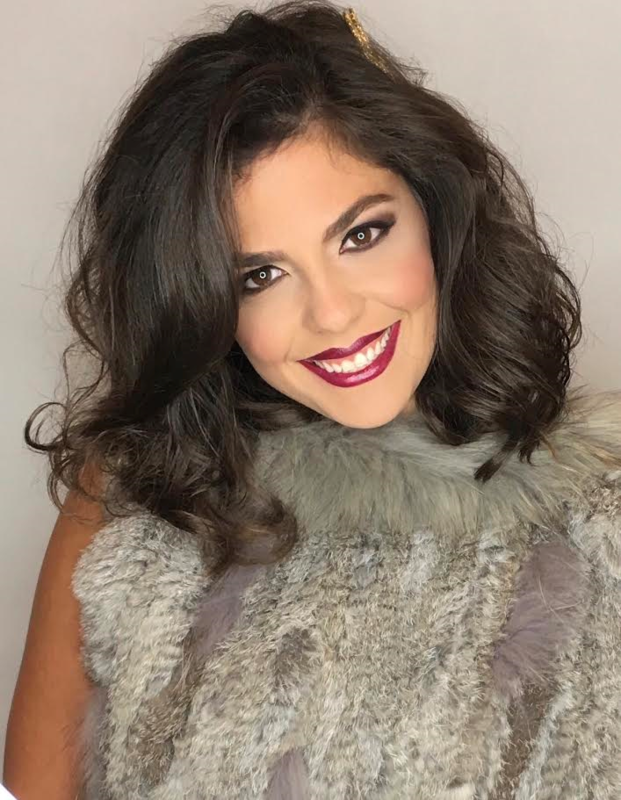 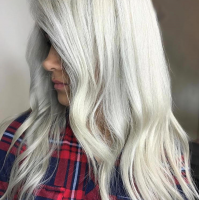 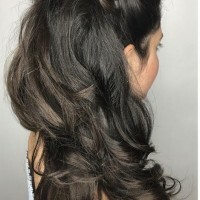 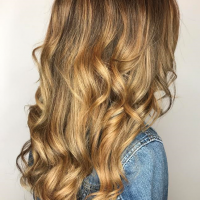 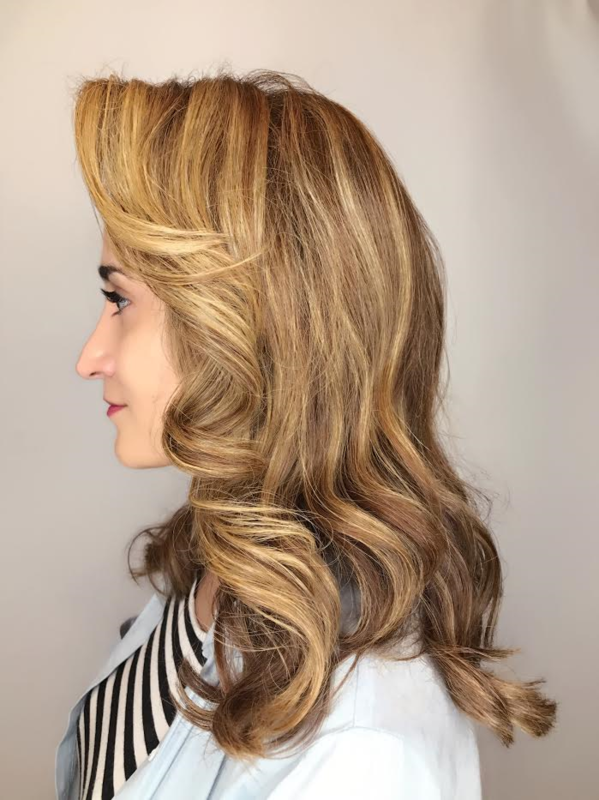 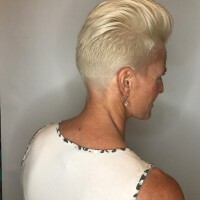 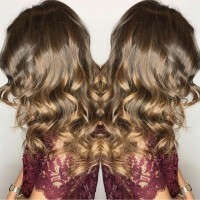 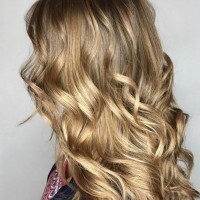 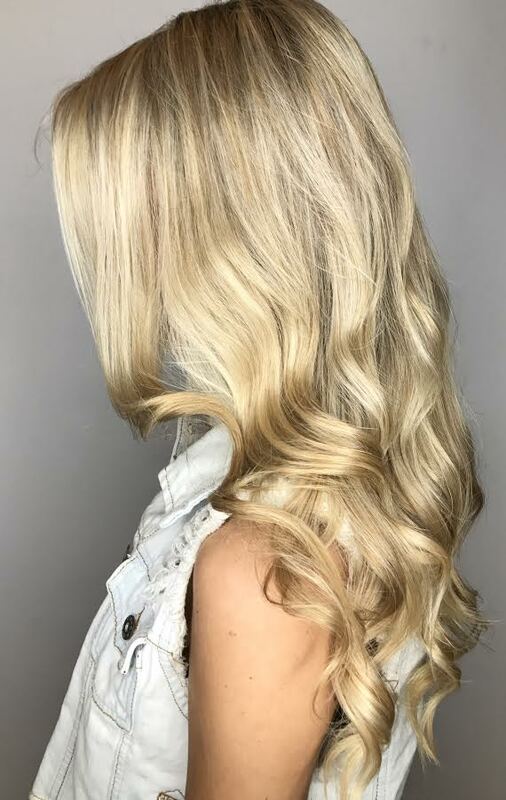 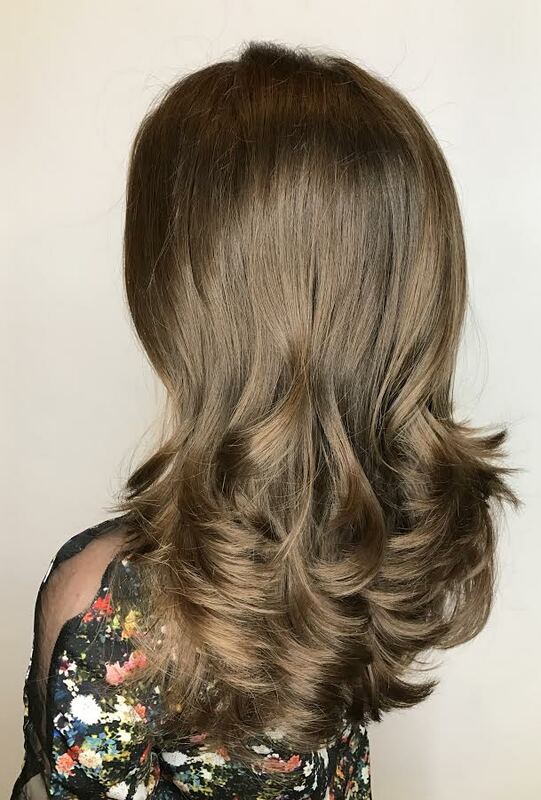 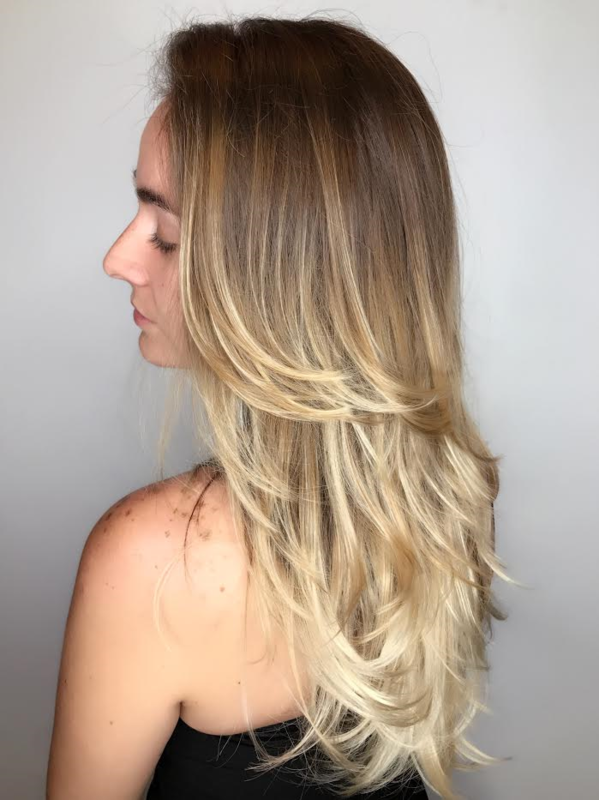 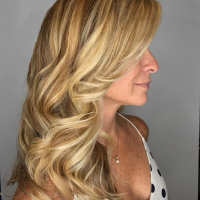 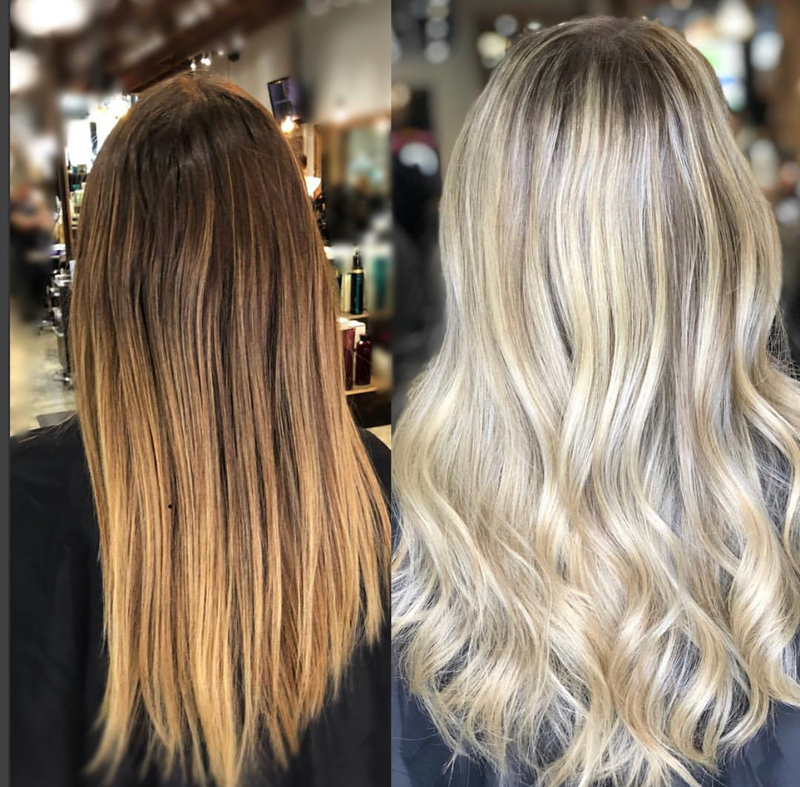 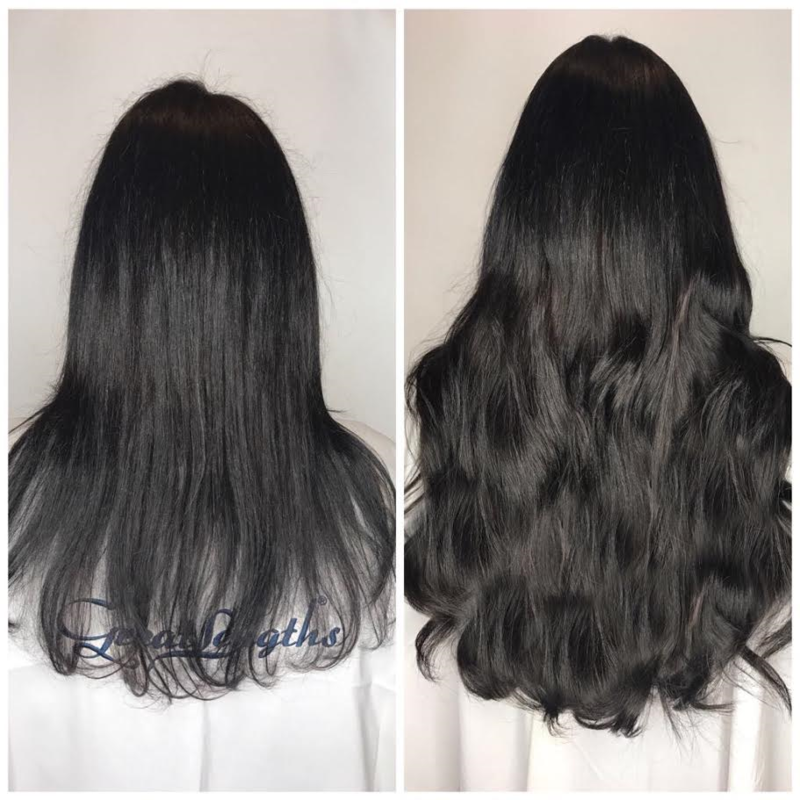 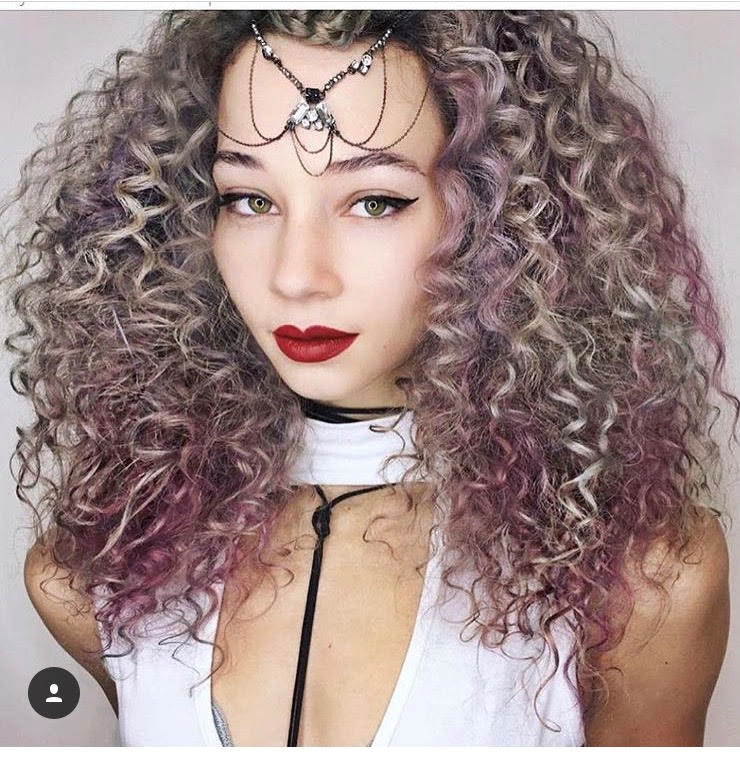 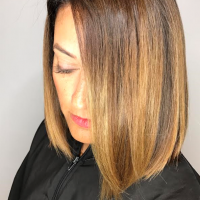 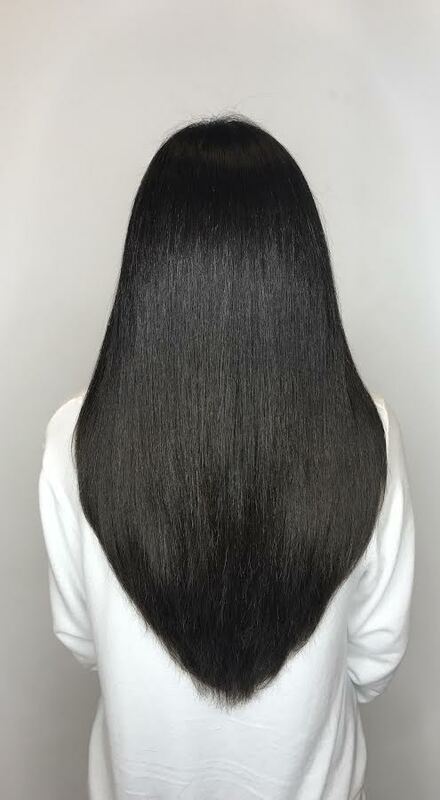 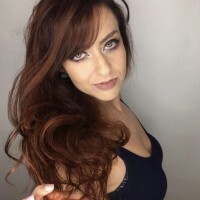 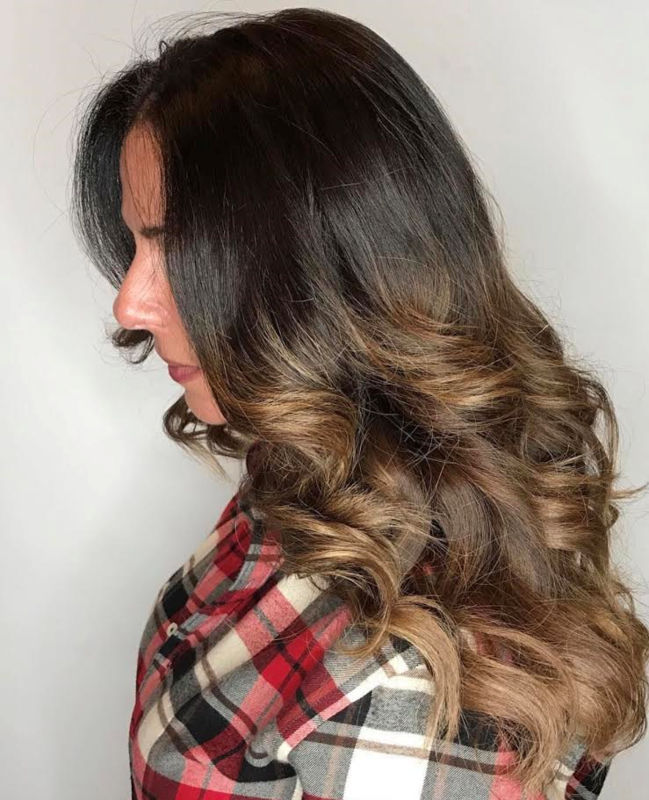 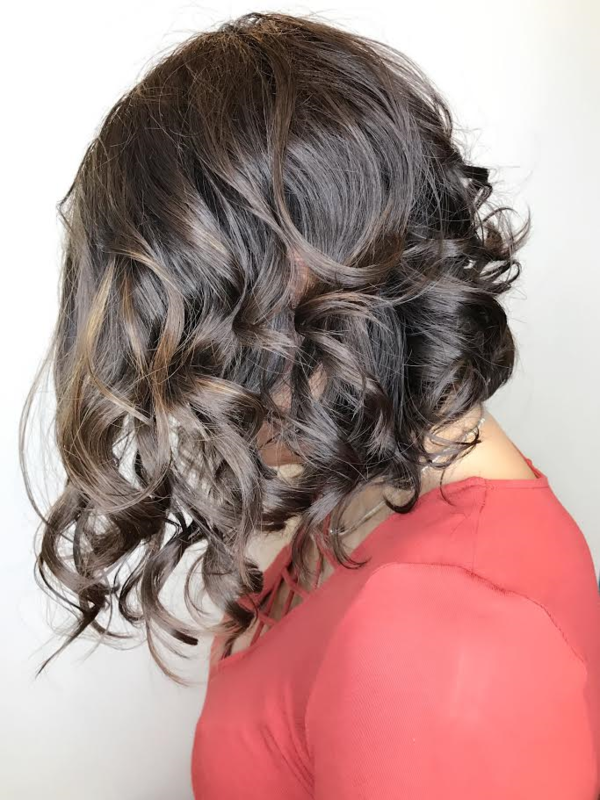 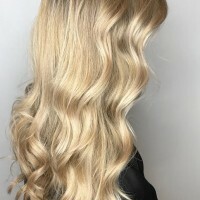 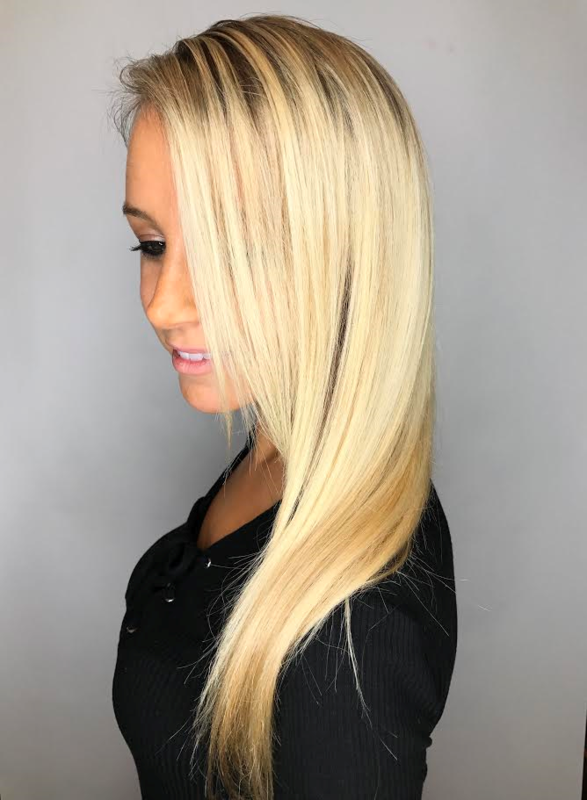 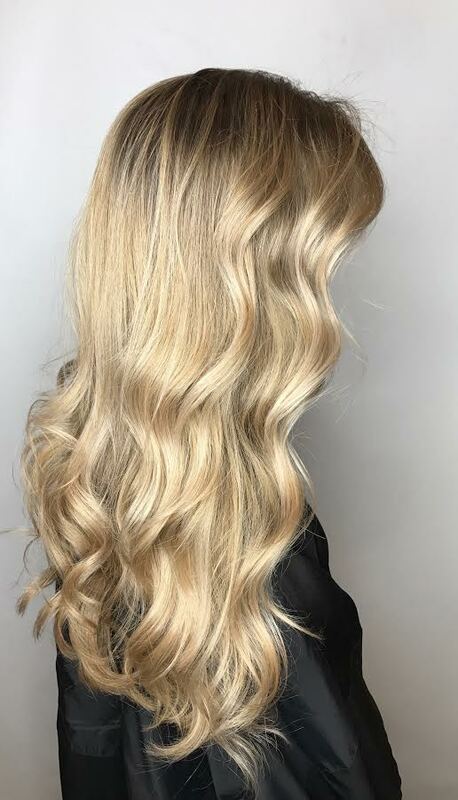 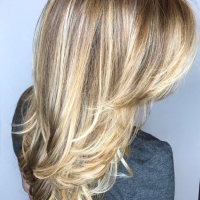 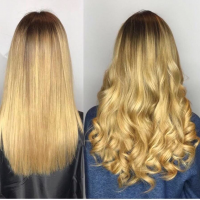 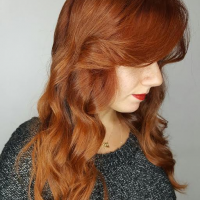 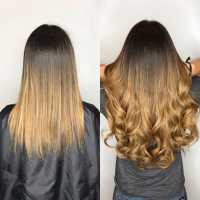 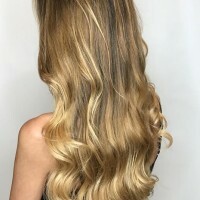 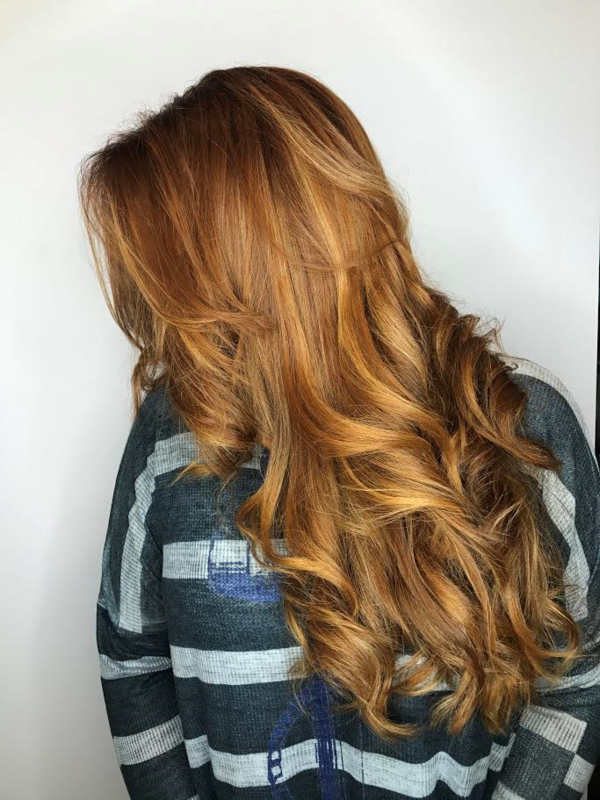 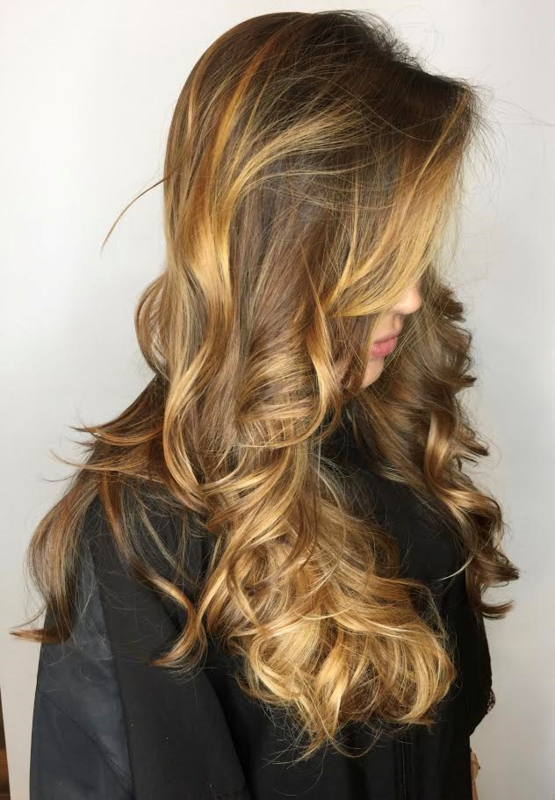 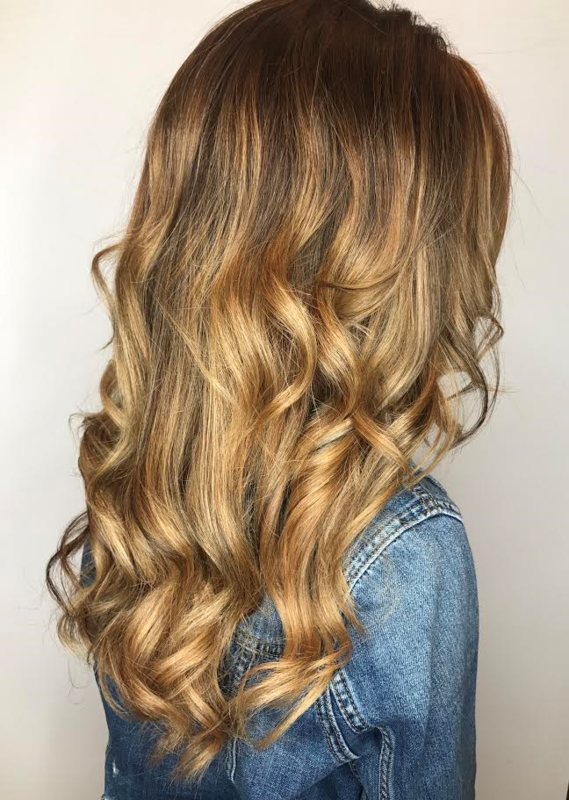 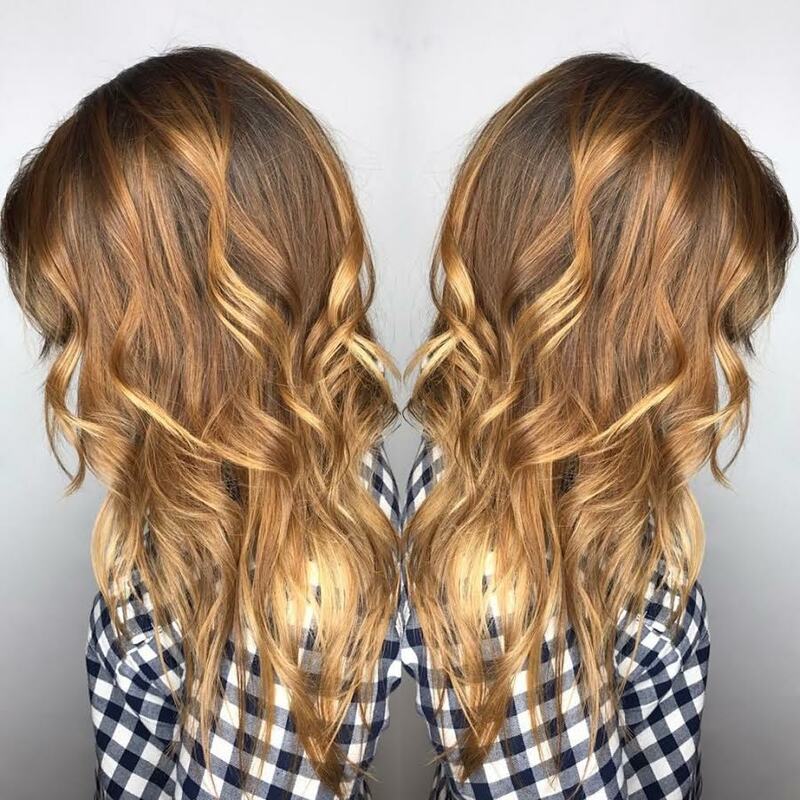 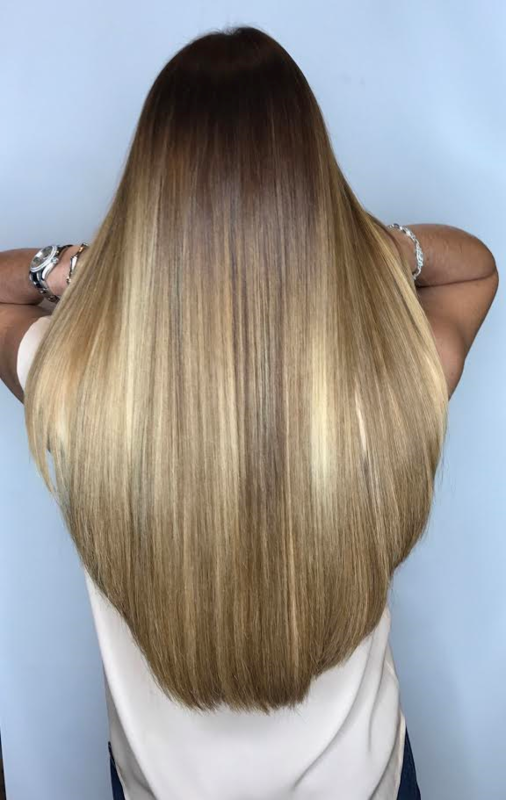 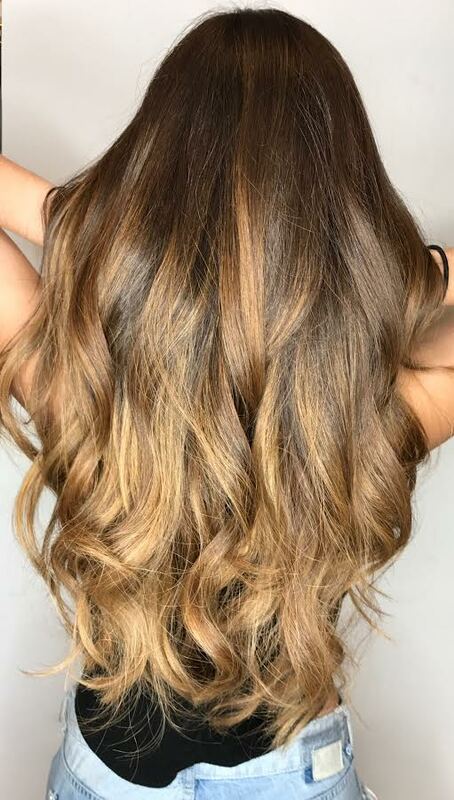 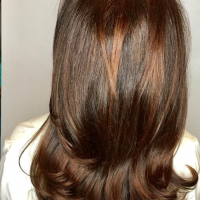 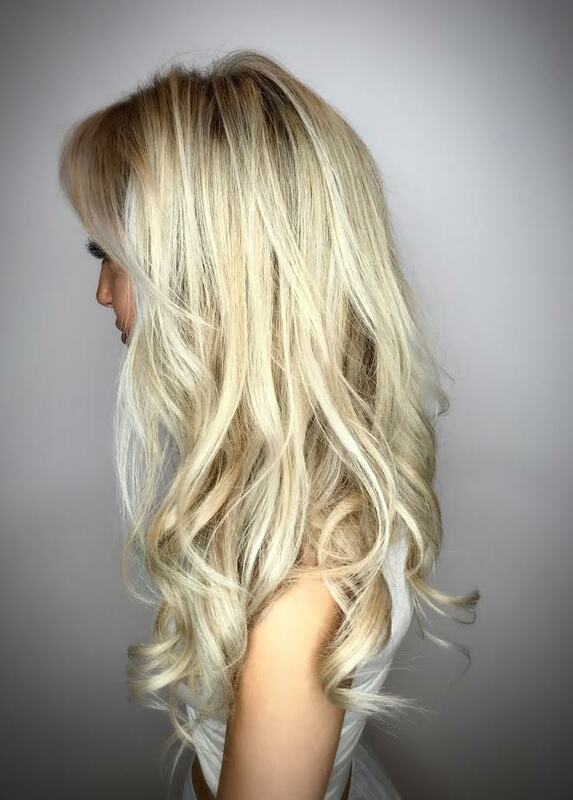 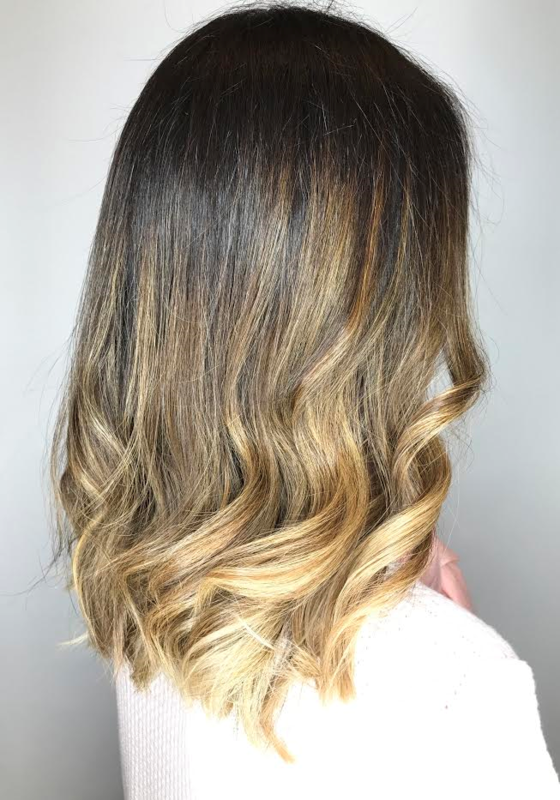 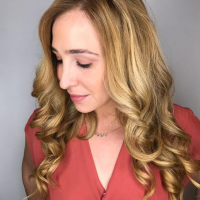 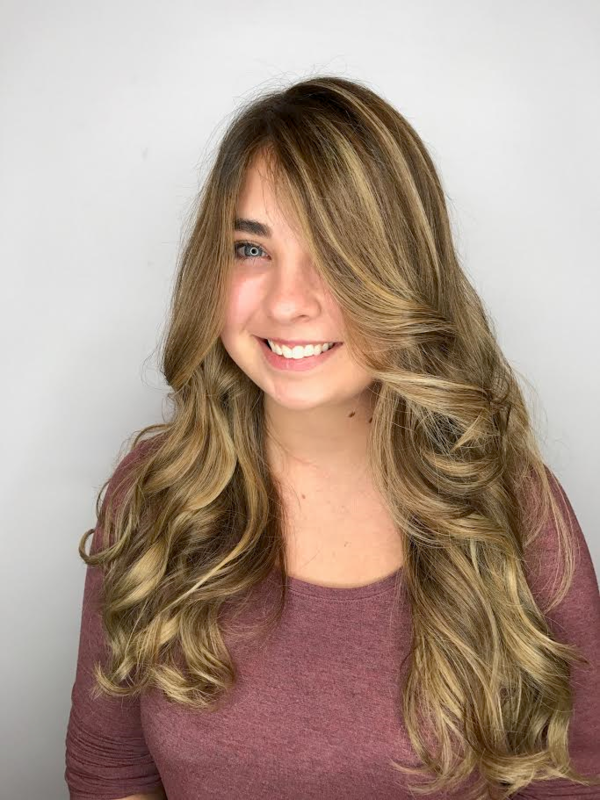 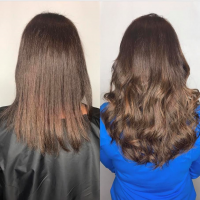 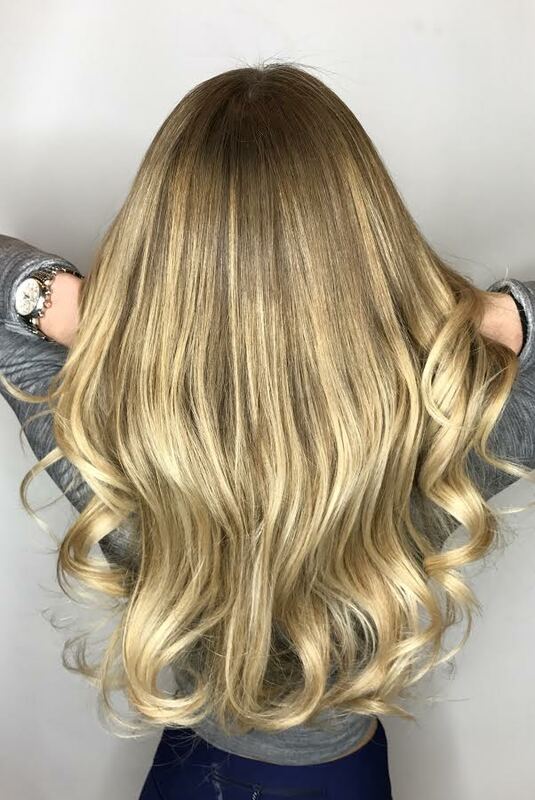 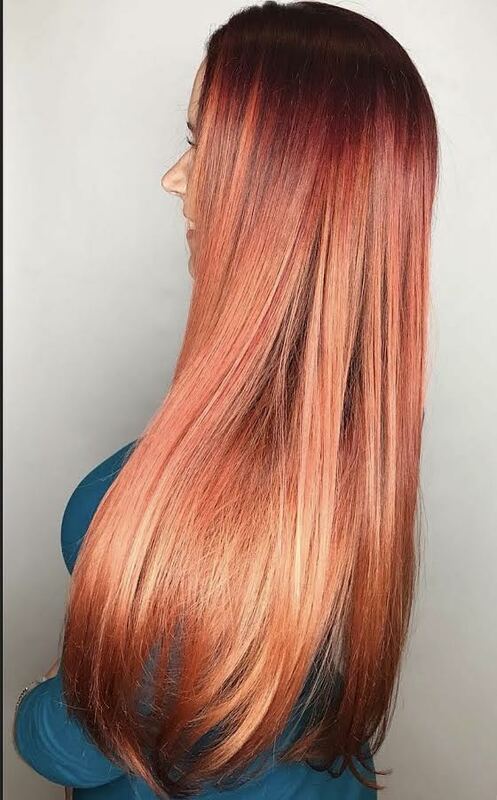 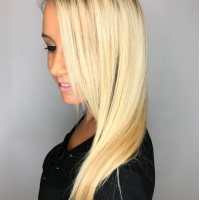 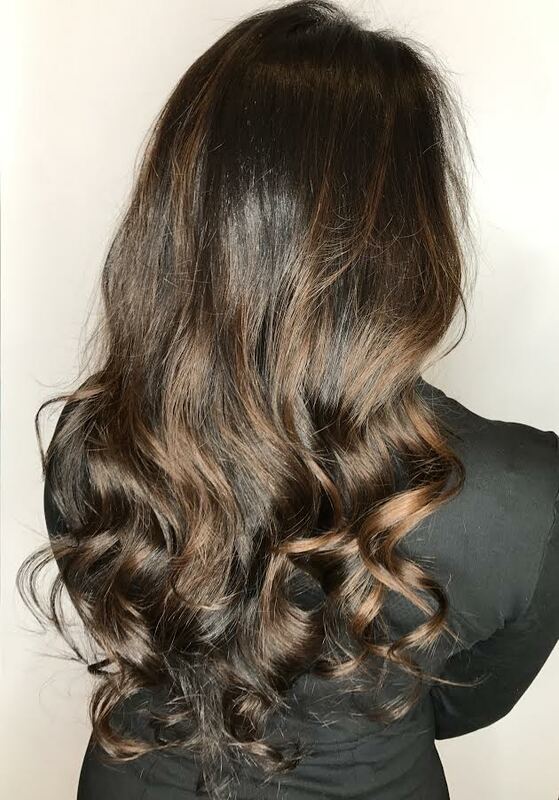 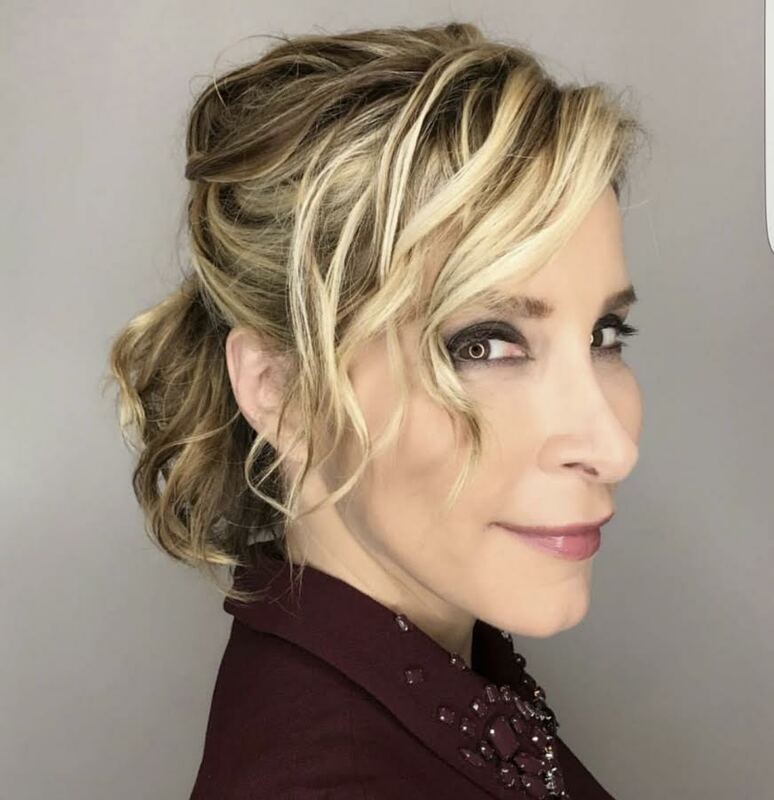 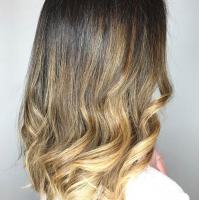 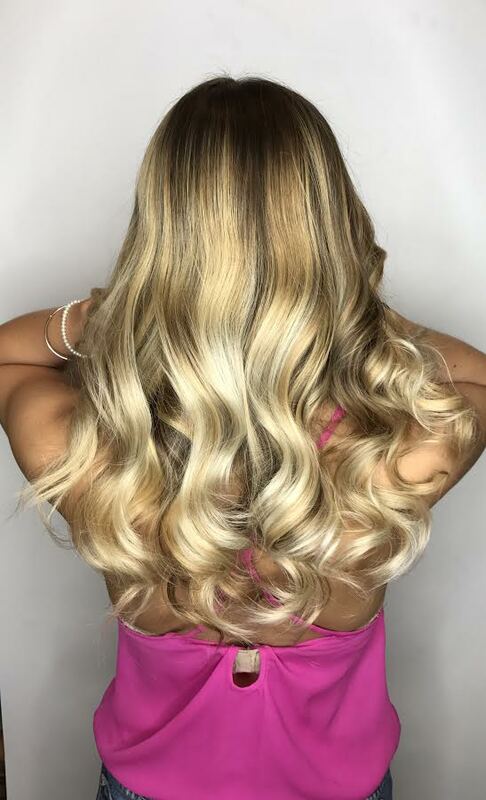 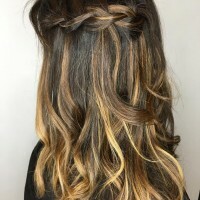 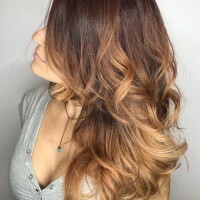 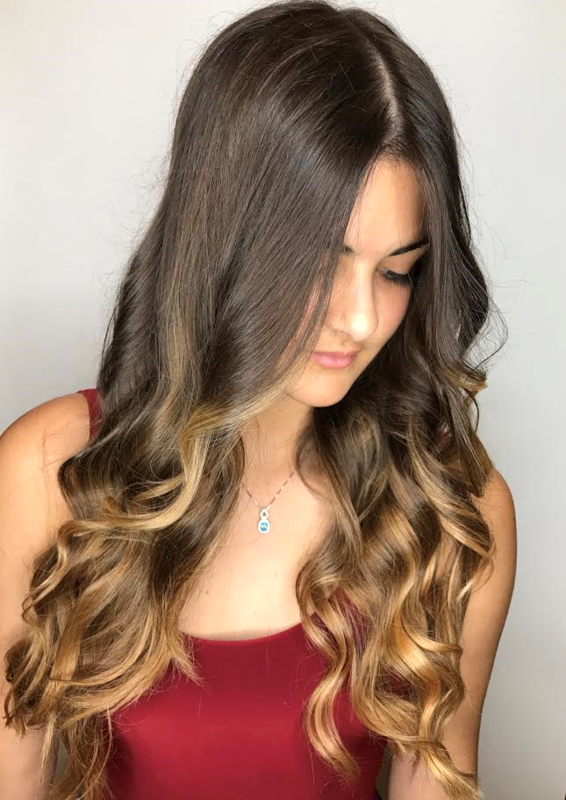 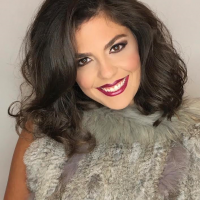 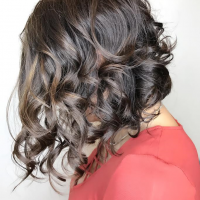 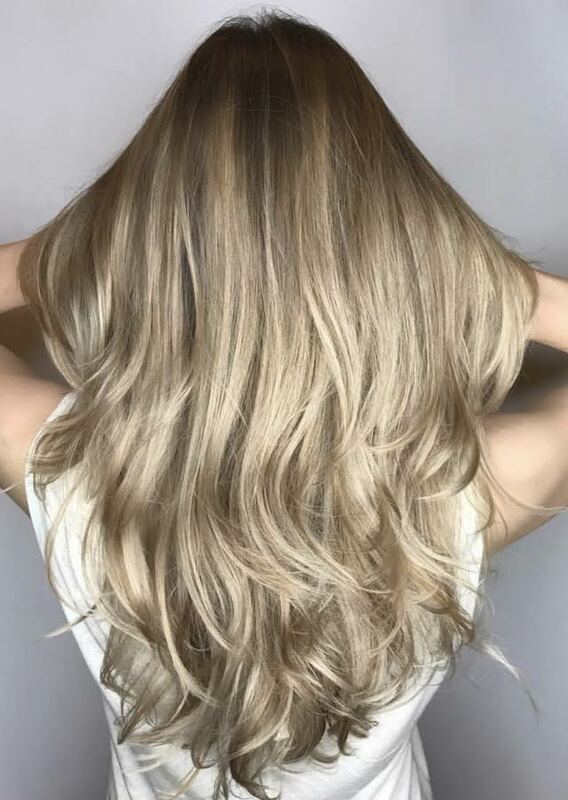 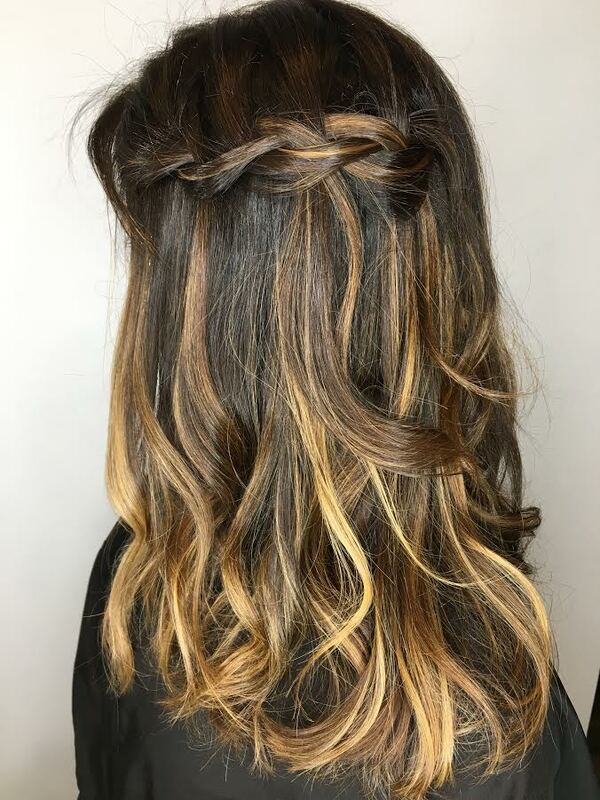 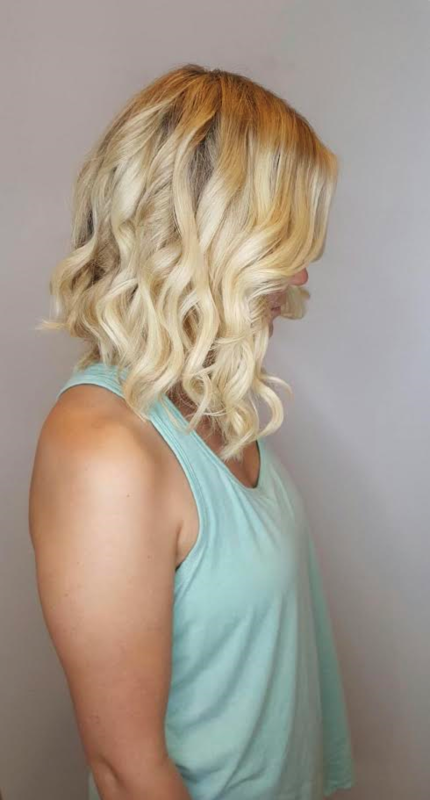 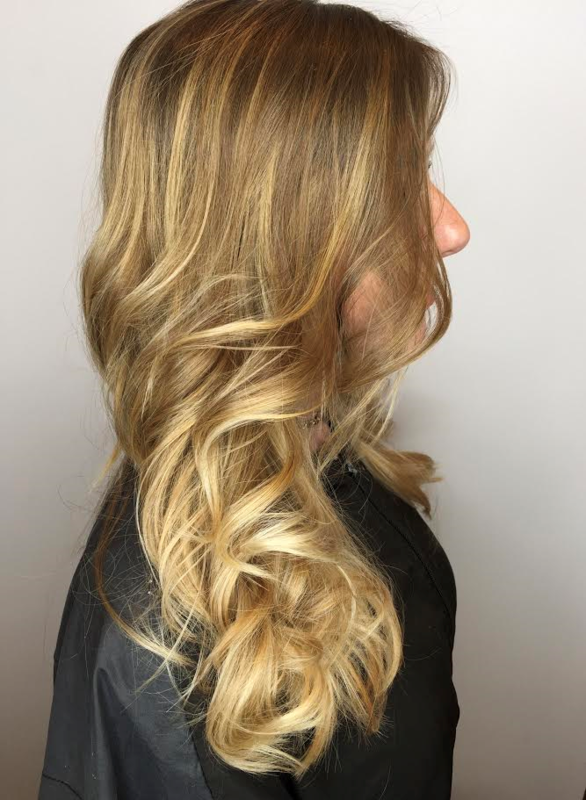 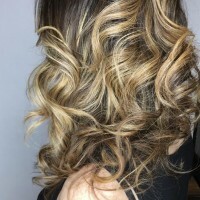 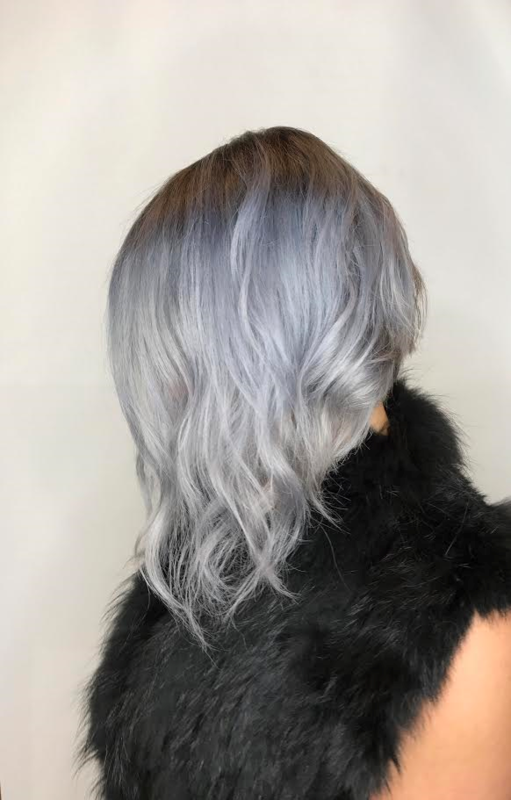 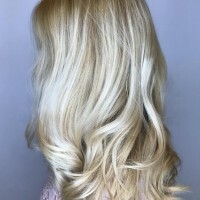 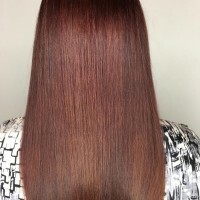 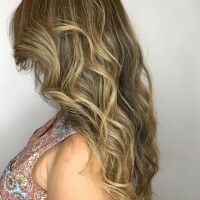 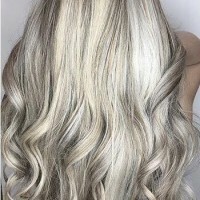 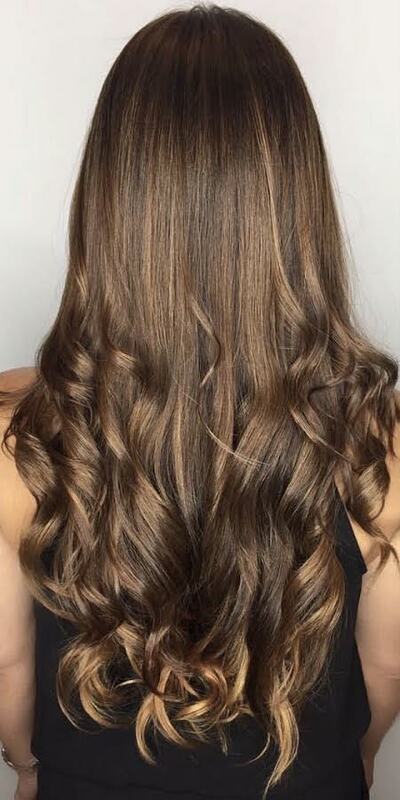 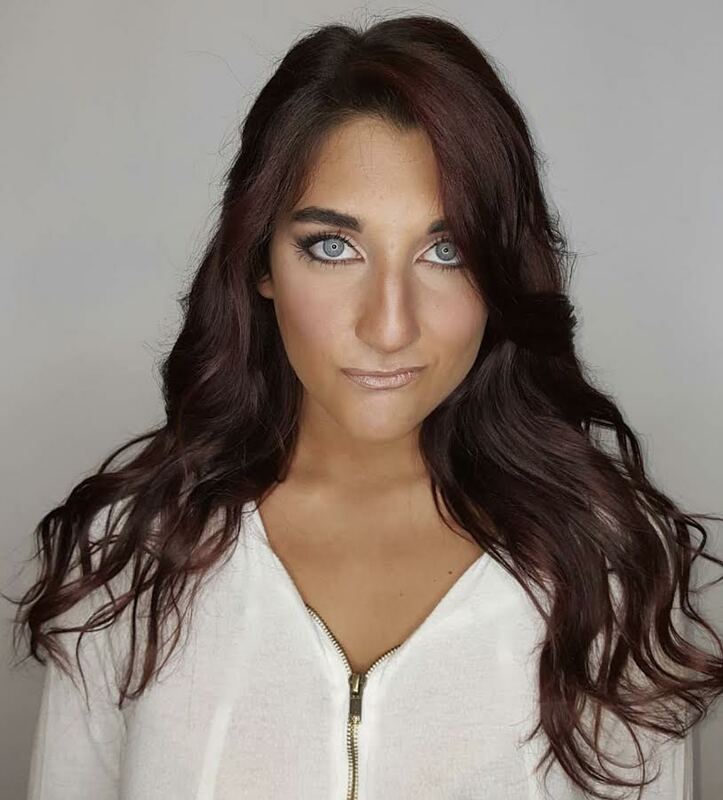 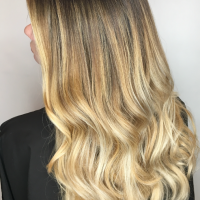 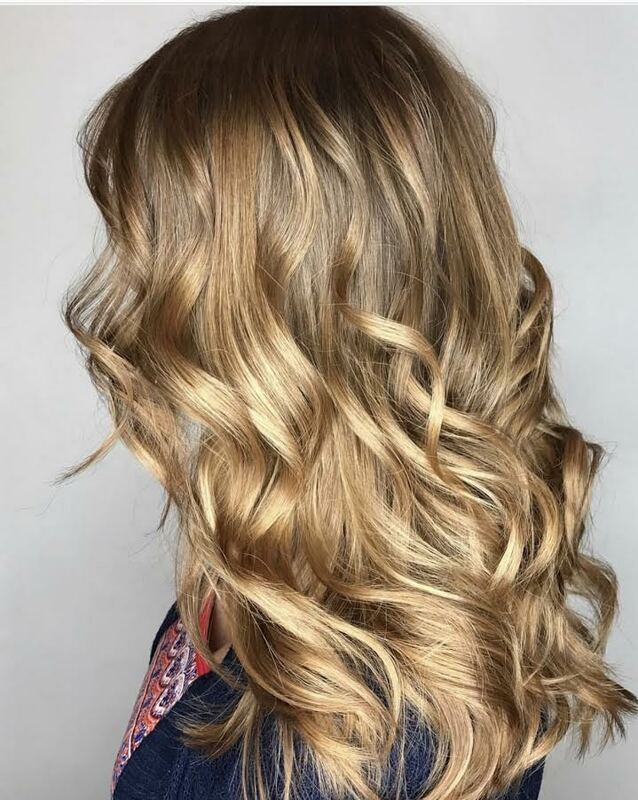 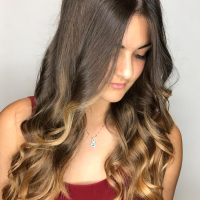 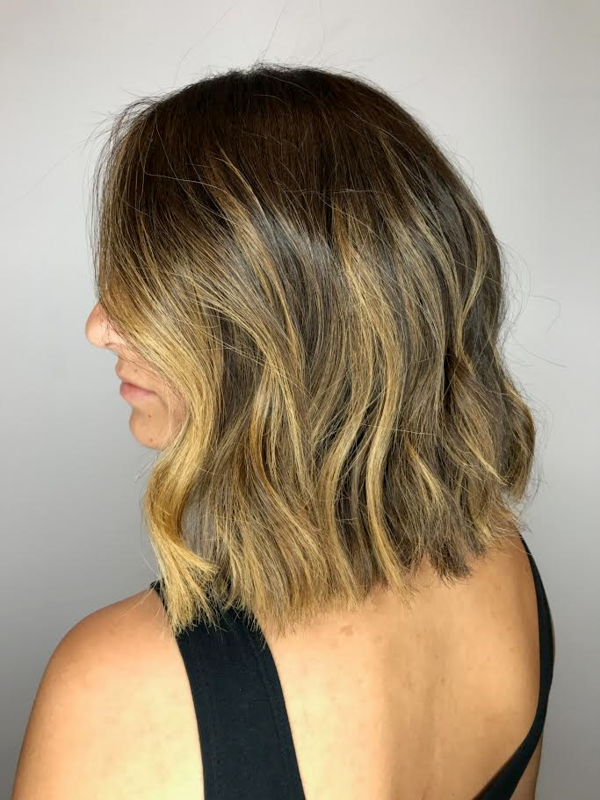 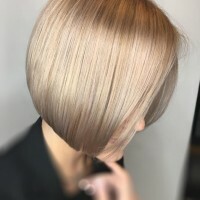 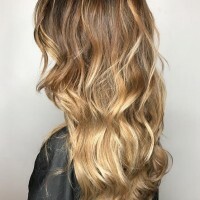 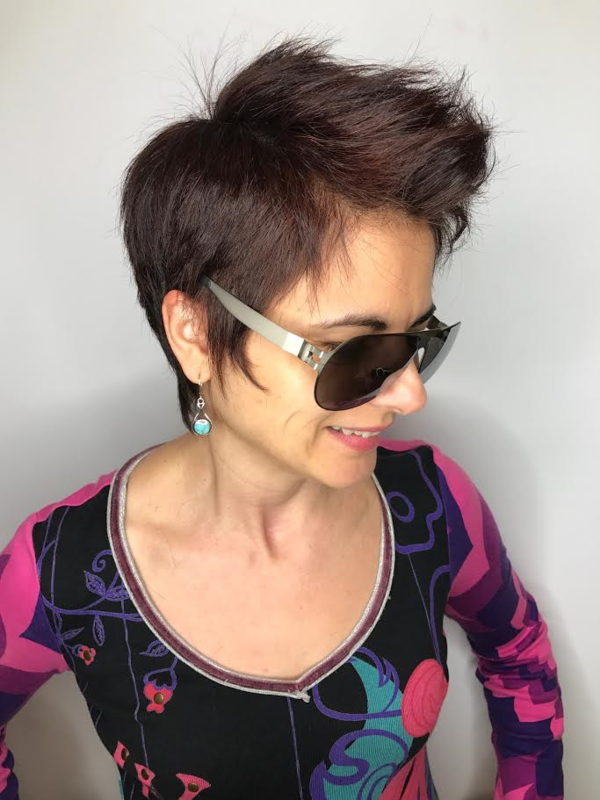 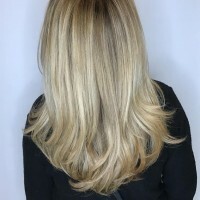 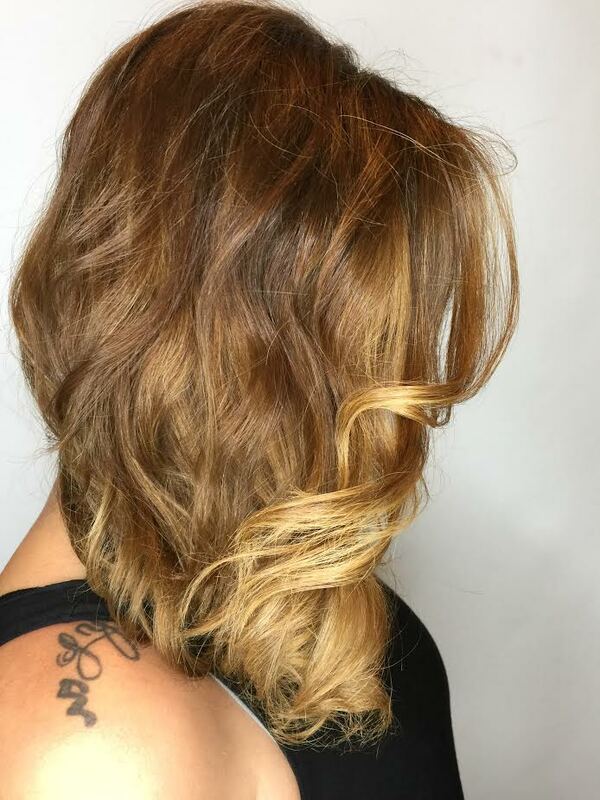 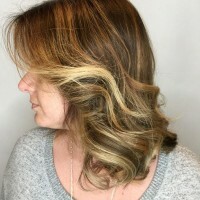 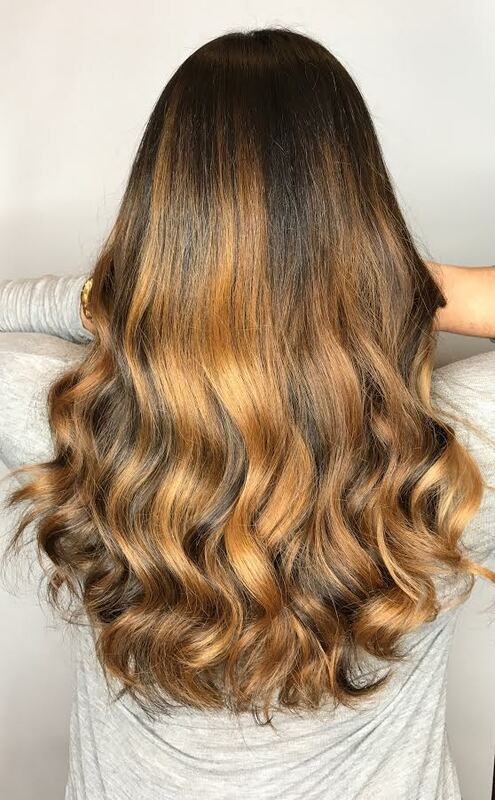 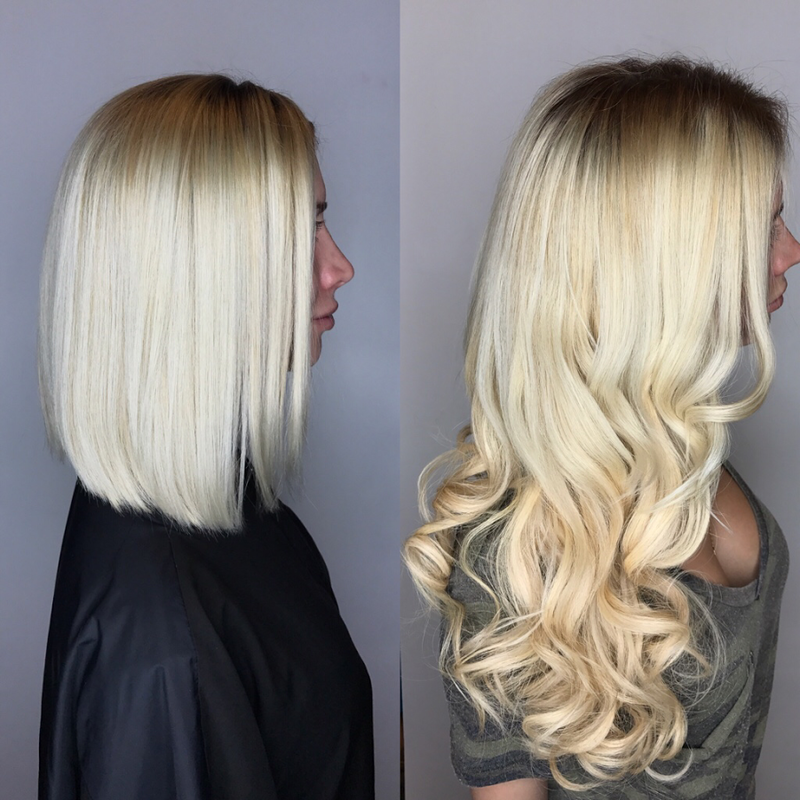 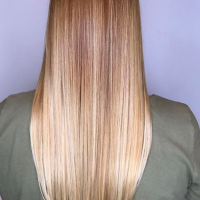 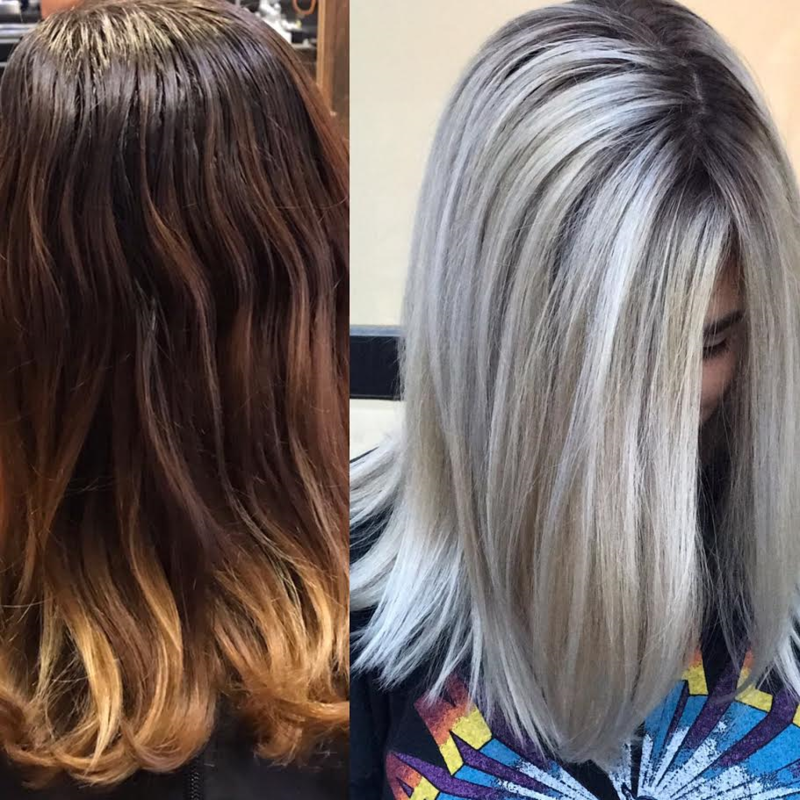 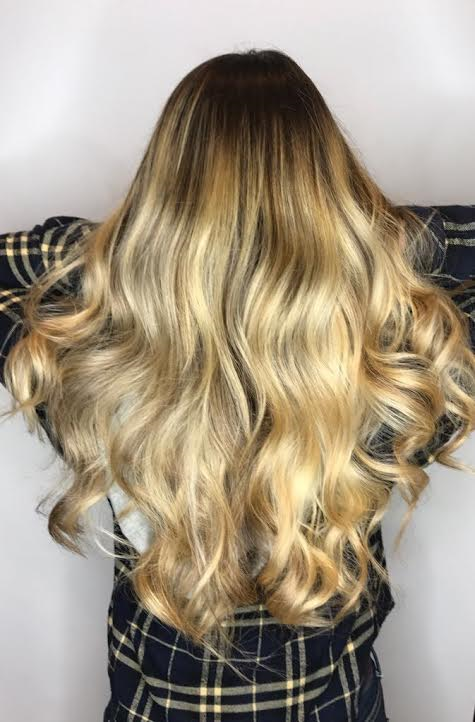 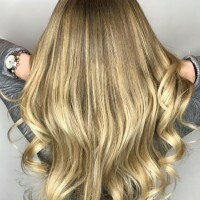 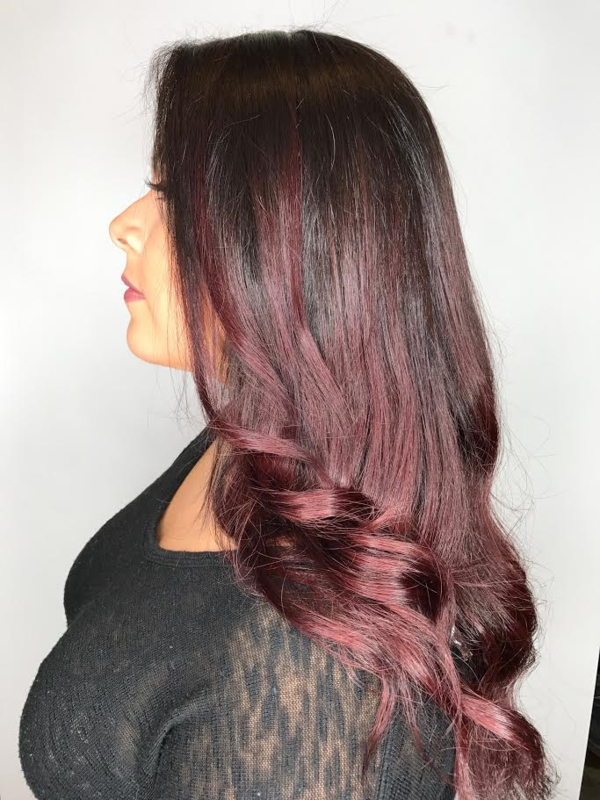 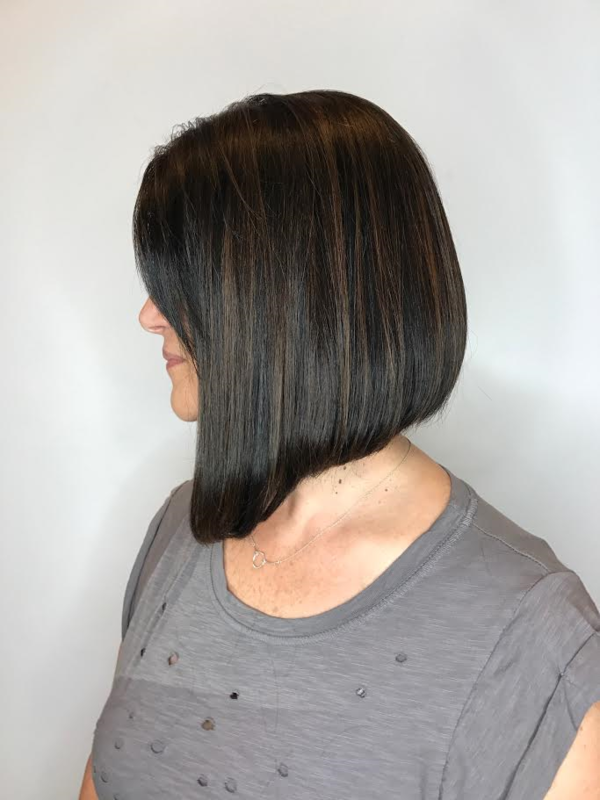 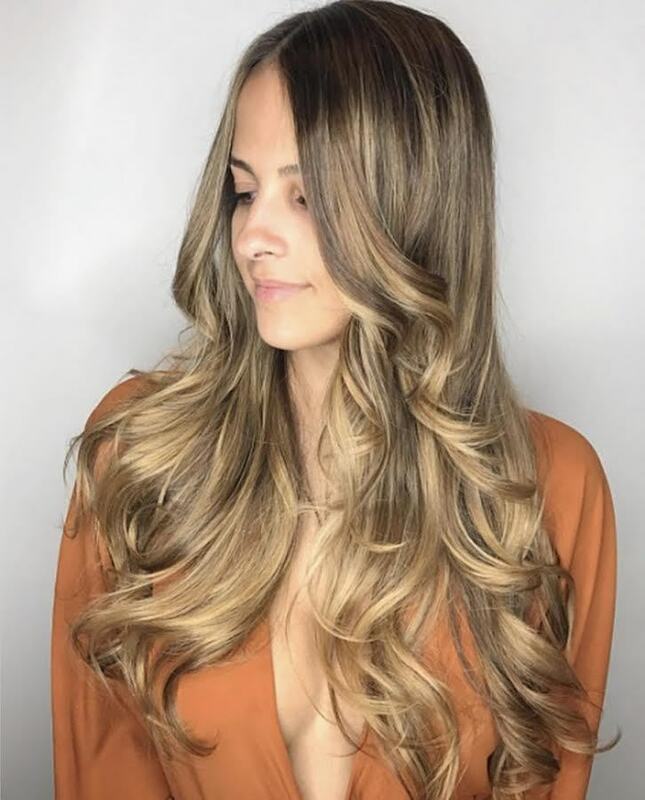 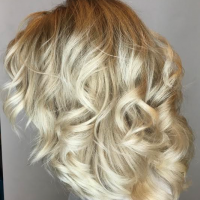 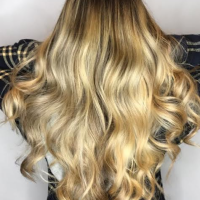 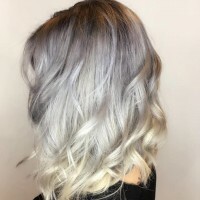 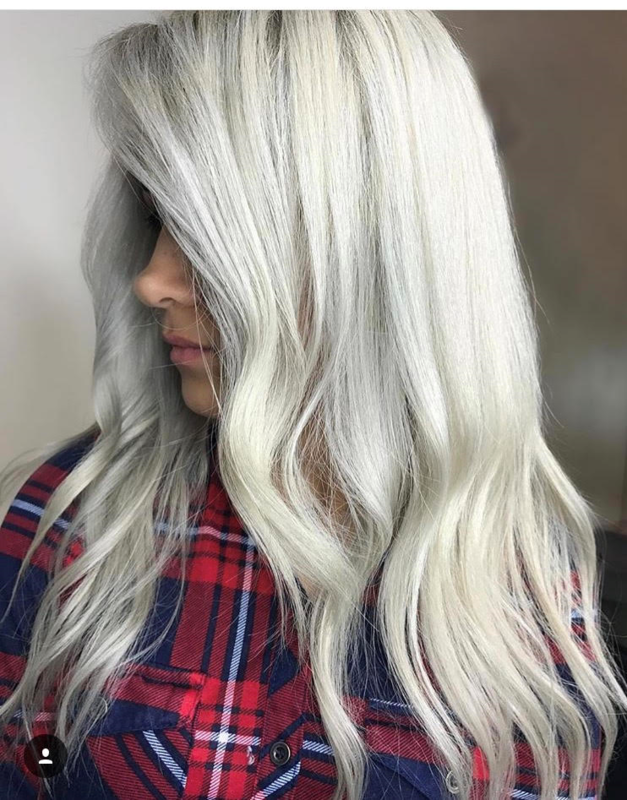 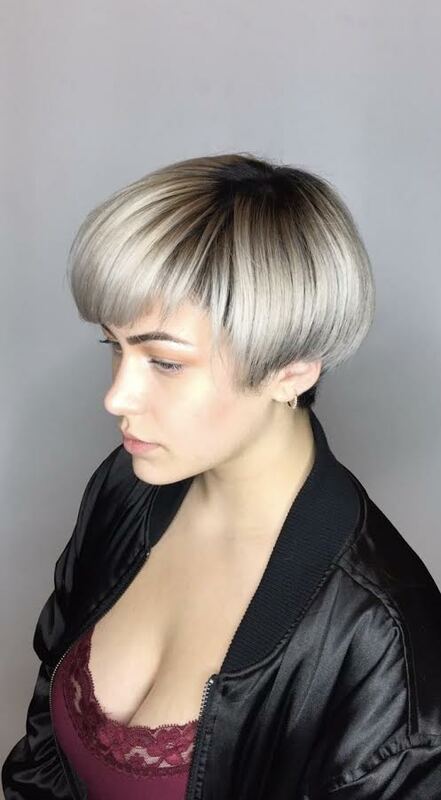 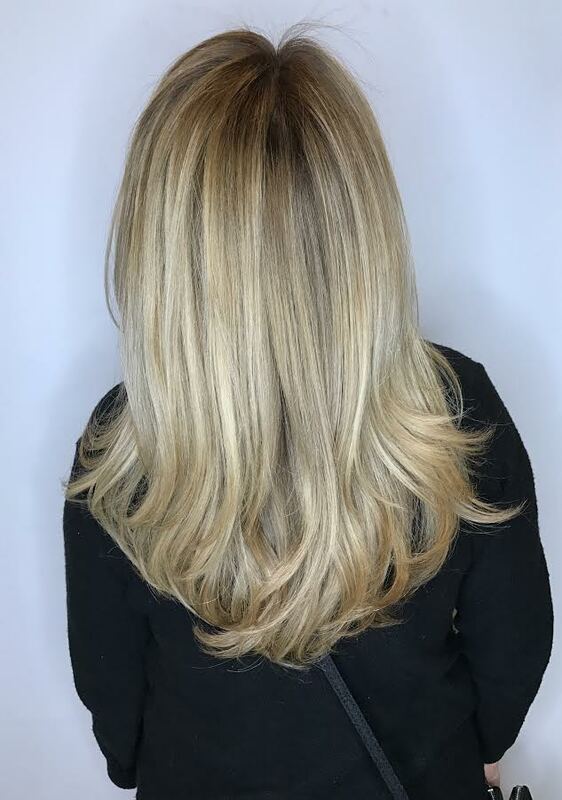 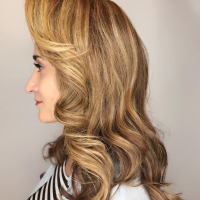 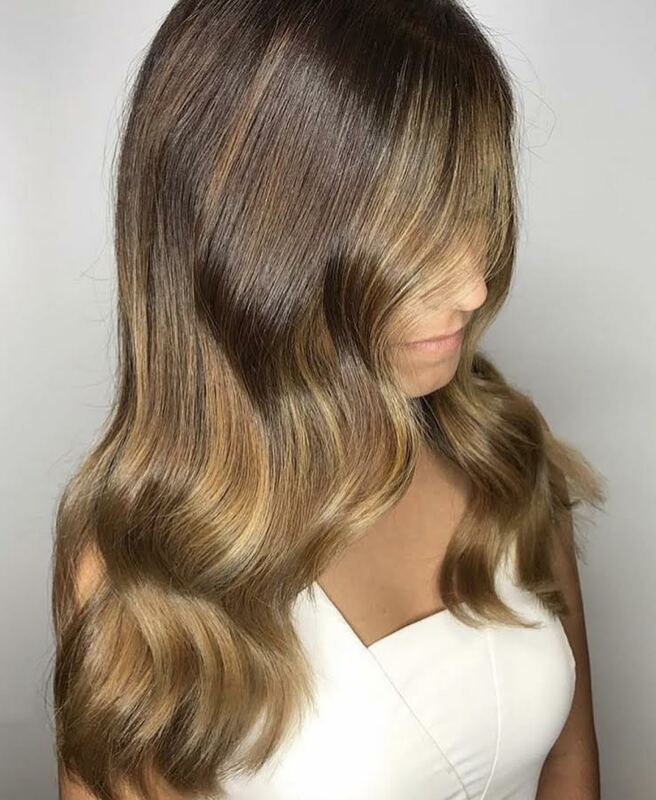 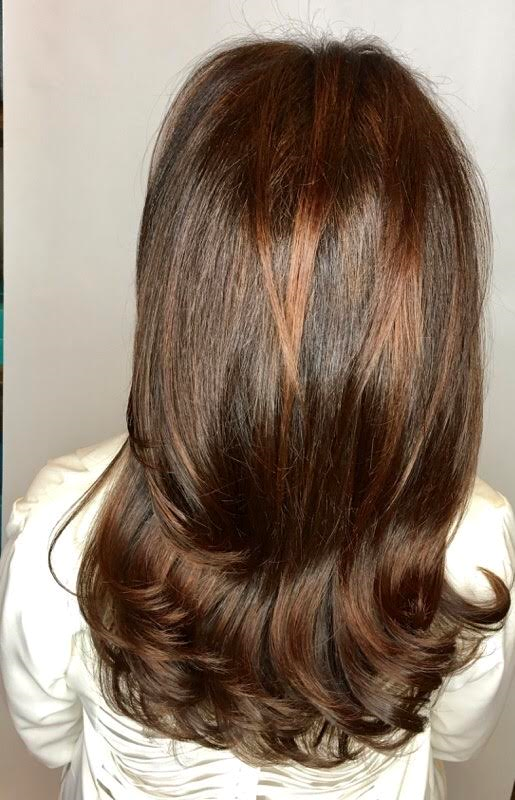 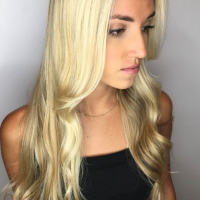 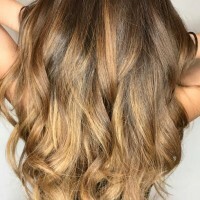 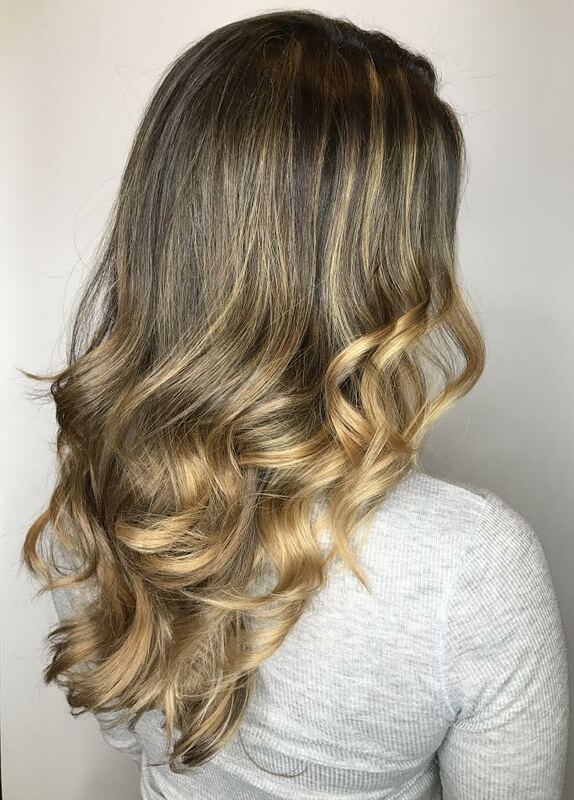 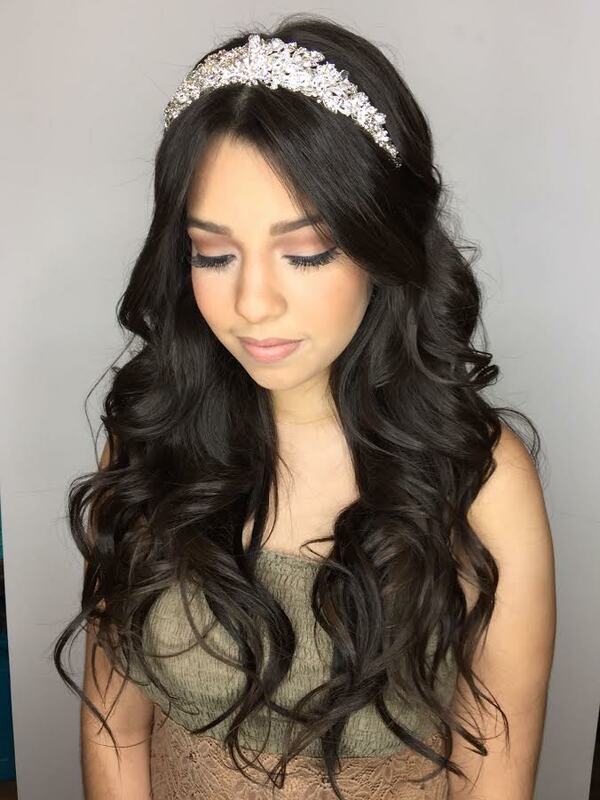 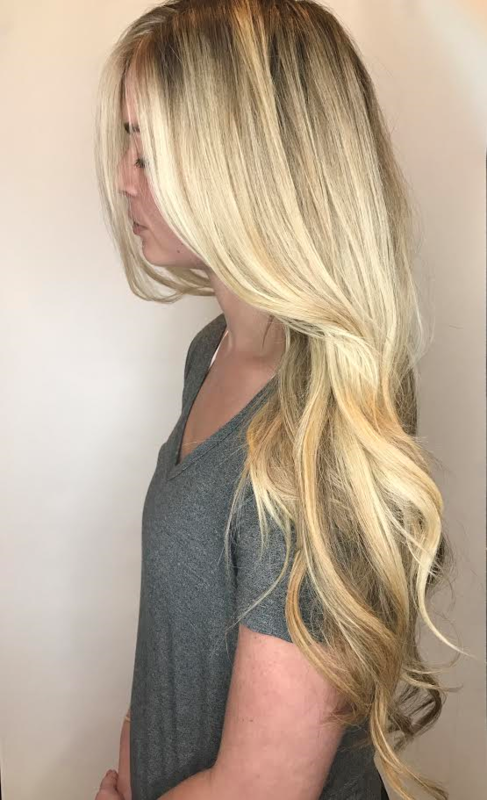 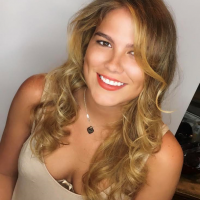 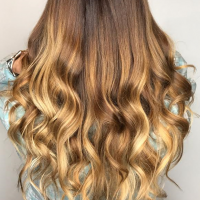 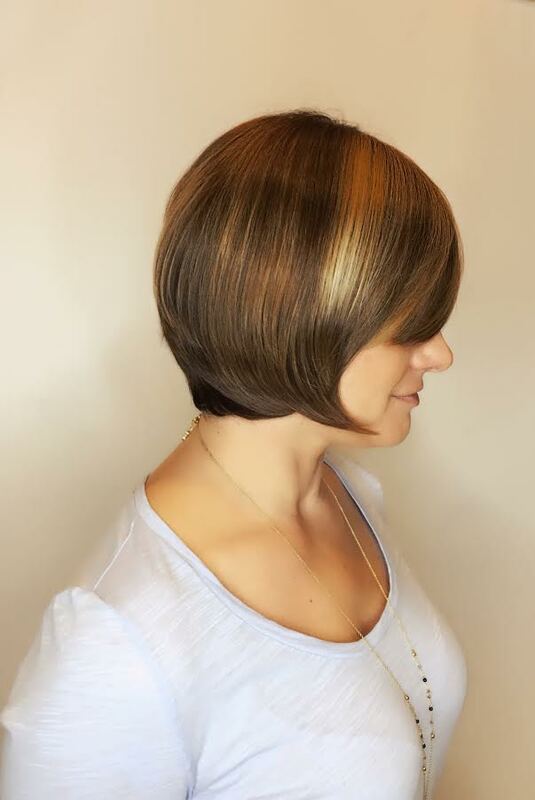 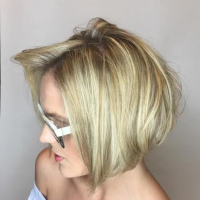 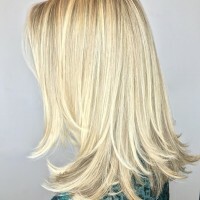 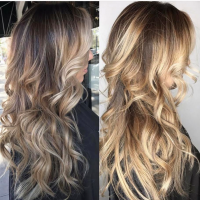 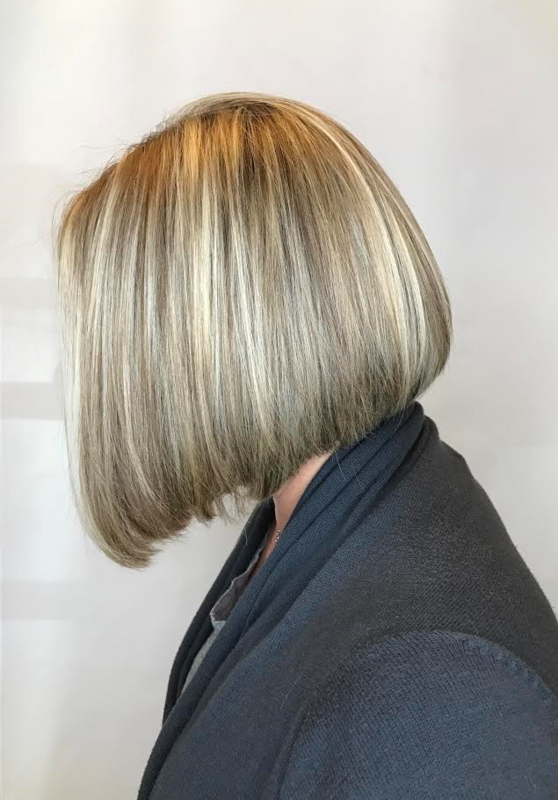 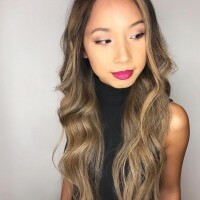 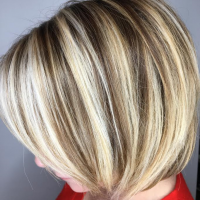 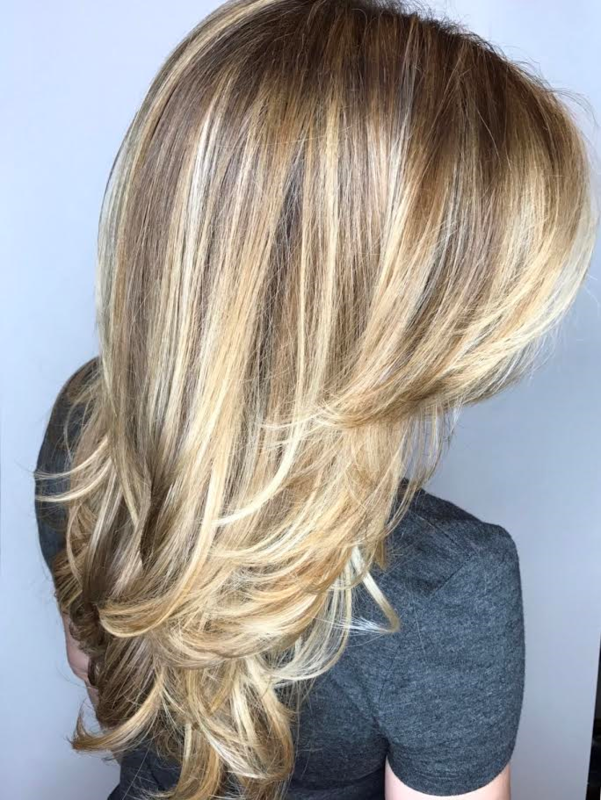 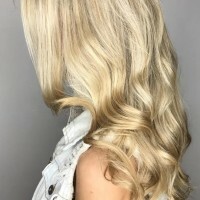 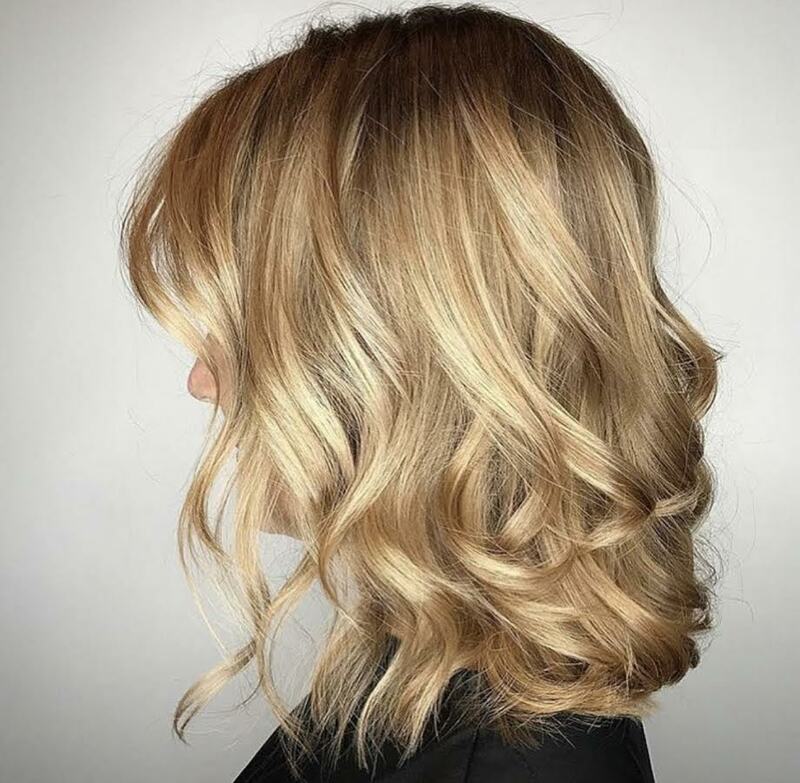 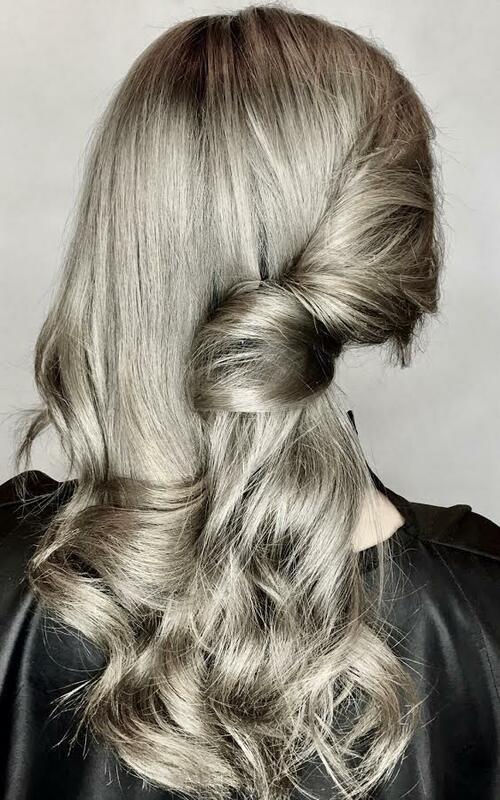 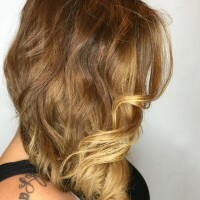 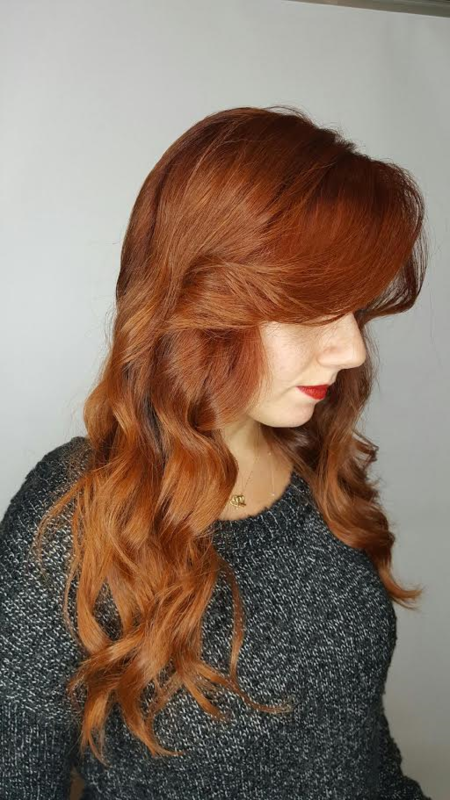 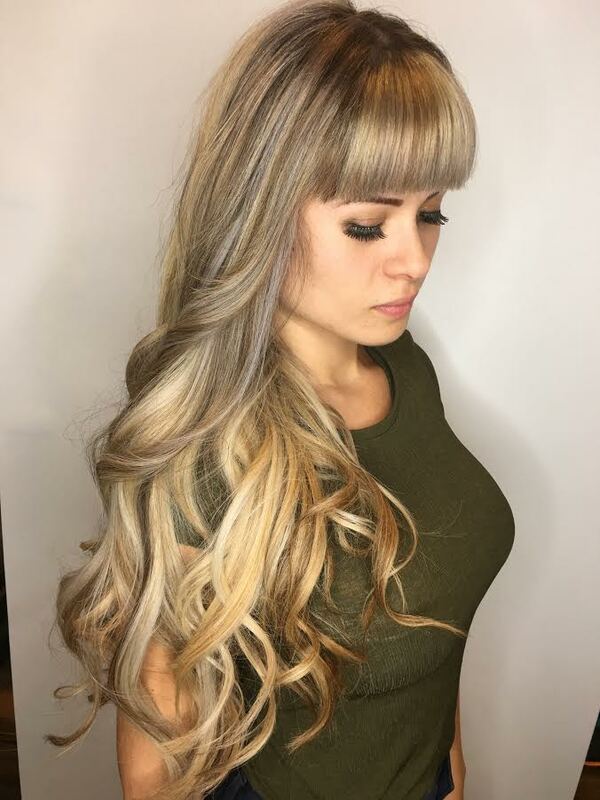 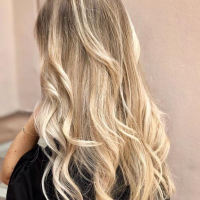 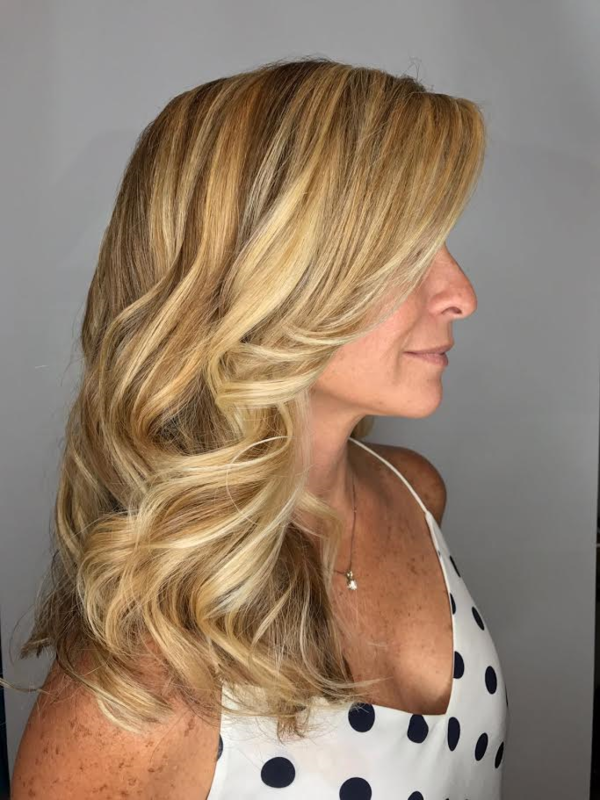 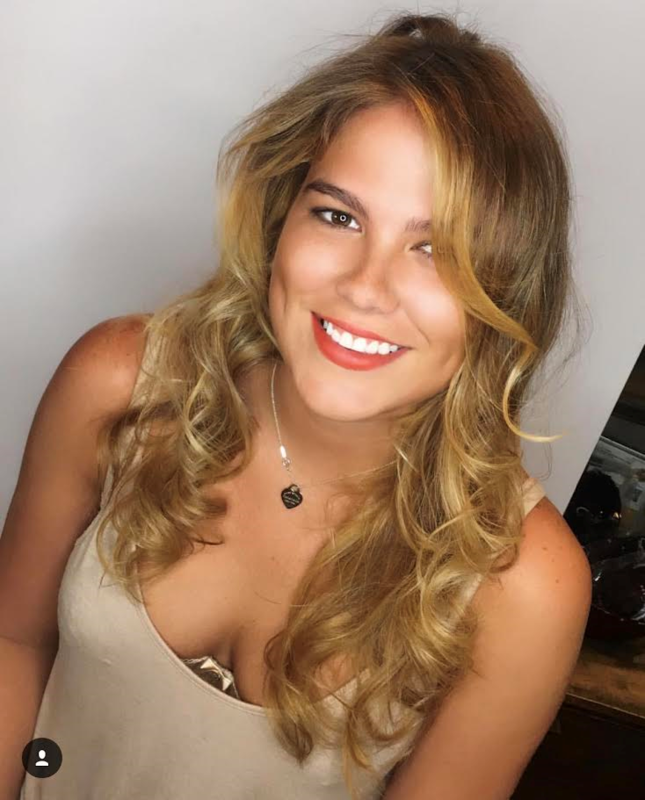 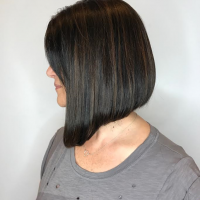 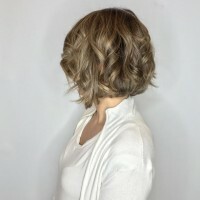 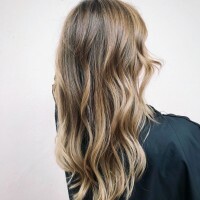 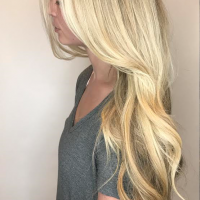 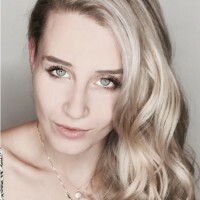 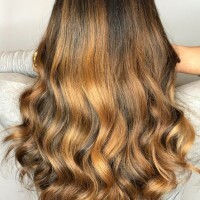 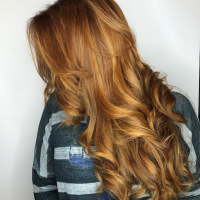 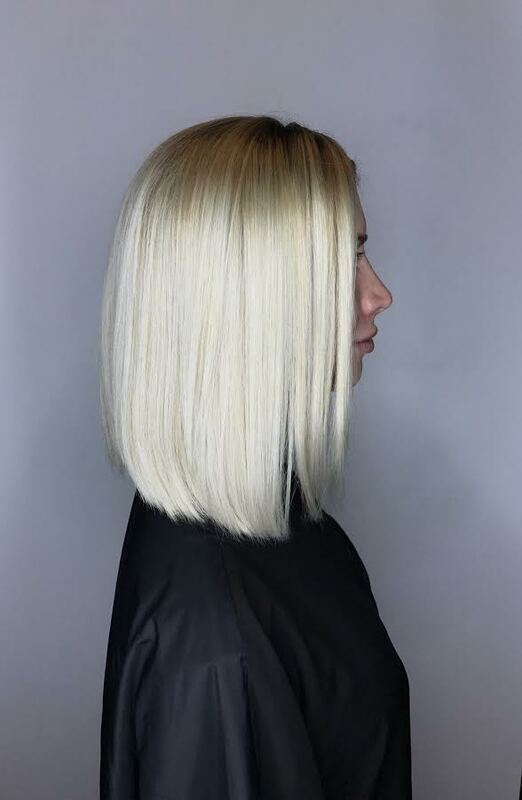 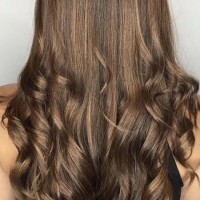 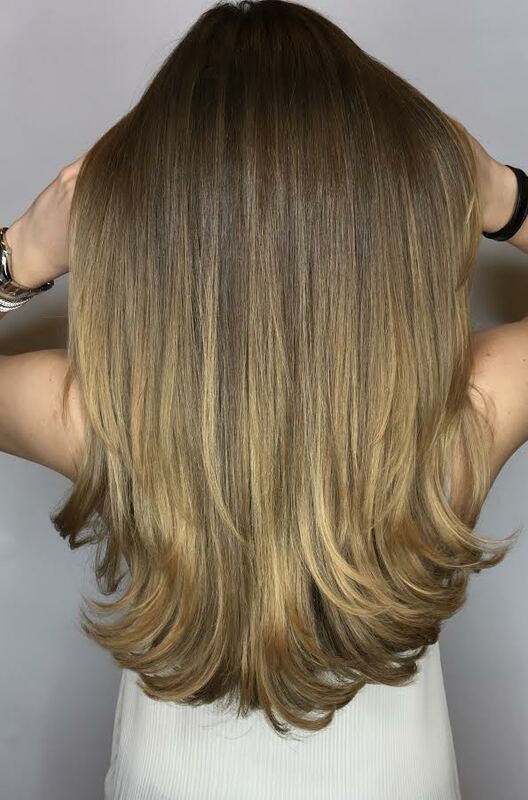 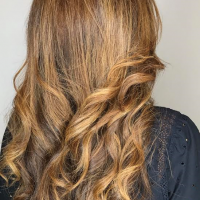 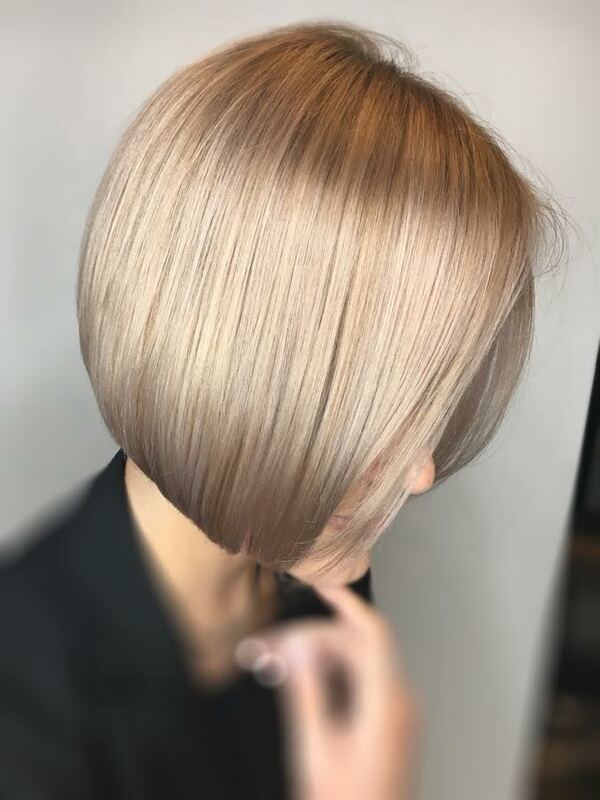 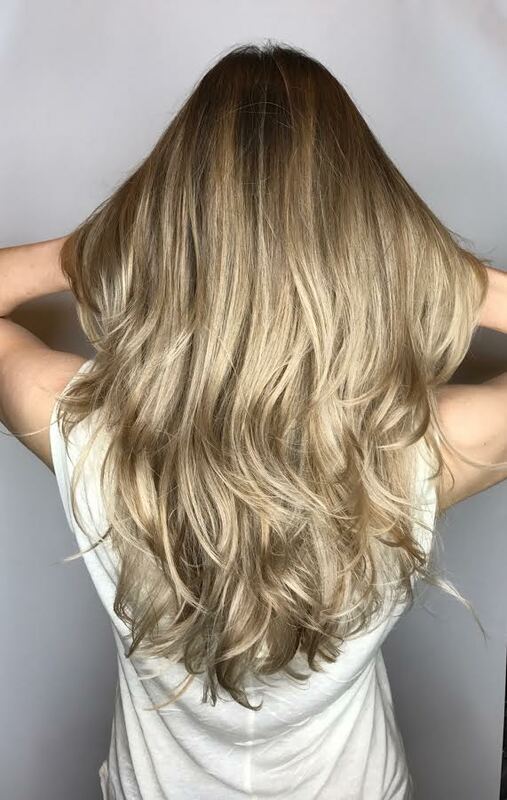 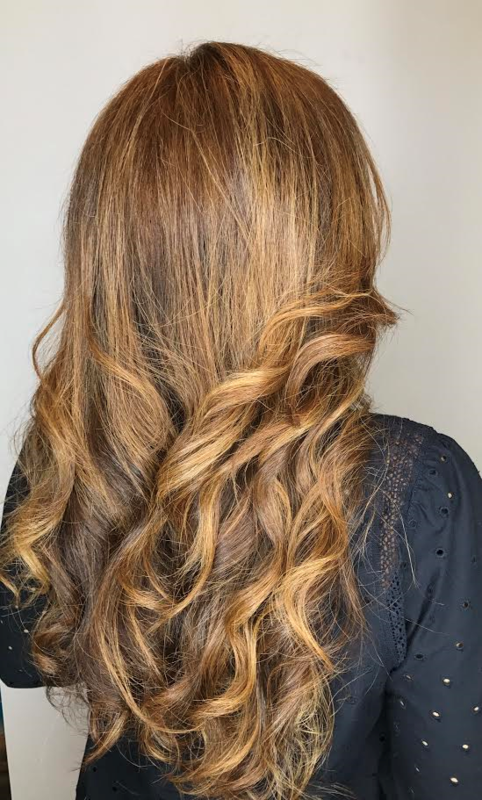 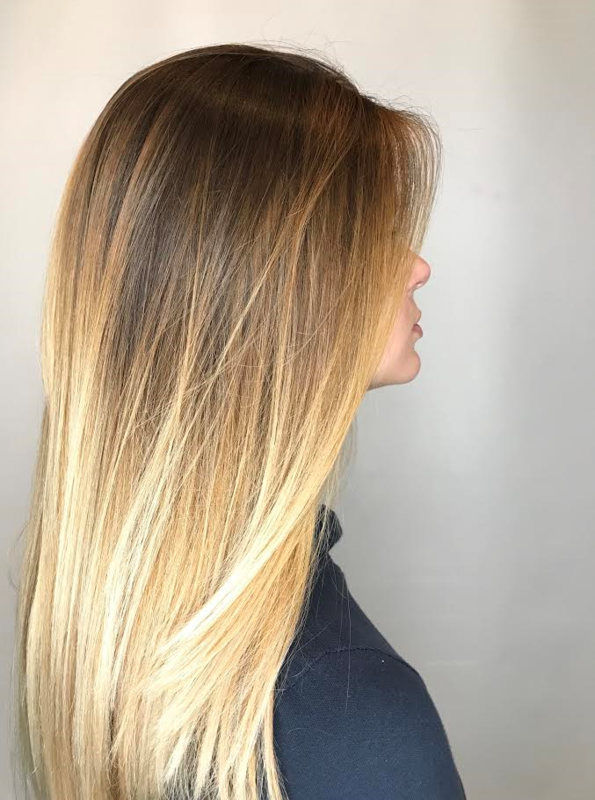 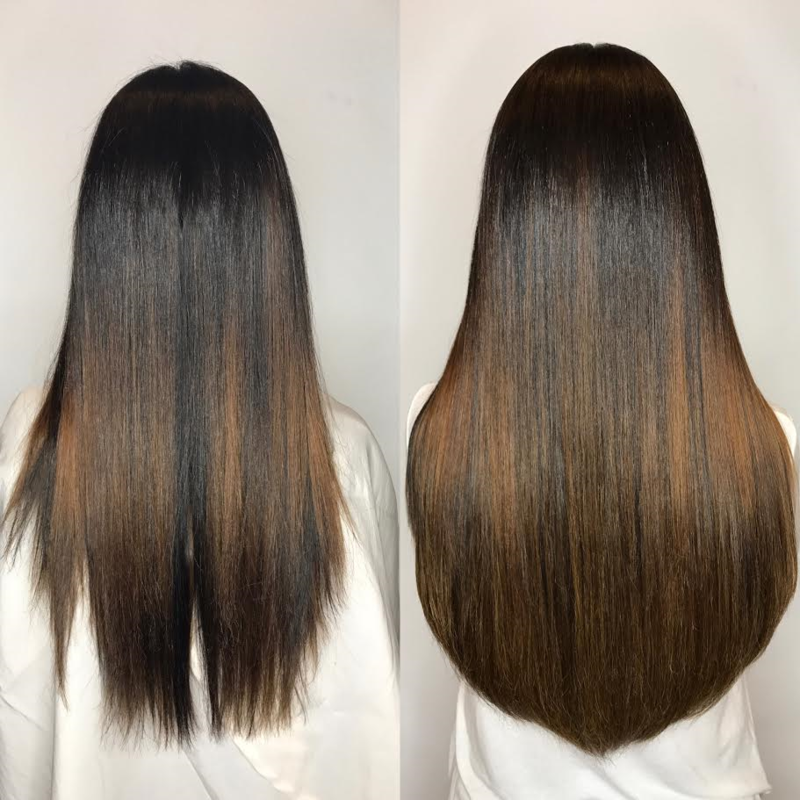 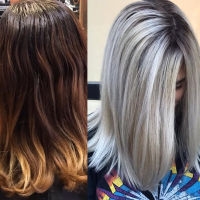 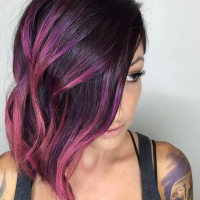 Our Hair Stylists know the best techniques on texturizer for women's hair, single process hair color using ammonia free INOA products. 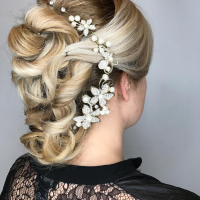 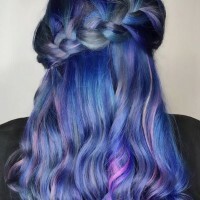 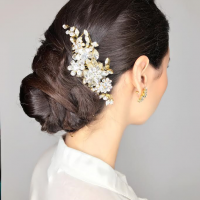 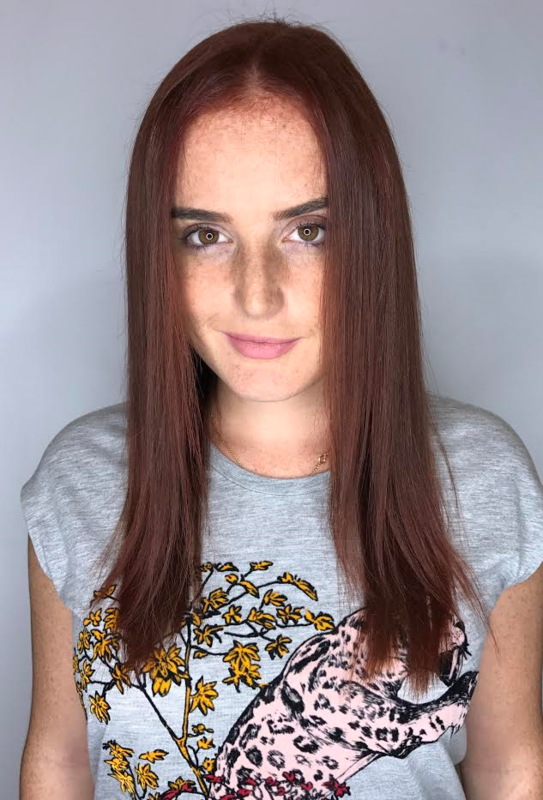 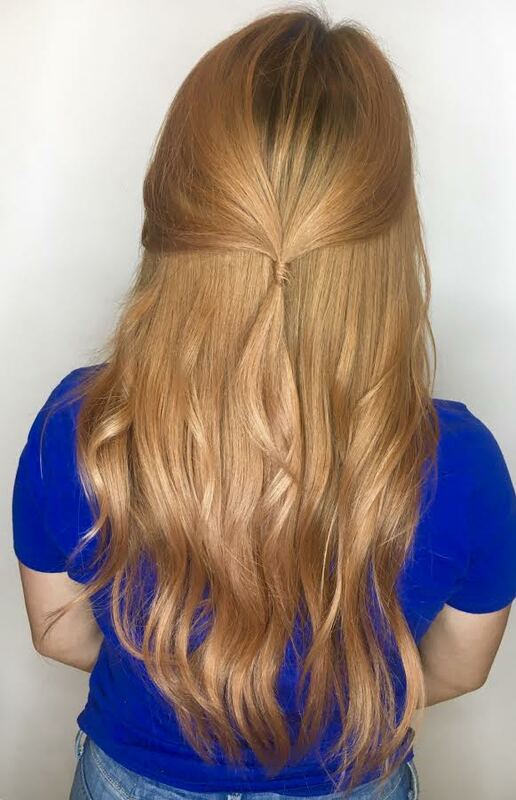 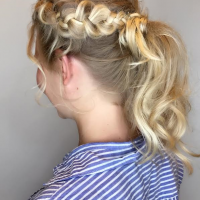 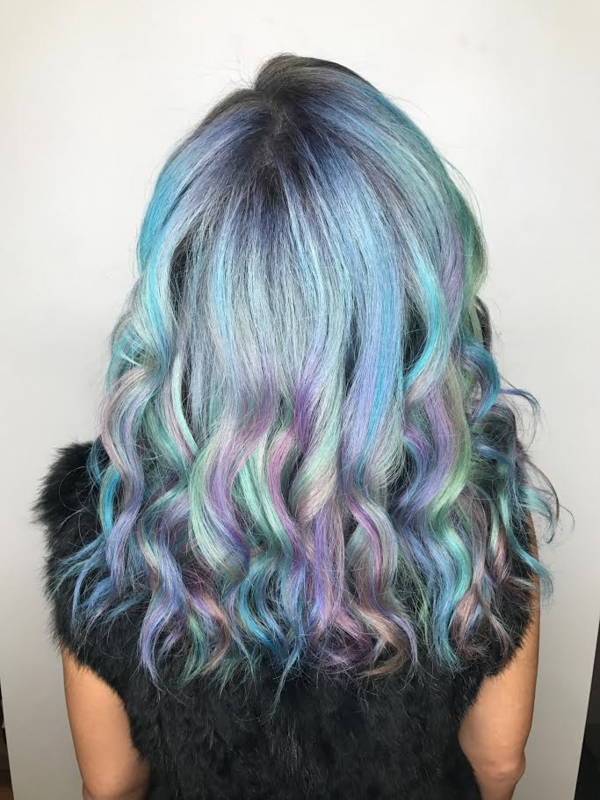 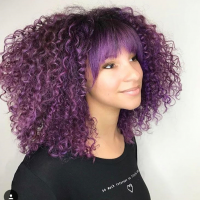 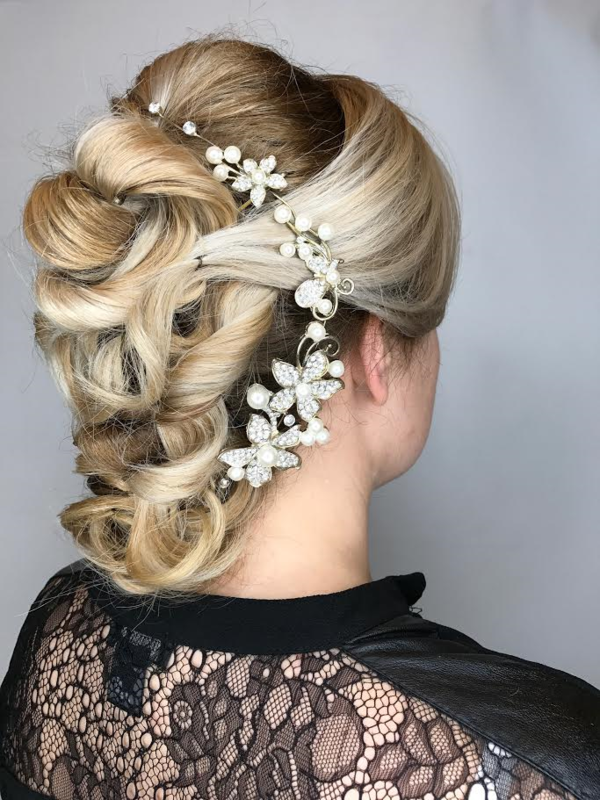 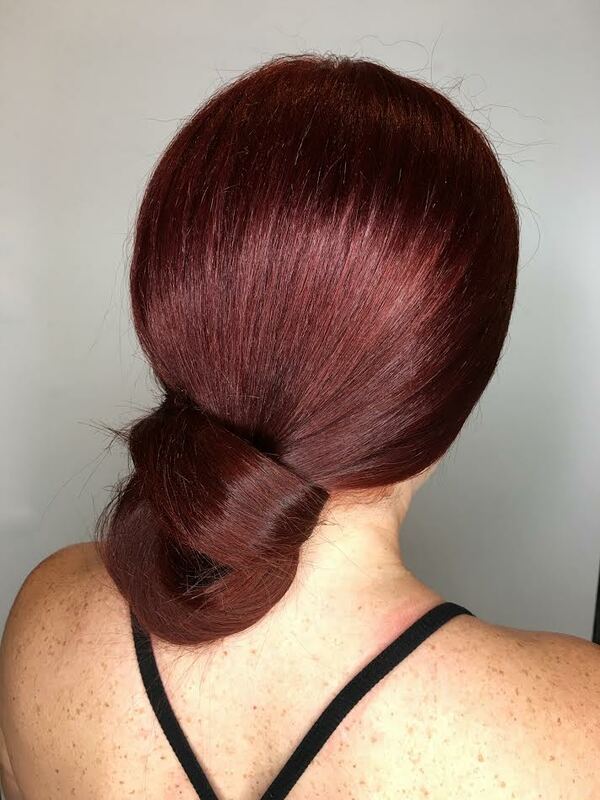 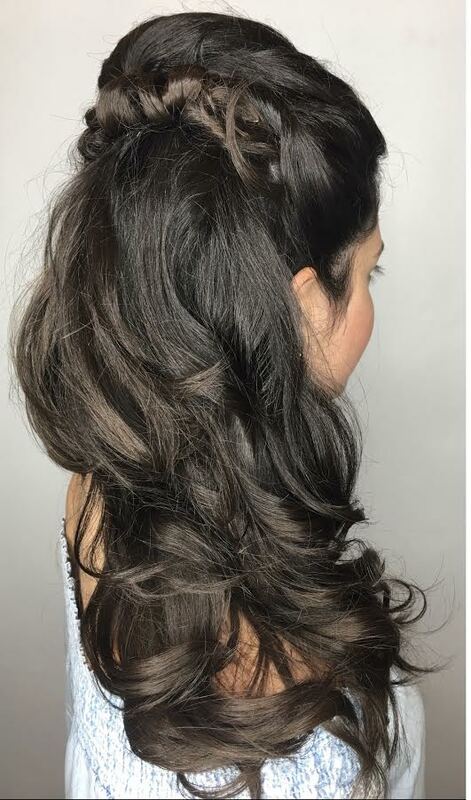 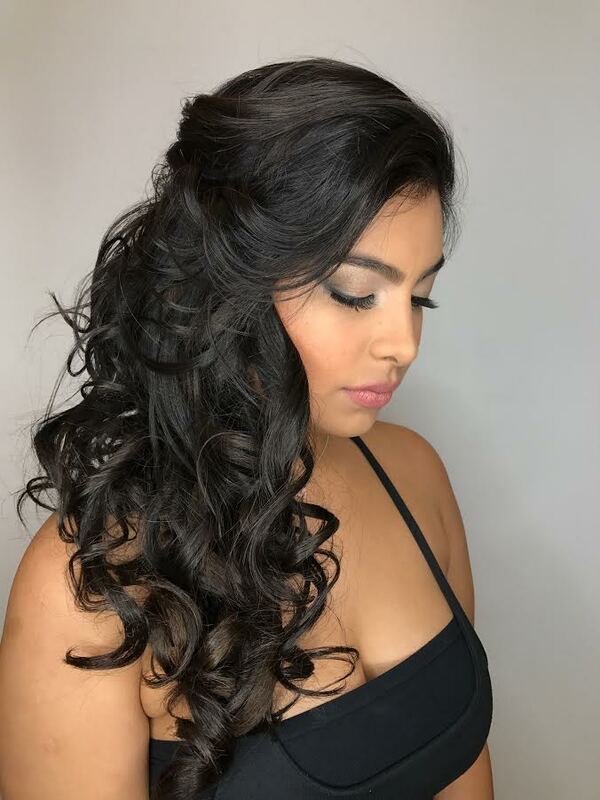 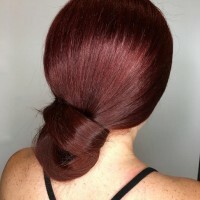 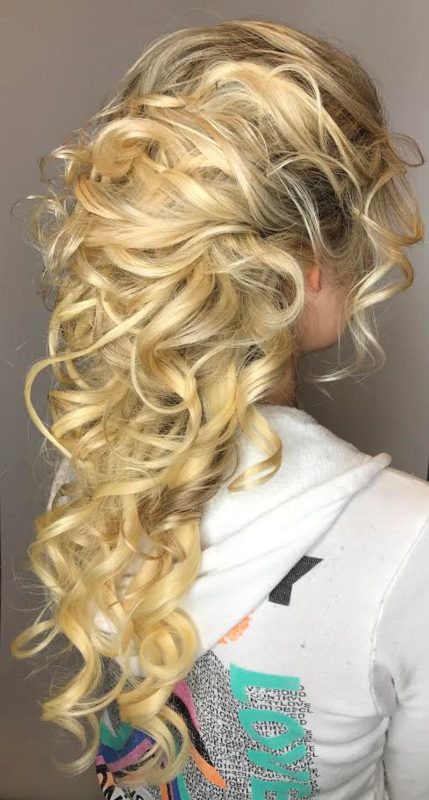 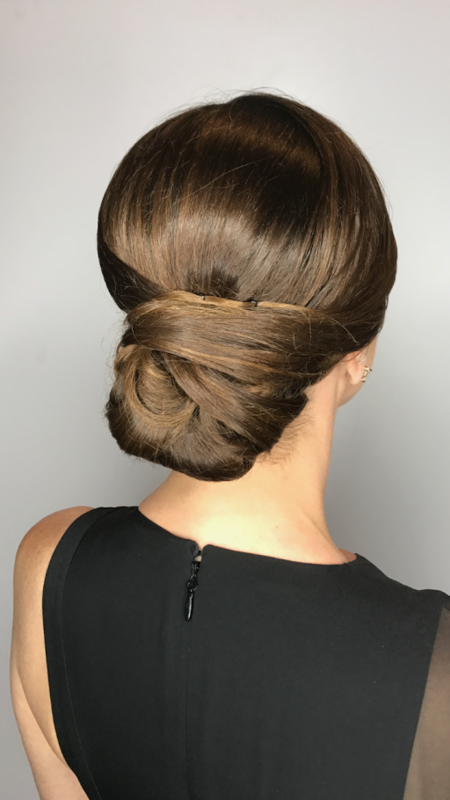 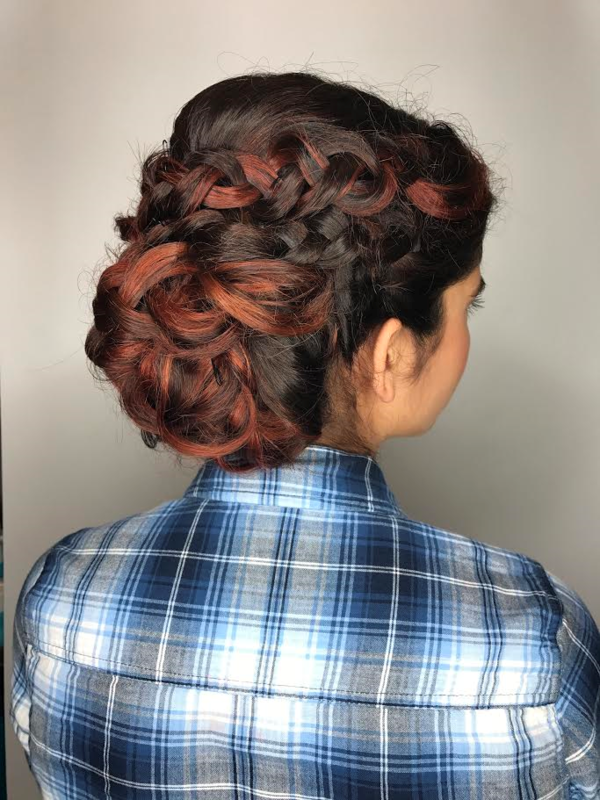 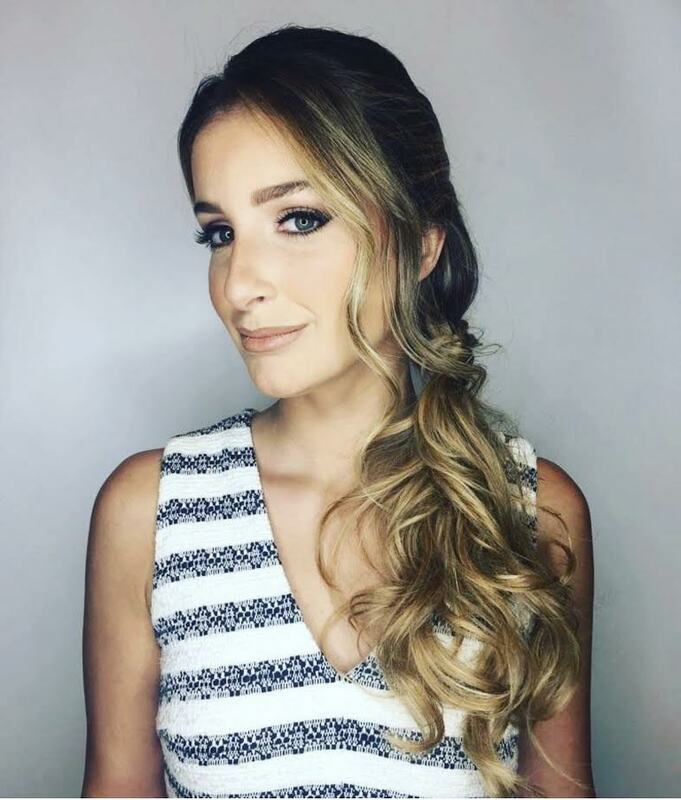 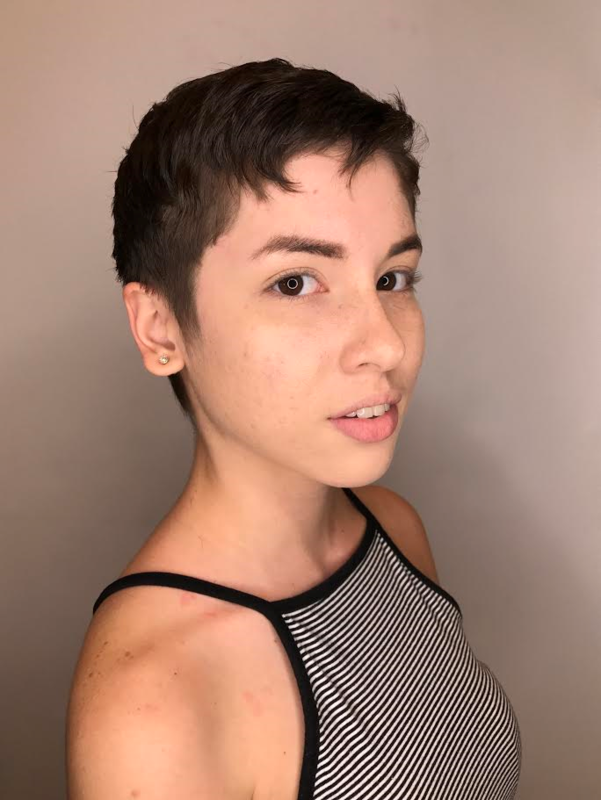 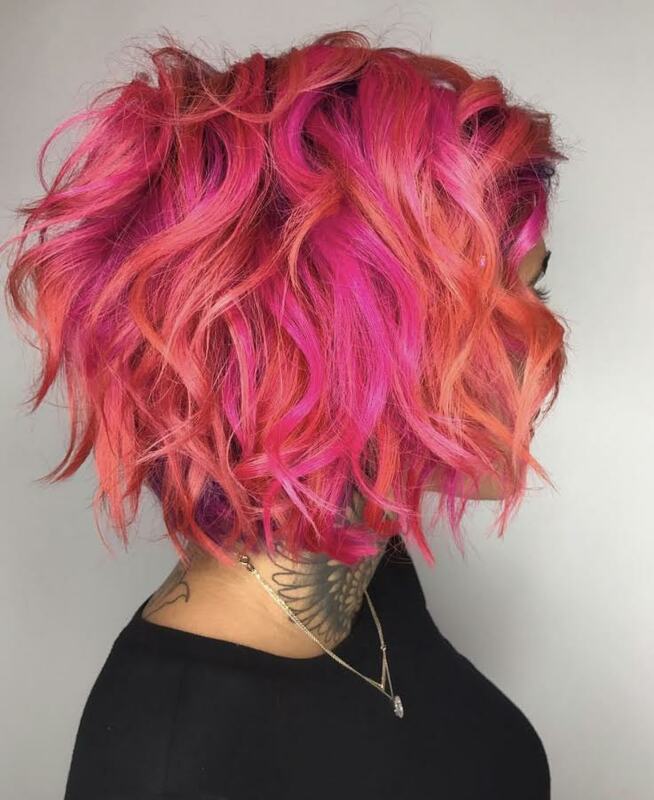 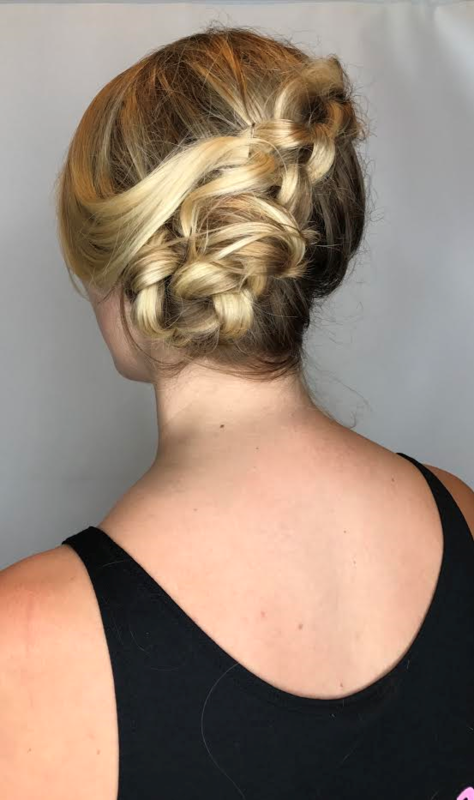 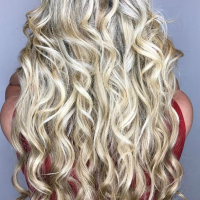 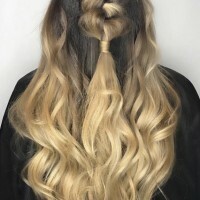 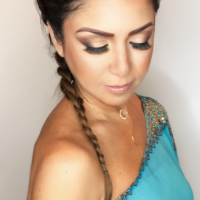 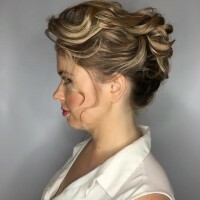 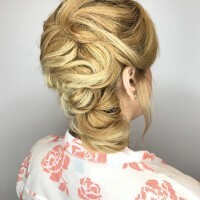 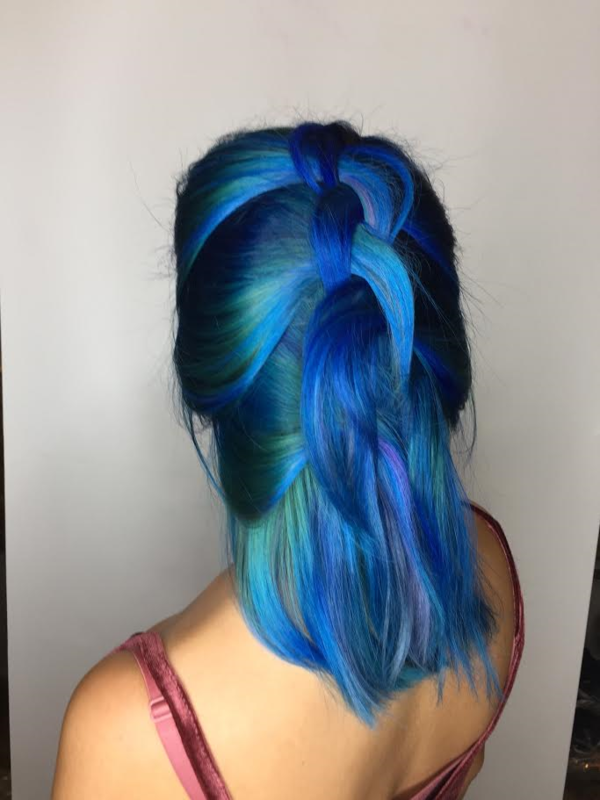 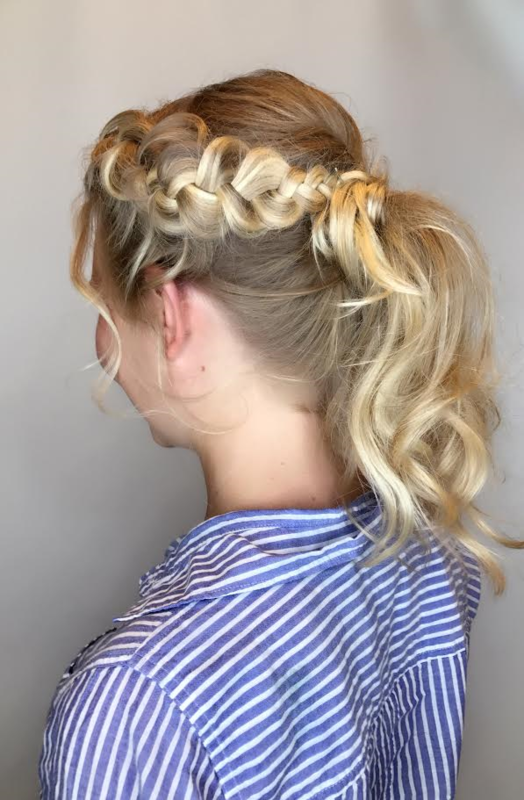 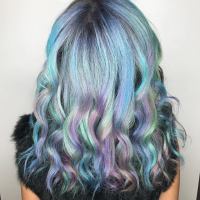 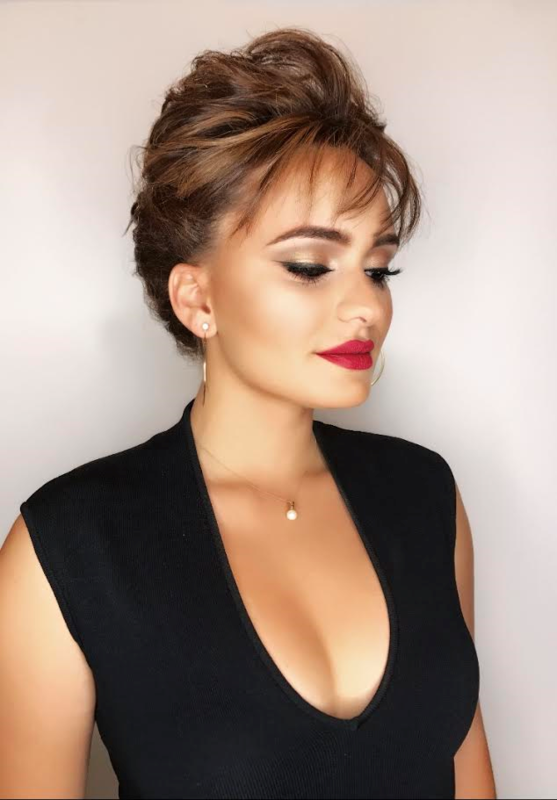 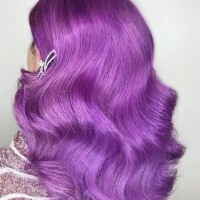 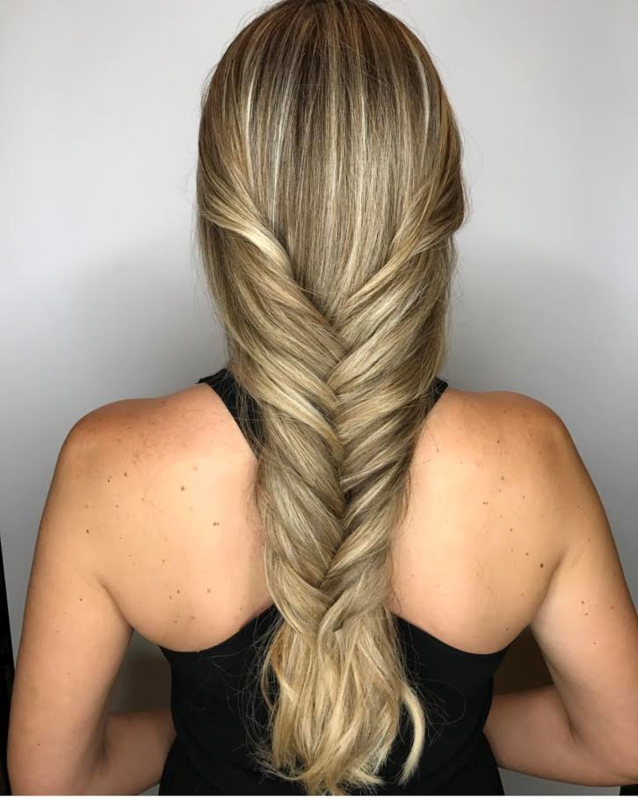 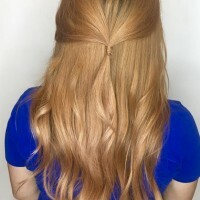 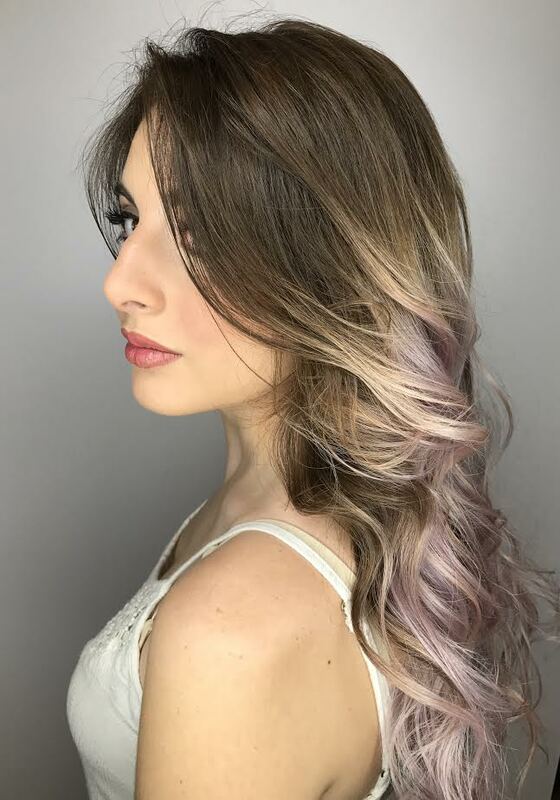 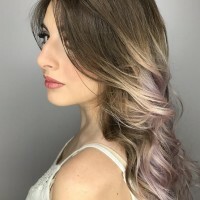 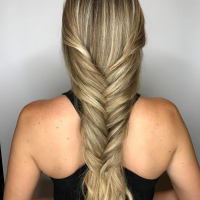 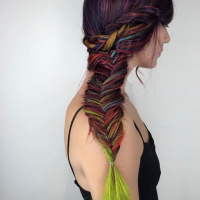 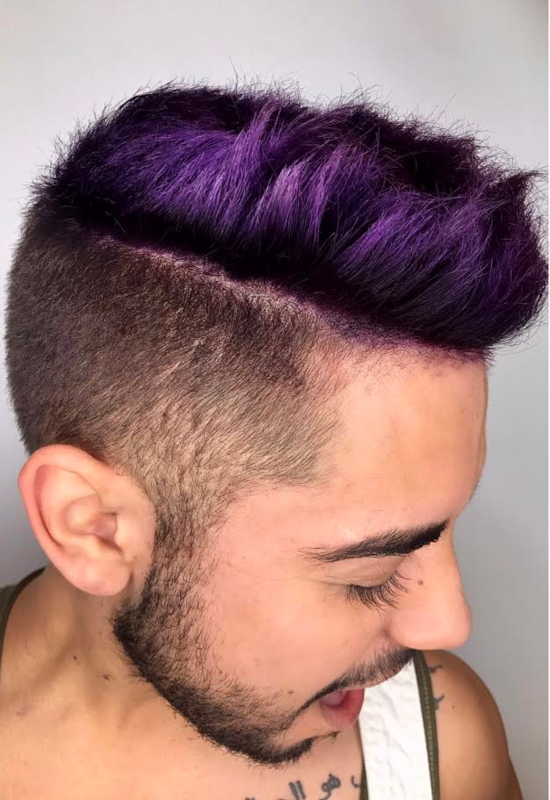 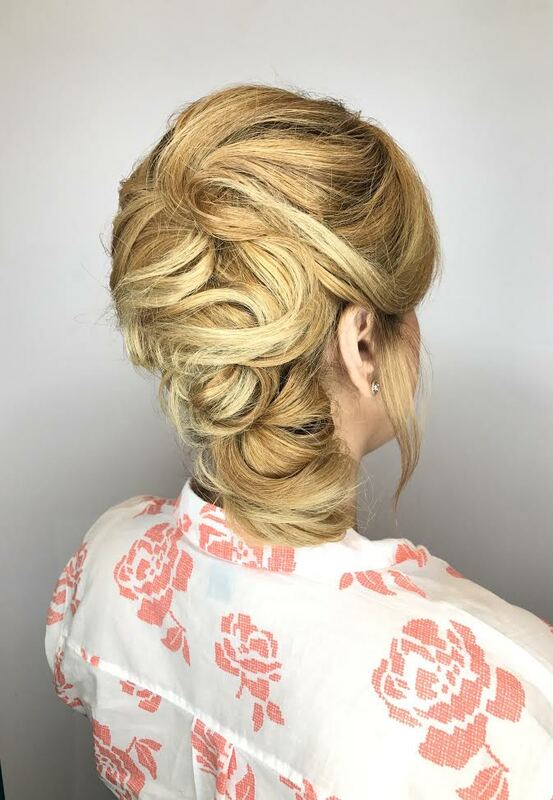 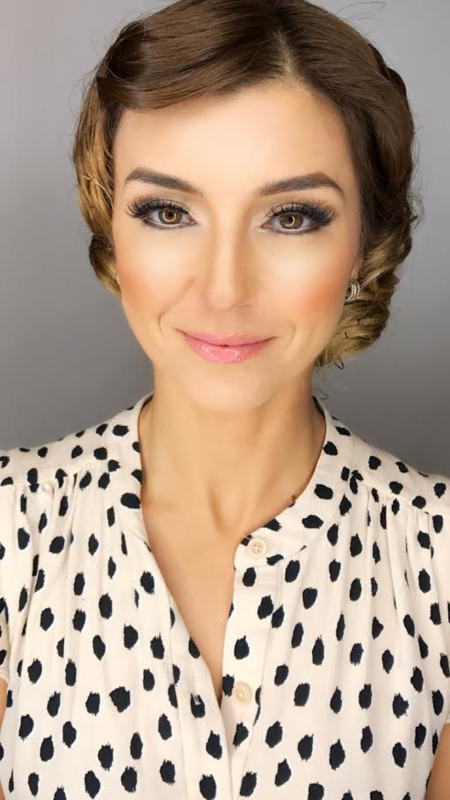 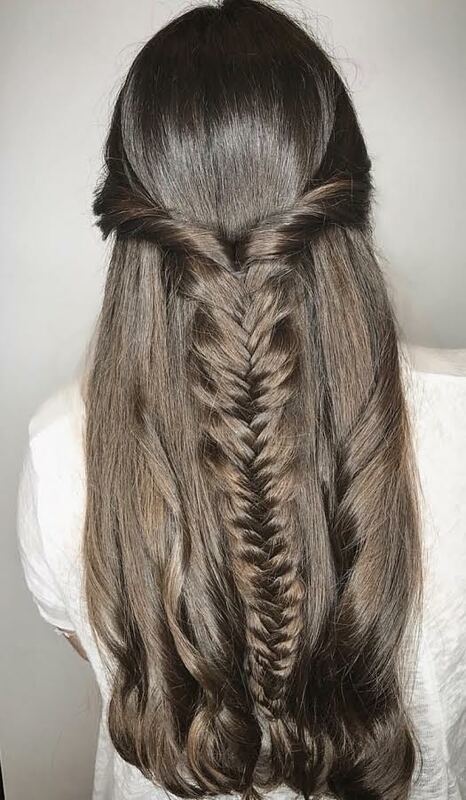 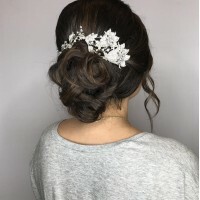 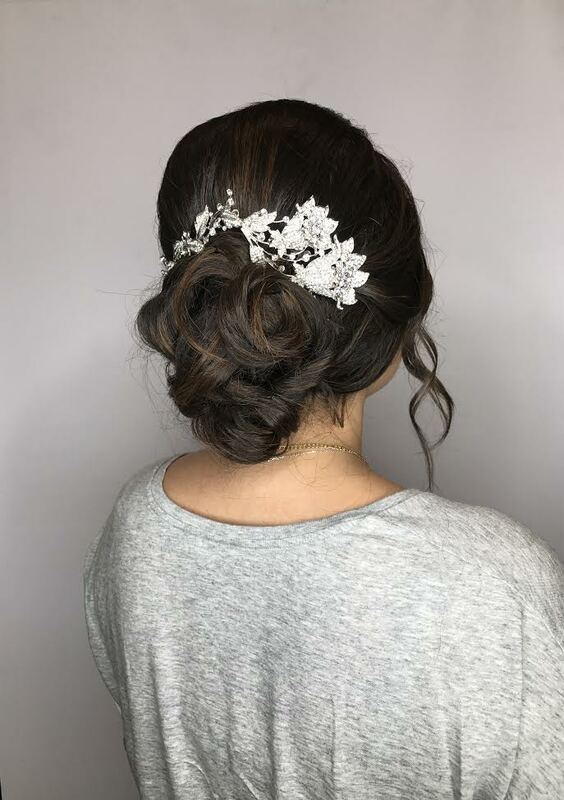 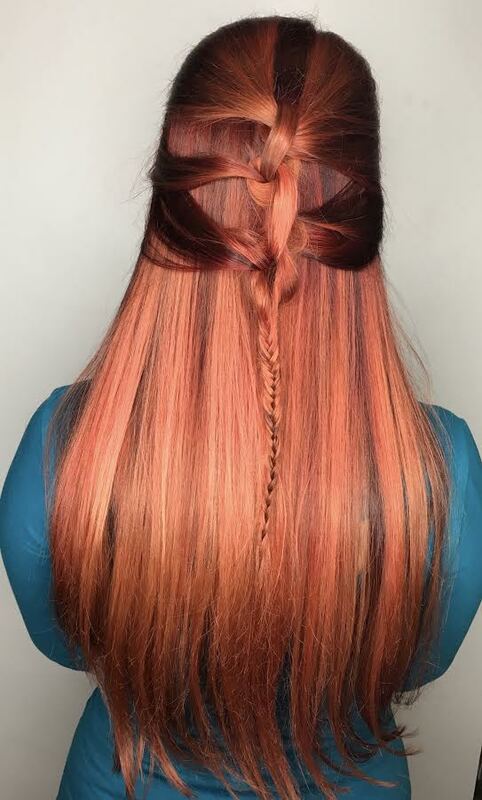 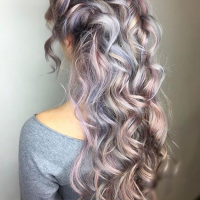 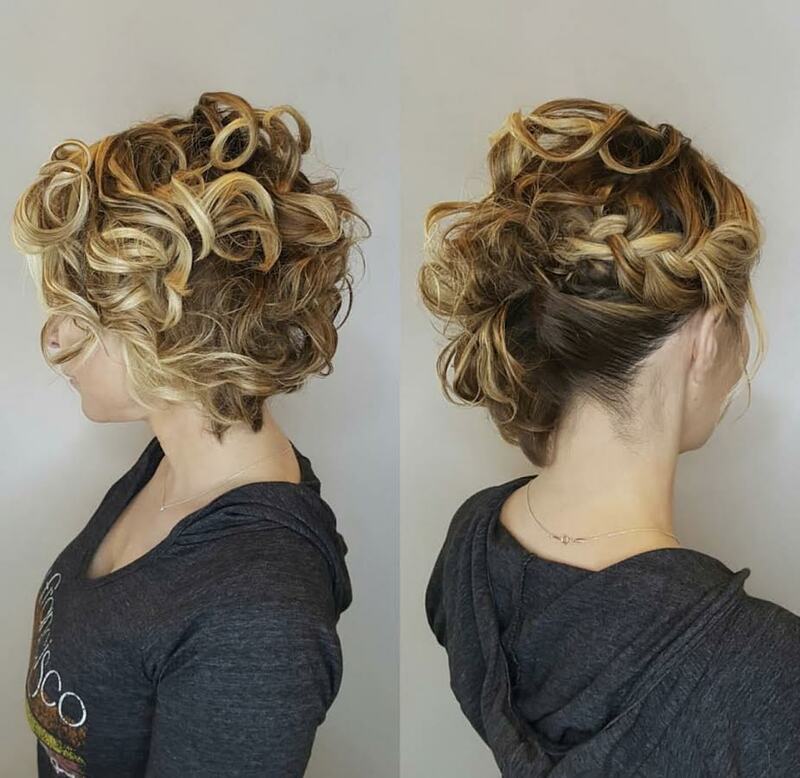 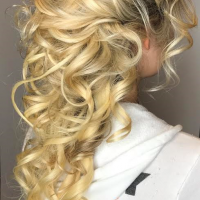 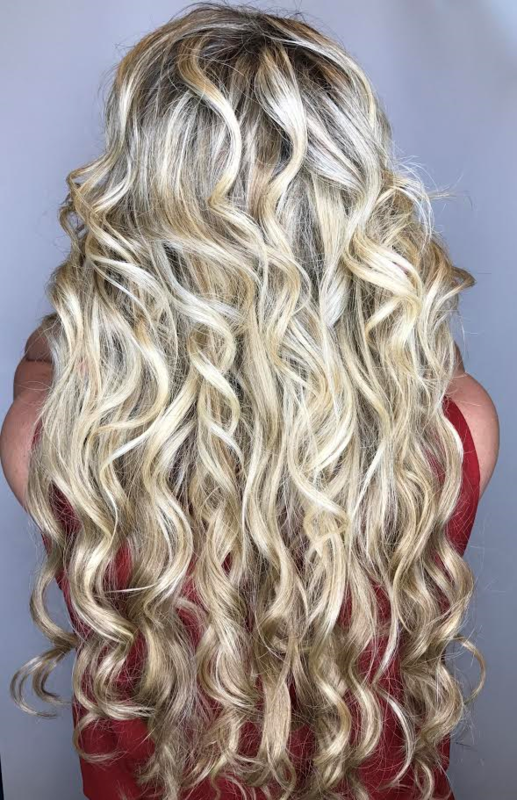 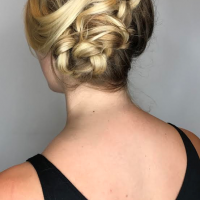 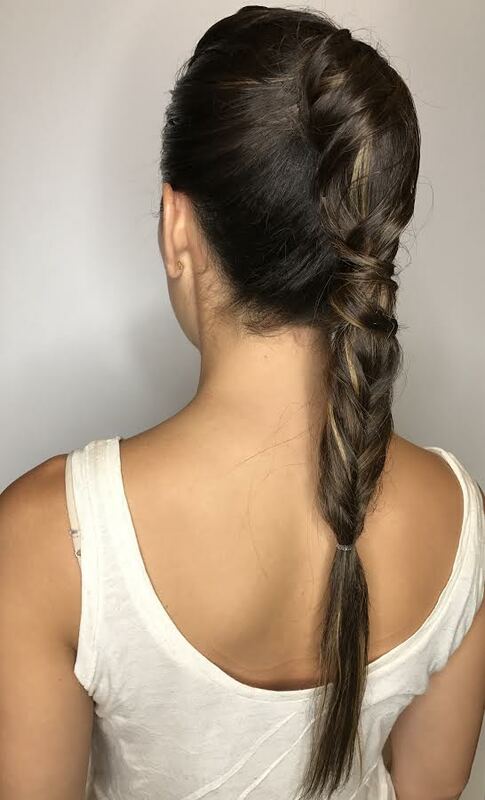 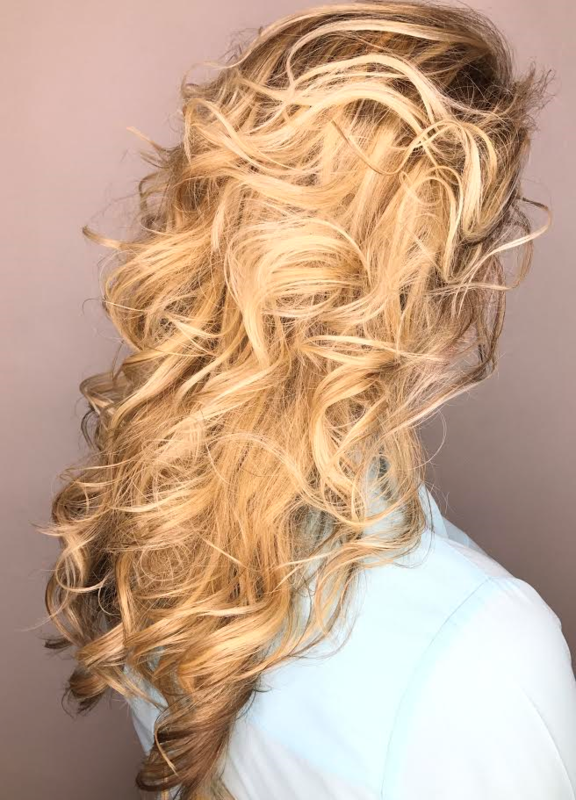 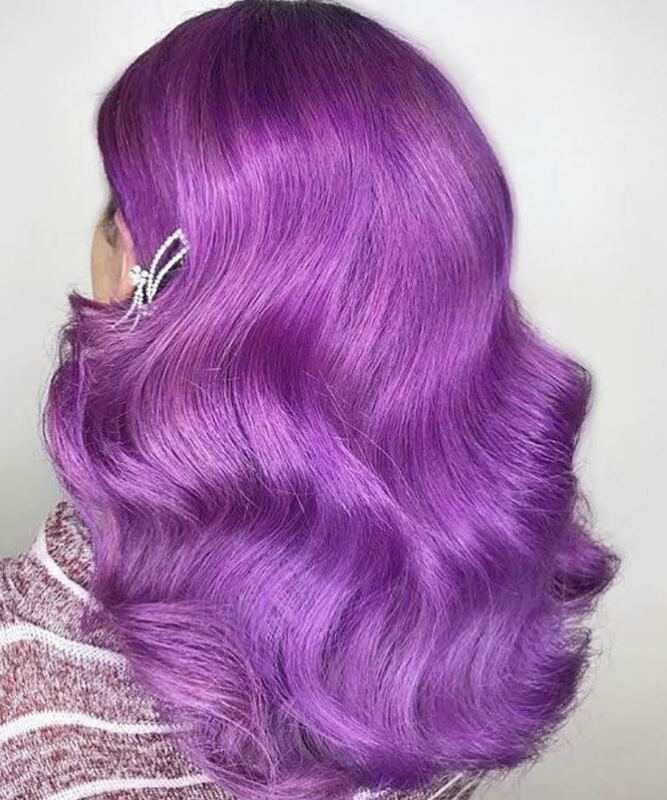 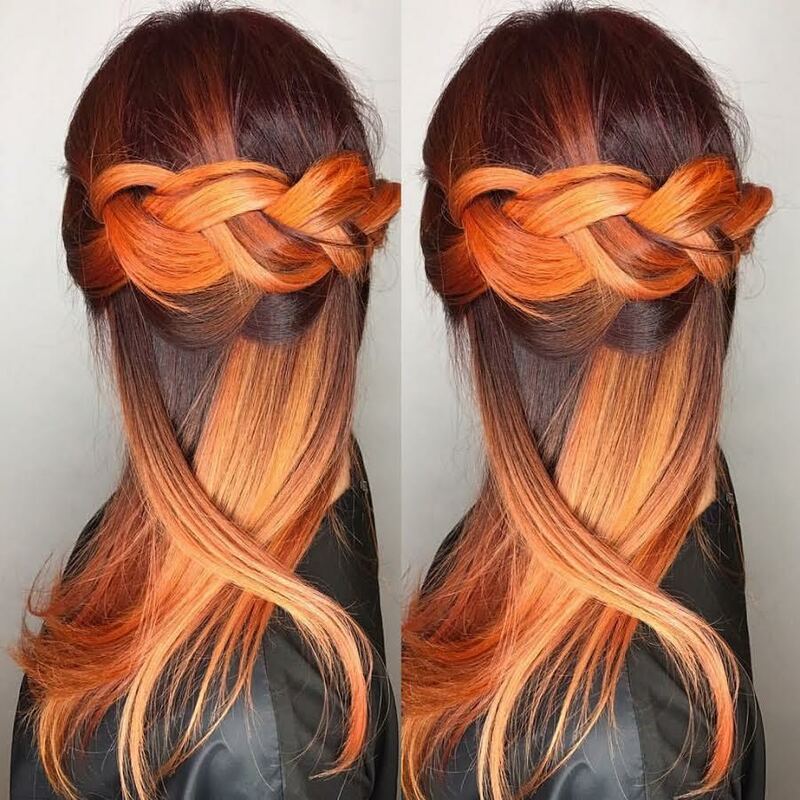 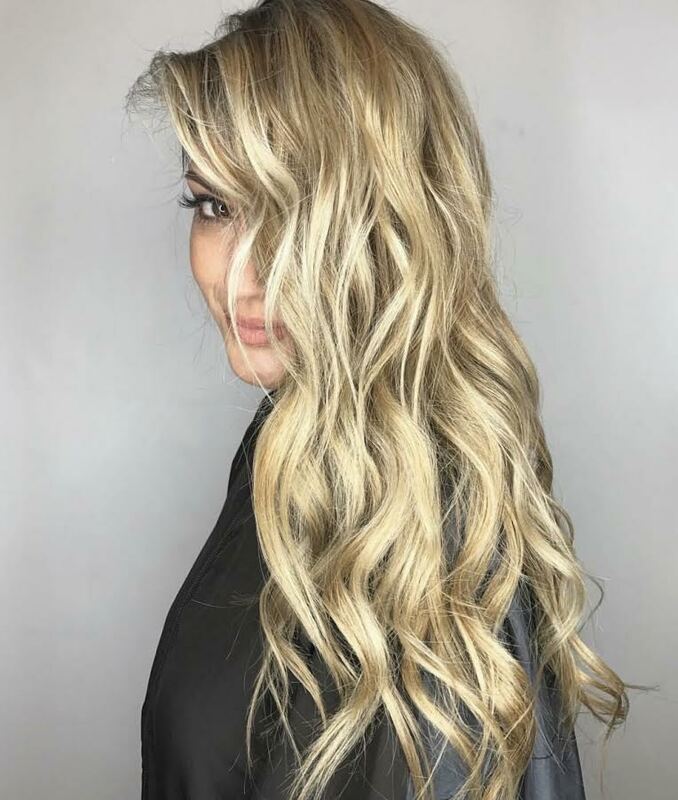 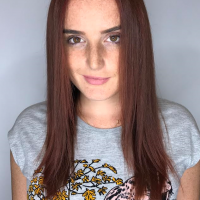 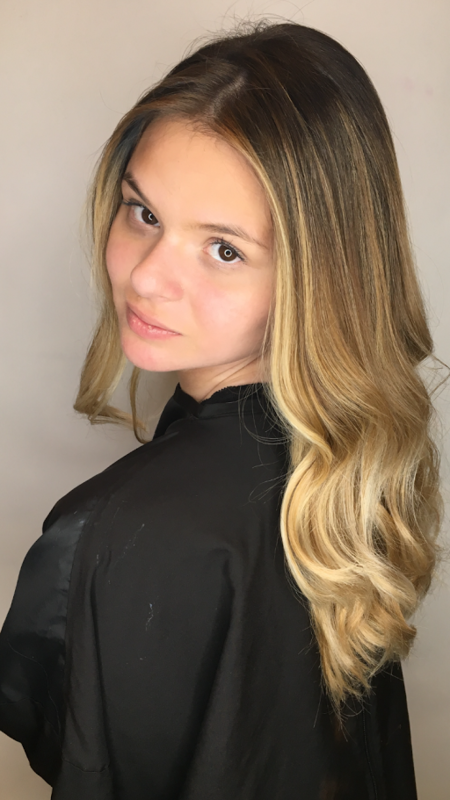 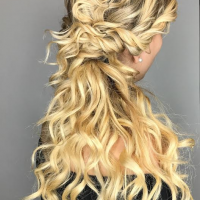 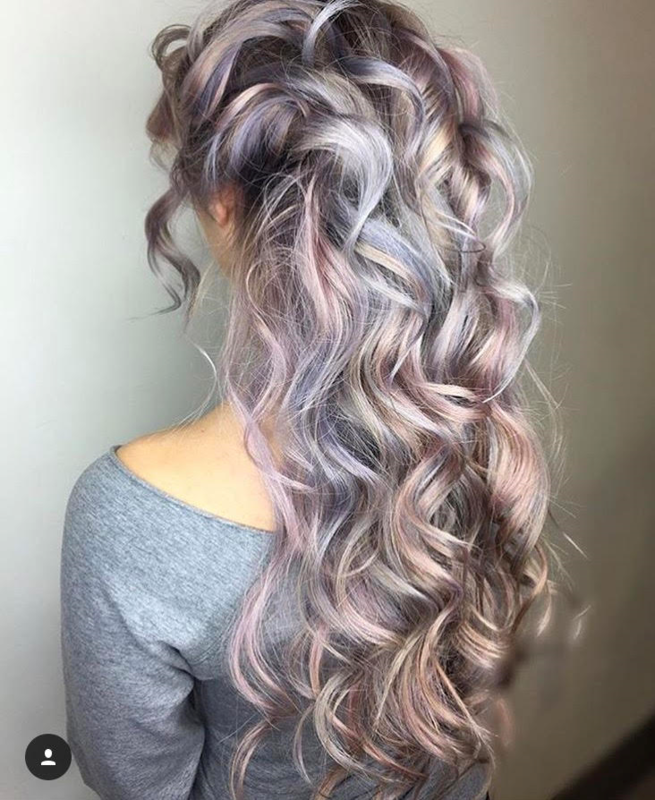 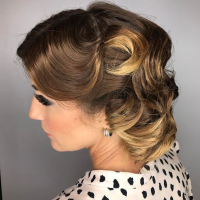 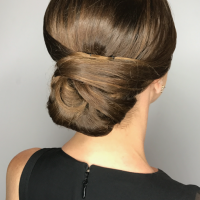 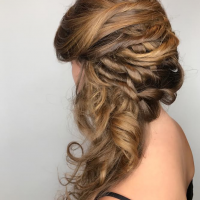 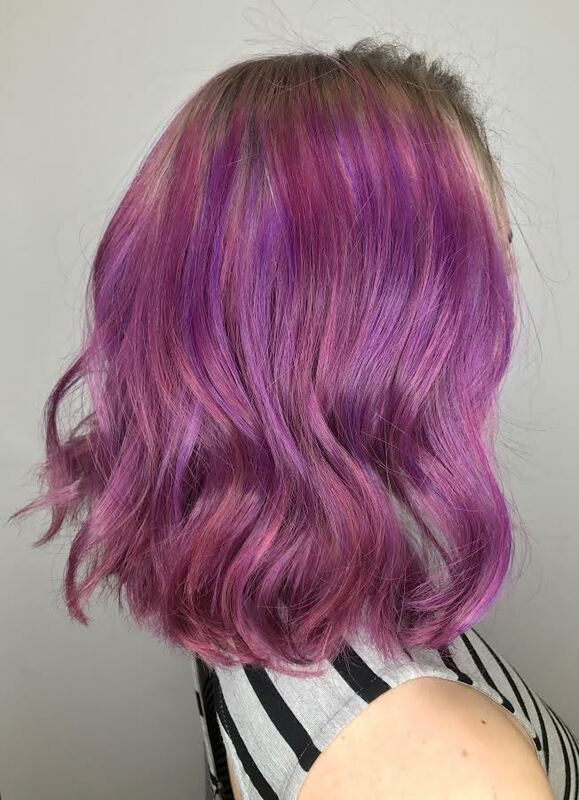 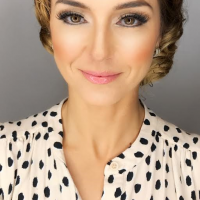 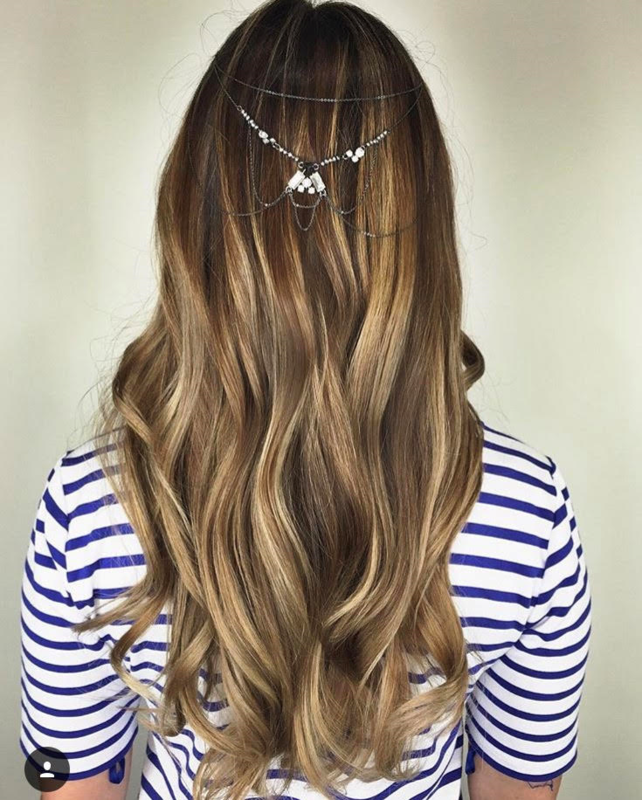 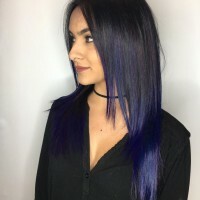 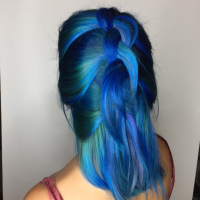 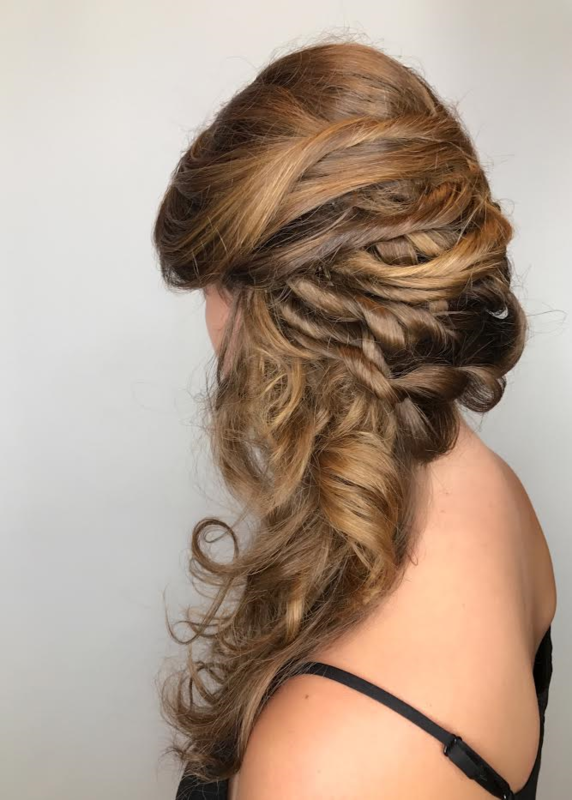 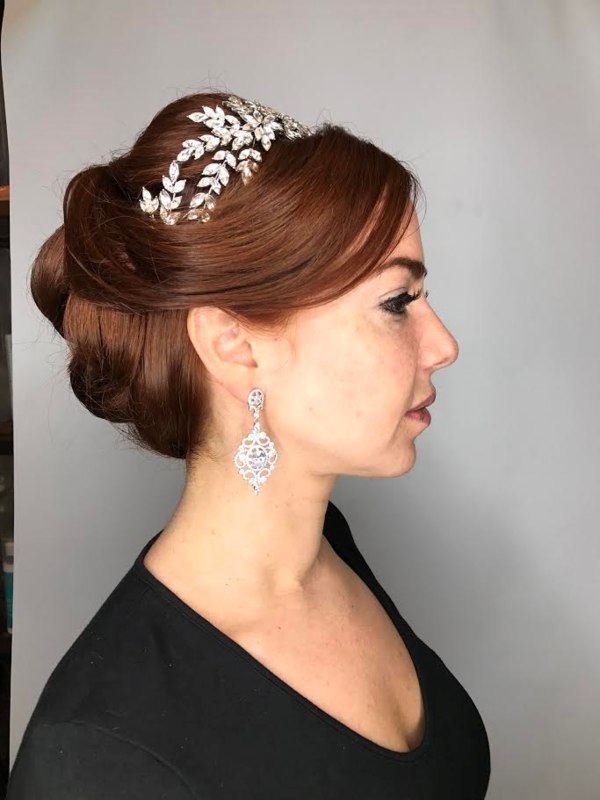 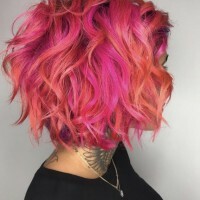 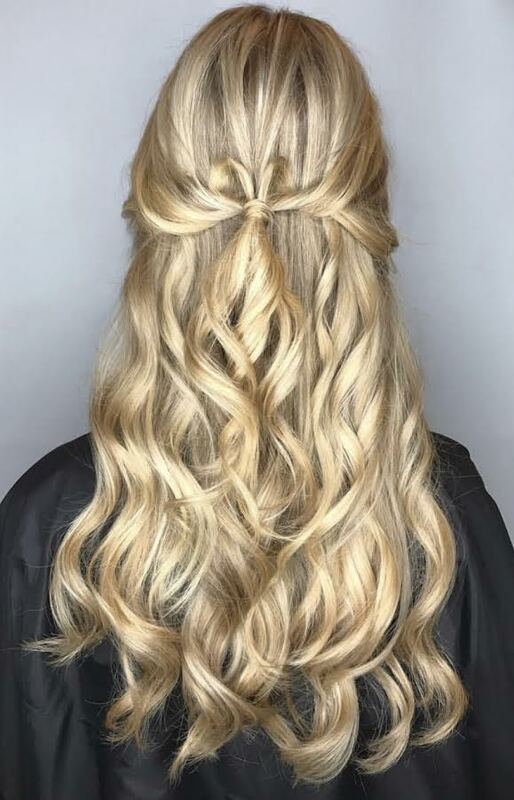 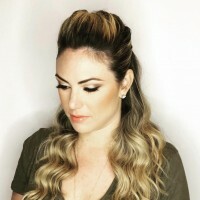 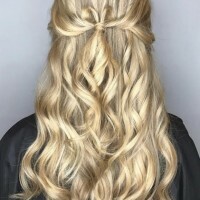 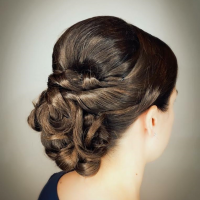 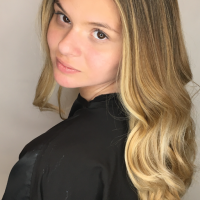 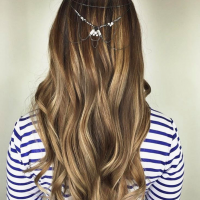 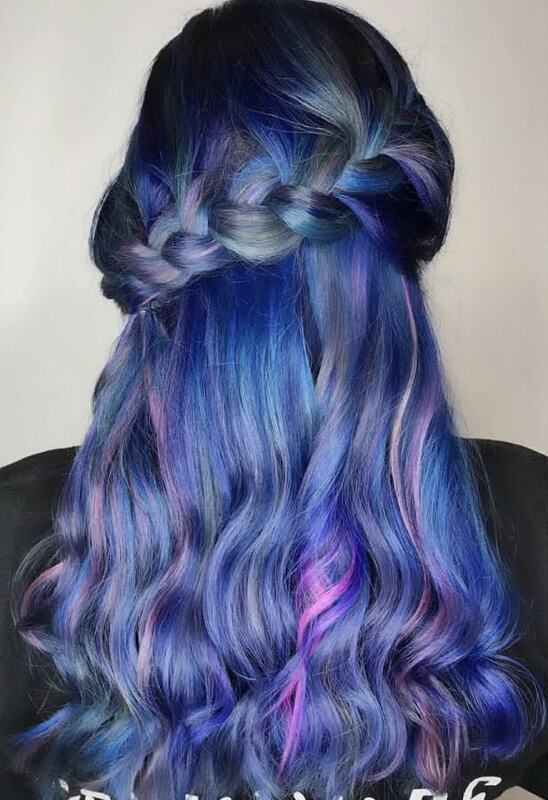 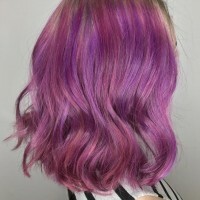 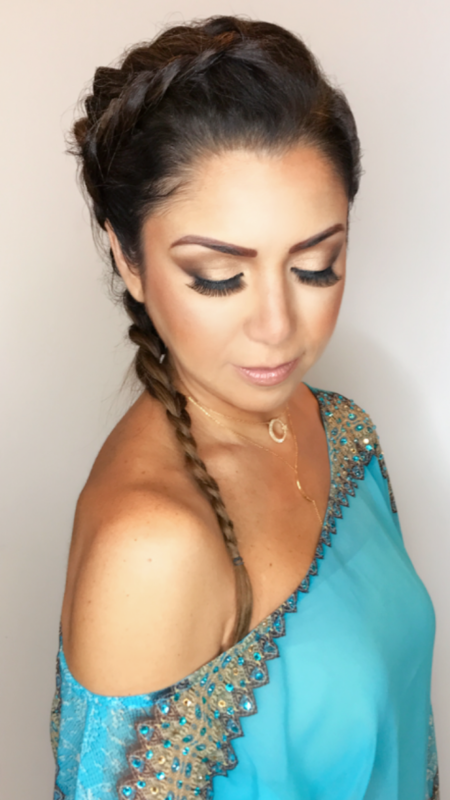 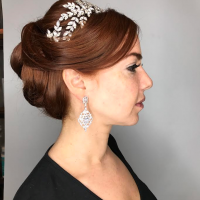 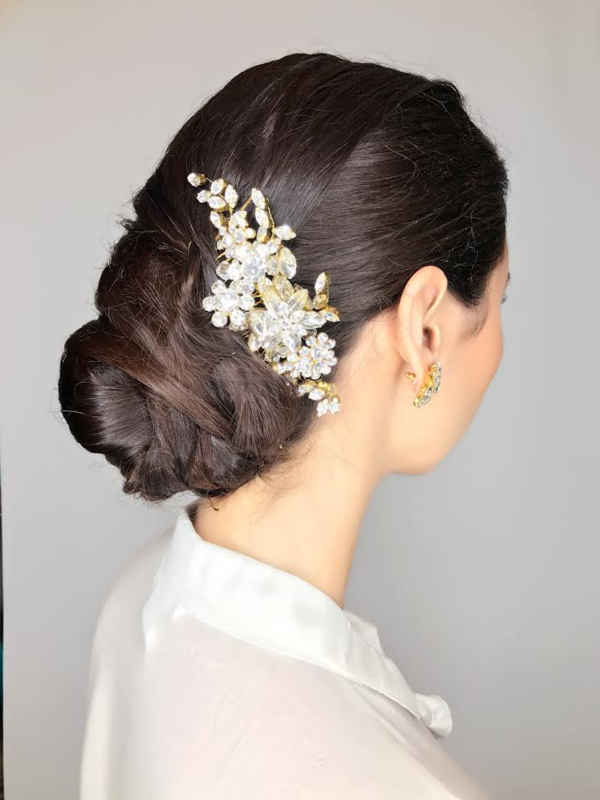 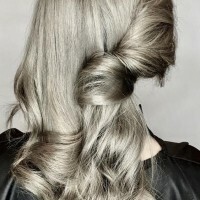 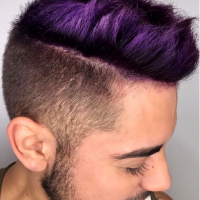 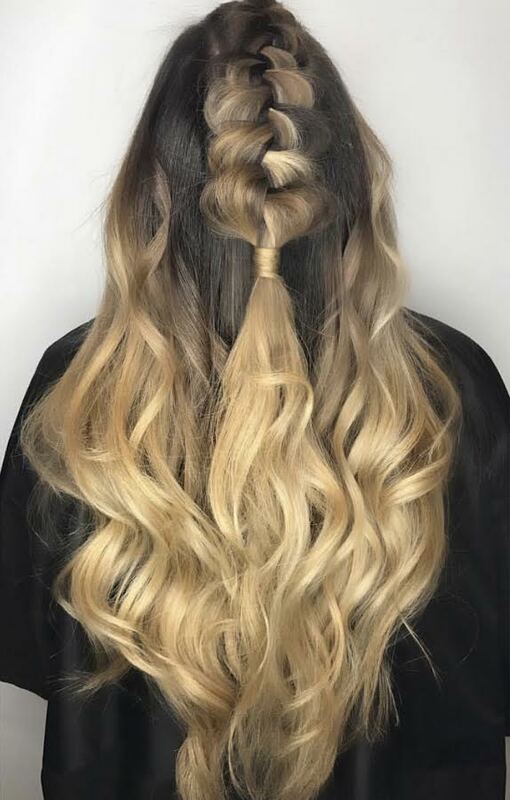 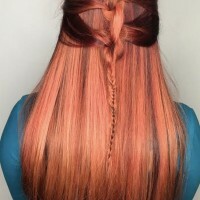 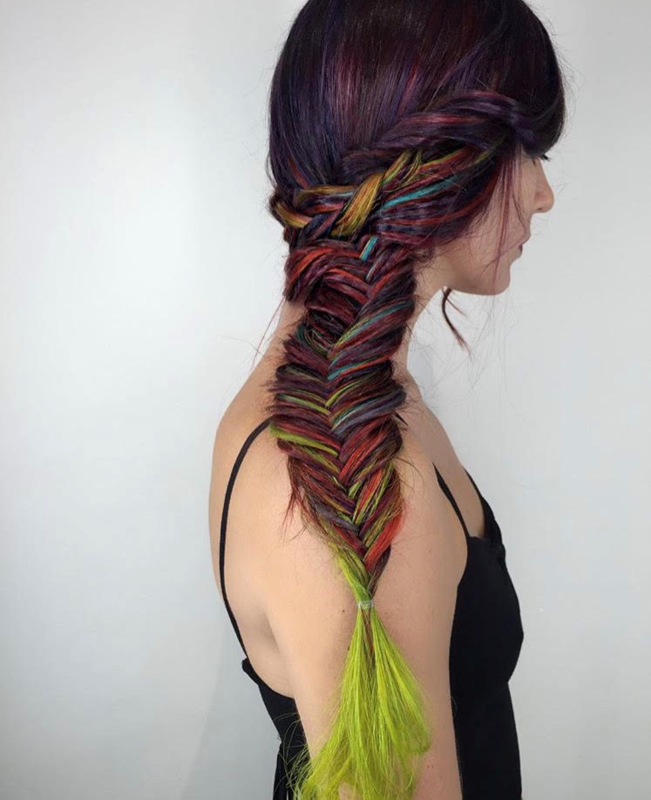 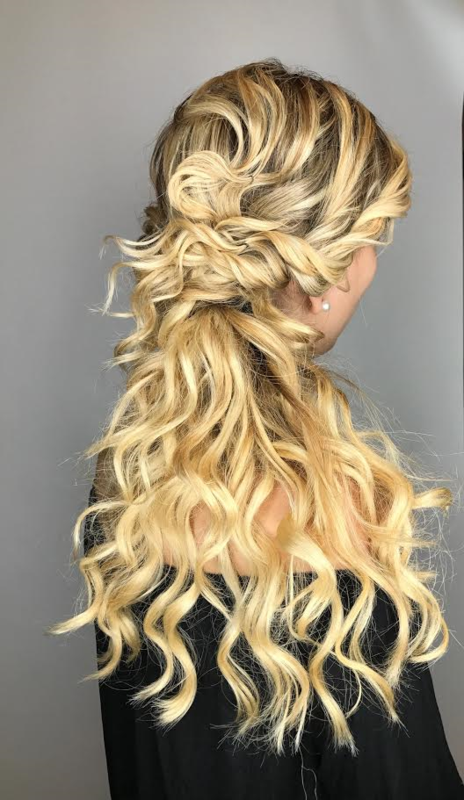 Looking for a unique mermaid hair color or need professional hair updos schedule today in our Coral Gables Salon. 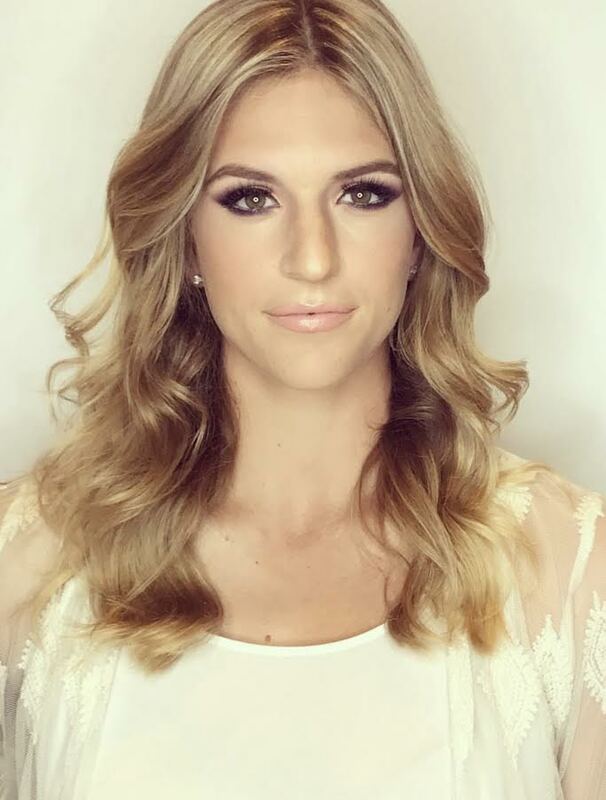 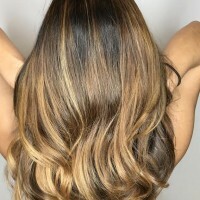 See hair salon prices for Ombre hair and hair extension salon services. Use Great Lengths hair salon professional products to achieve the best hair extensions. 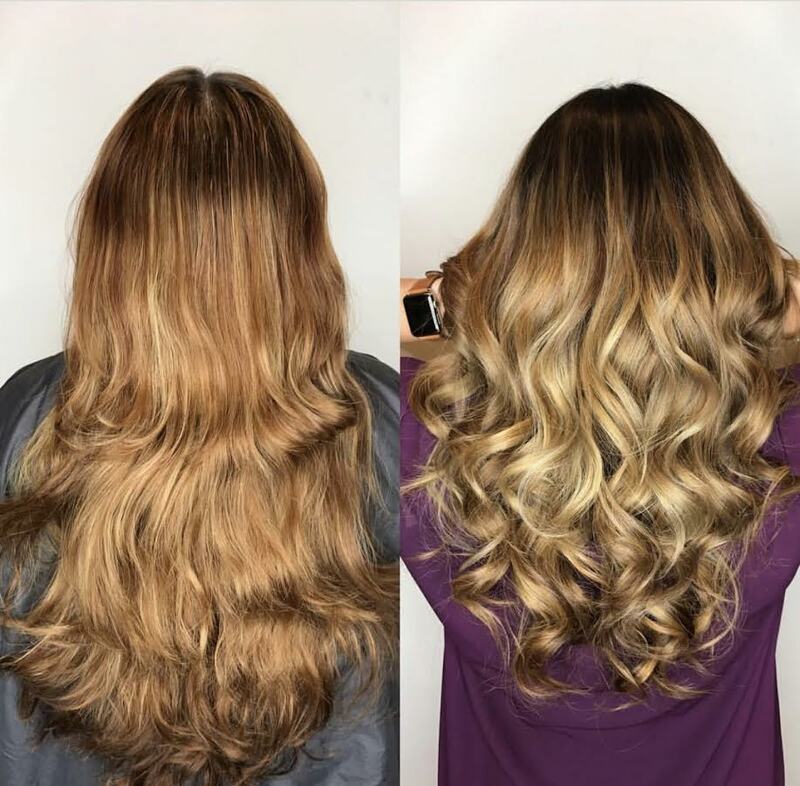 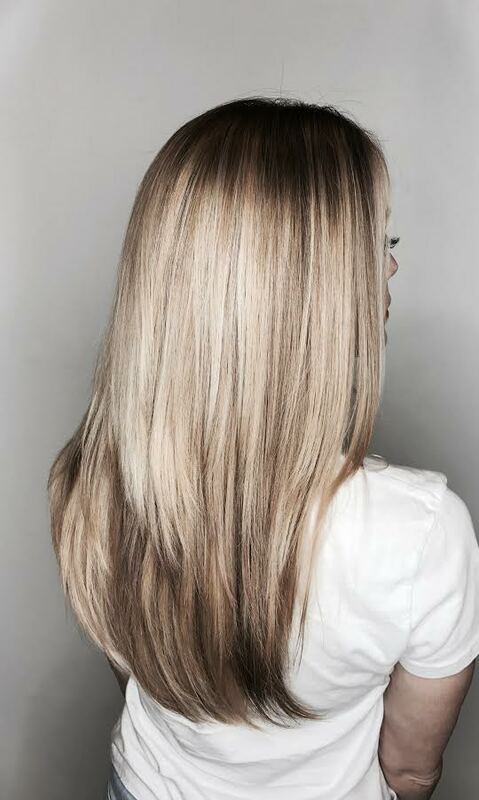 Our custom color specialists create the best color blends for Full Balayage and Foilyage hair styles. 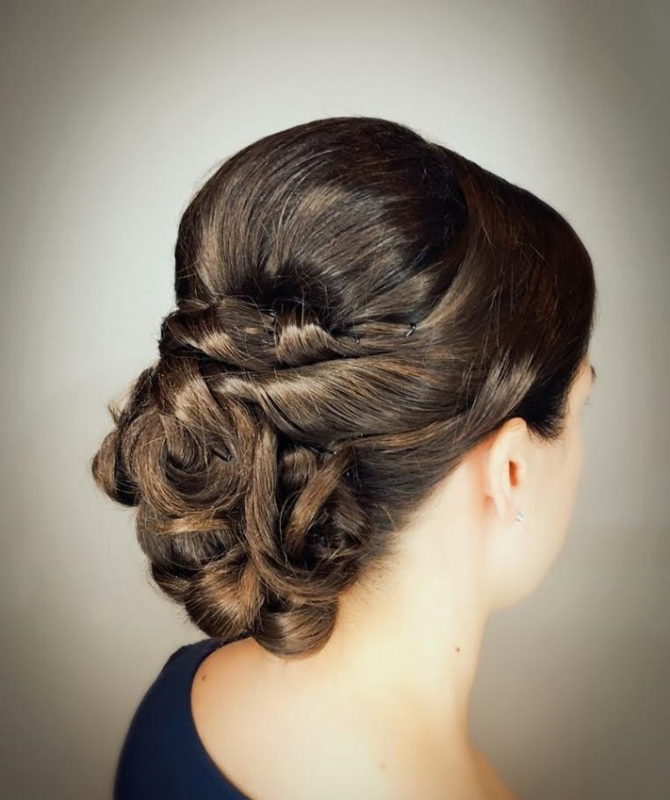 See all our online salon prices for hair services on our Salon Services Pricing Page. 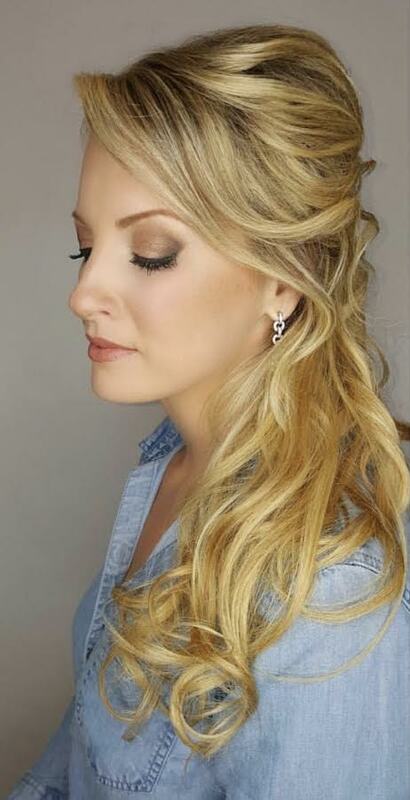 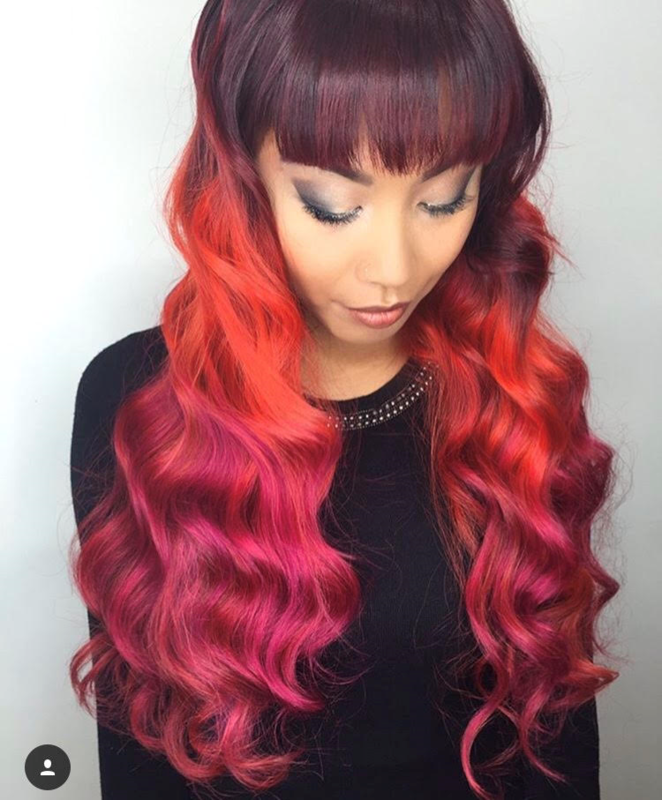 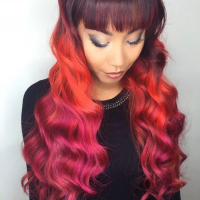 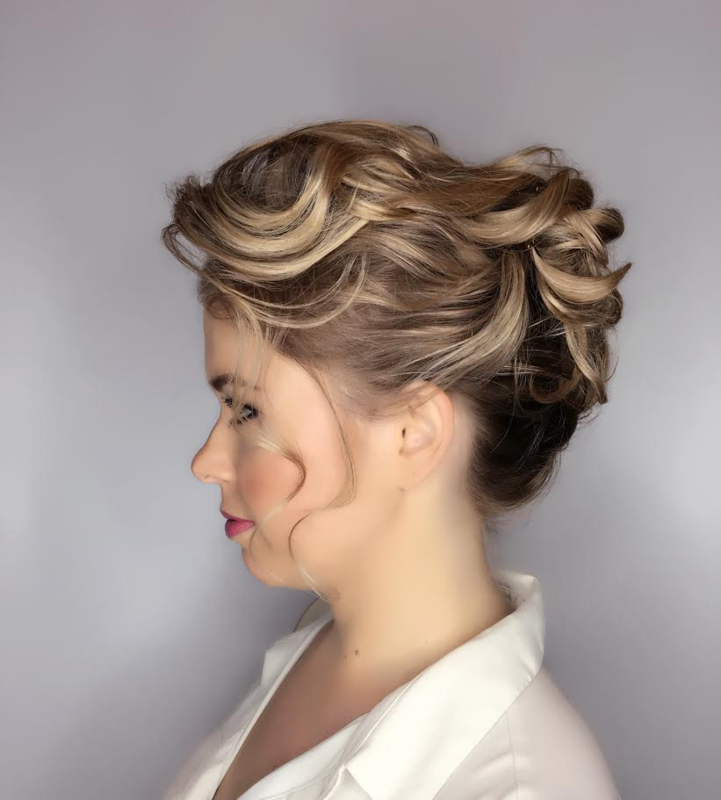 Visit our Hair Galleries to get ideas and see examples of hair styles, hair color, hair extensions and more!